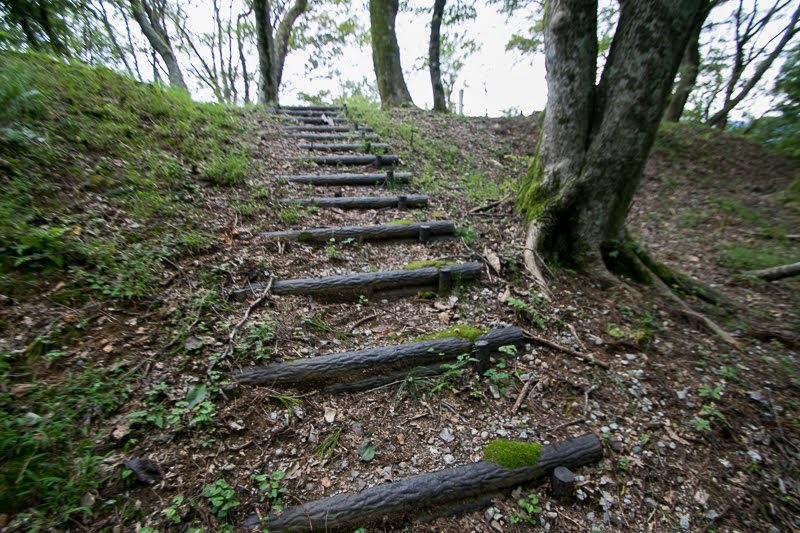 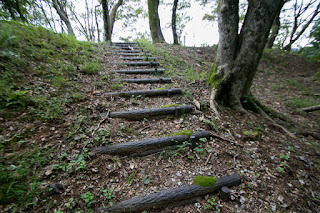 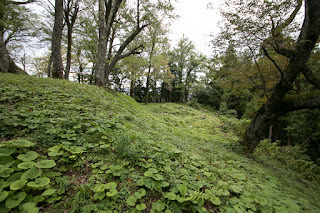 Matsukura castle (松倉城) is located at Matsukura‐yama mountain, one of 430 meter above sea level at the tip of mountainous area continued from Tateyama mountain. 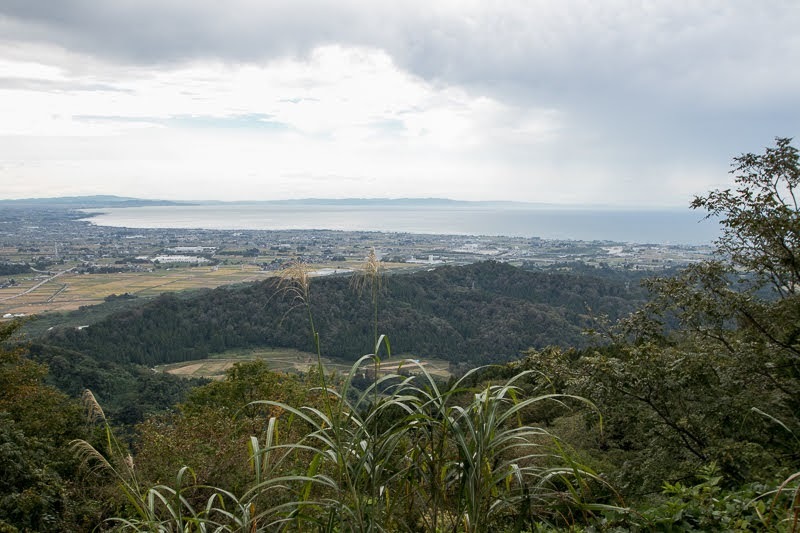 Uozu area is a narrow flat land surrounded by Toyama gulf and mountains spread from southward at the east of Ecchu province (Toyama prefecture), and separated by large rivers. 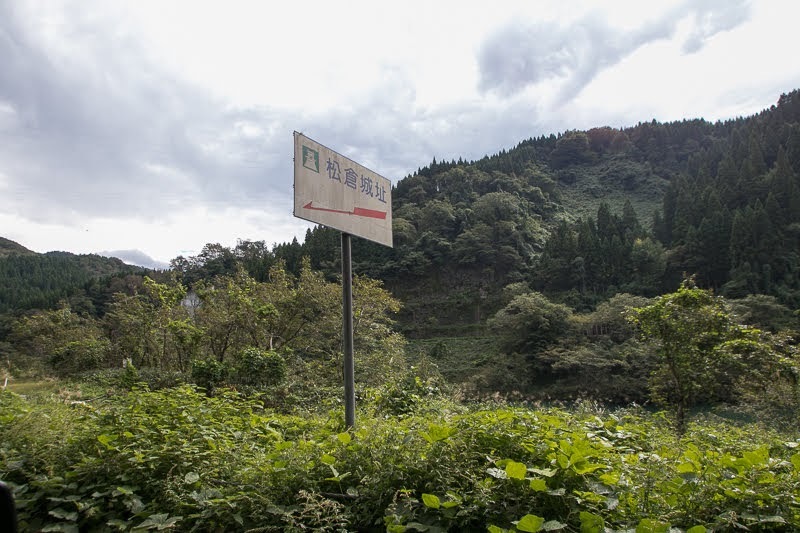 Because of this geographical condition, it is an important place to control the traffic. Having a good fishing point at Toyama bay, Uozu area prospered at fishery and the name of Uozu (fish bay) stem from this fact. 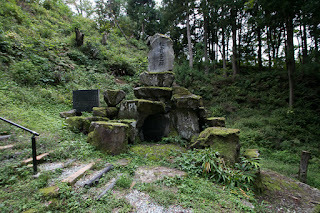 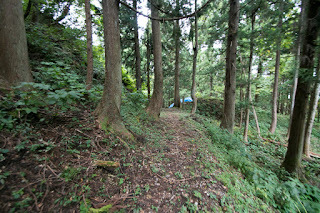 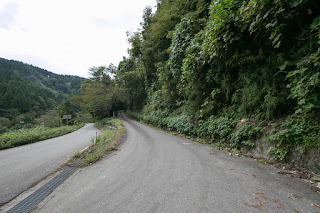 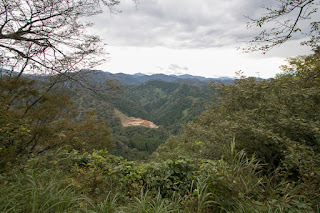 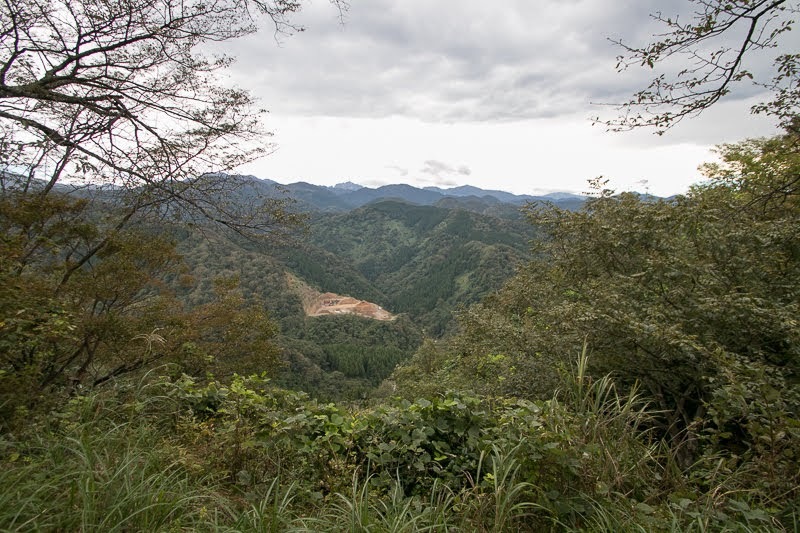 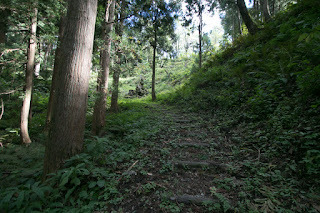 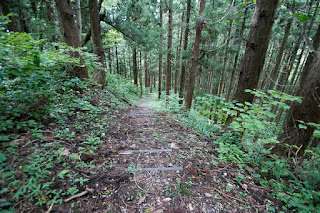 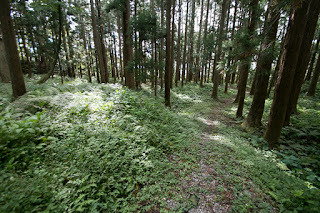 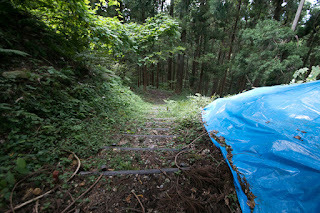 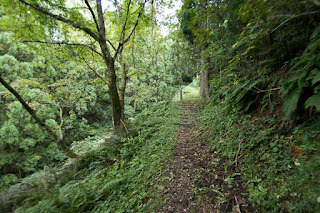 Additionally Matsukura gold mine was developed at Medieval era, and brought the wealth to the holders. 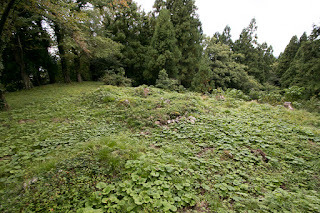 Matsukura castle is a large castle regarded as three major mountain castles of Ecchu province, along with Masuyama castle at middle part and Moriyama castle at west part. 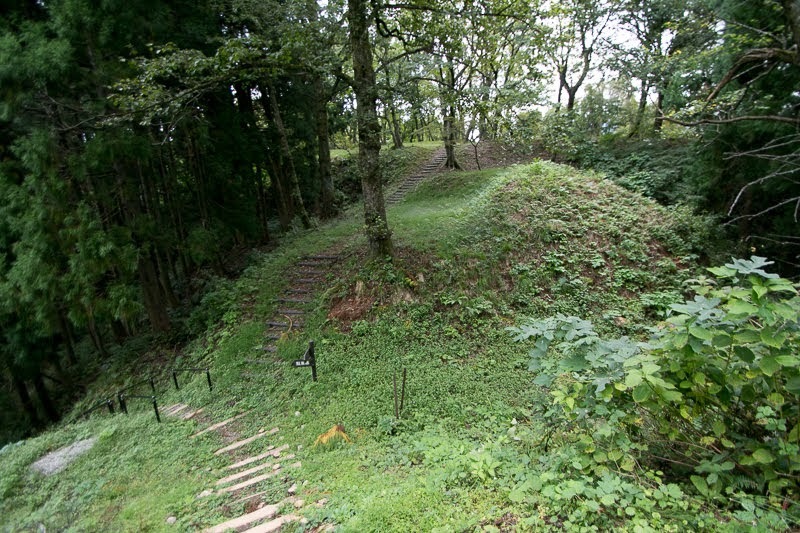 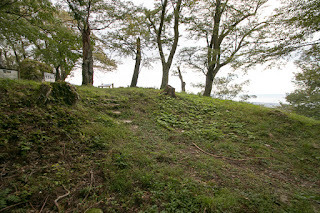 Precise year is unknown but Matsukura castle was already built in the former half of 14th century, and later became the main base of Shiina clan. 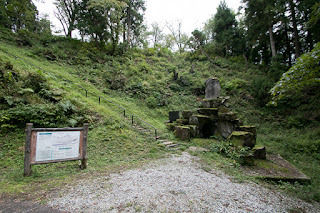 Shiina clan was originally a descendant of Chiba clan which was a strong Samurai group at current Chiba prefecture, and later moved to Ecchu province as a local lord. 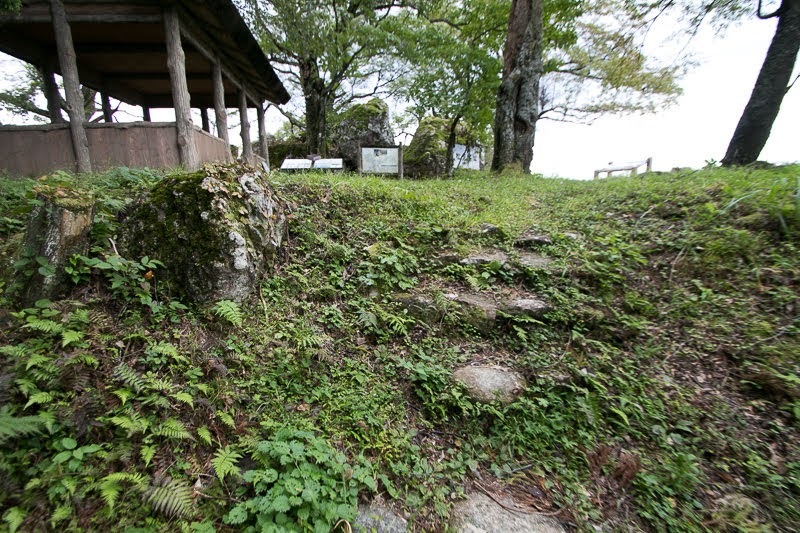 During Muromachi era, at first Shiba clan was appointed as a governor of Ecchu province, but later Hatakeyama clan, mainly kept the position of the governor of provinces at Kinki region, changed to Shiba clan and became the governor. 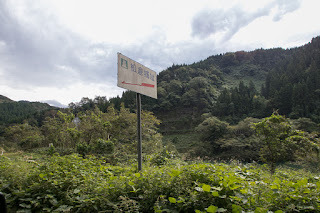 Ecchu province was far from Kinki region, thus Hatakeyama clan appointed Yusa clan, Jinbou clan and Shiina clan as a deputy governor of west, middle and east part. 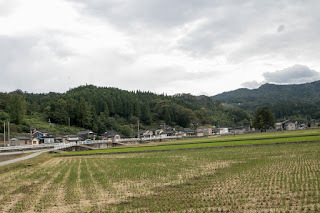 But since the latter half of 15the century Hatakeyama clan significantly lost their power due to their internal conflict, and locals lords gradually increased their autonomy and did not obey Hatakeyama clan. 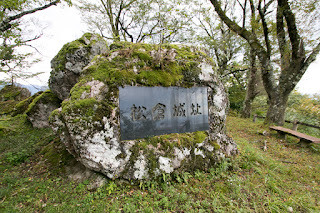 In the former half of 15th century, Jinbou clan which was the deputy governor of middle part, rose in cooperation with Ikko Ikki group, an armed believer of Ikkoushu denomination of Japanese Buddhism, and expanded their power. 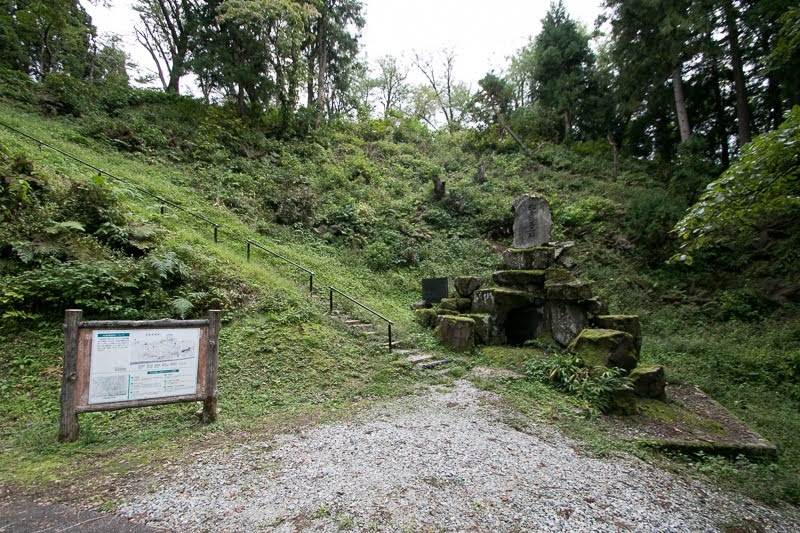 In response to this, Hatakeyama clan tried to suppress Jinbou clan with Uesugi clan, the governor of Echigo province (Niigata prefecture), but in 1506 Jinbou clan and Ikko Ikki group defeated and killed Yoshikage Nagao (1464-1506), the deputy governor of Echigo province who was the grandfather of famous Kenshin Uesugi (1530-1578) and attacked Ecchu province under the order of Uesugi clan. 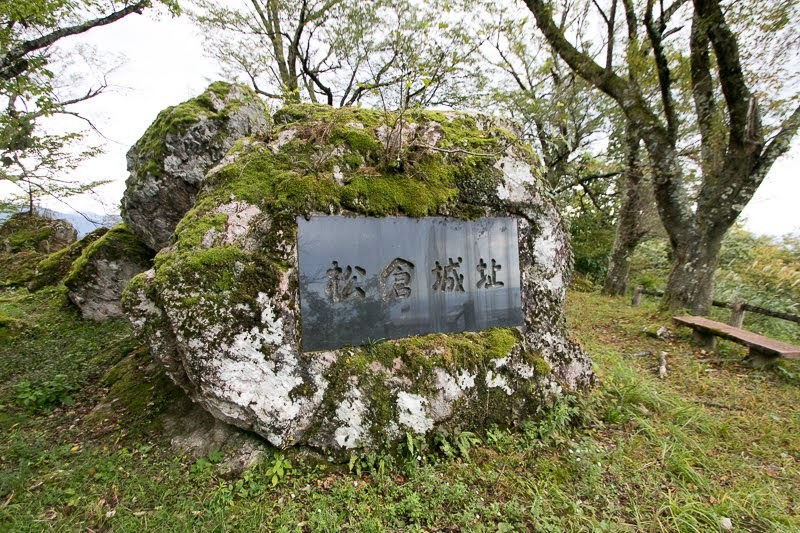 In 1519, Jinbou clan raised his army in cooperation with Ikko Ikki army aiming at independence from Hatakeyama clan, and this time Shiina clan accompanied with this action. 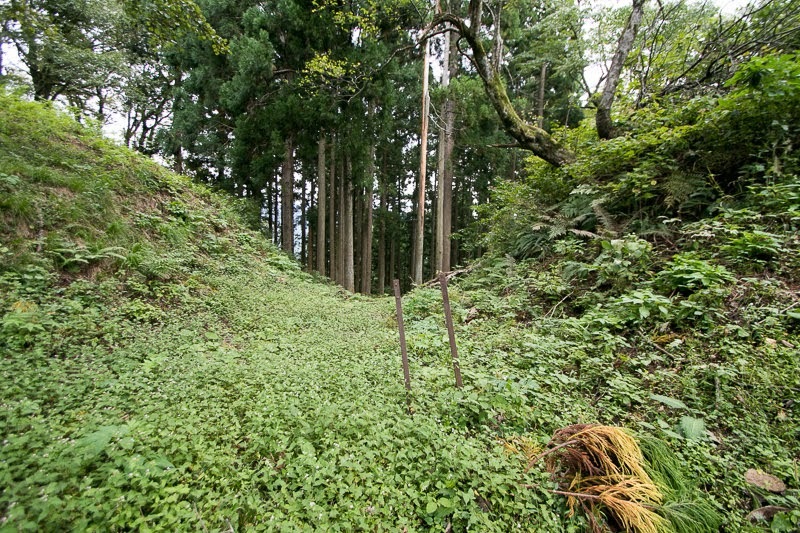 But based on the request of Hatakeyama clan, Tamekage Nagao (1489-1543), son of Yoshikage, marched to Ecchu province as a revenge of his father. 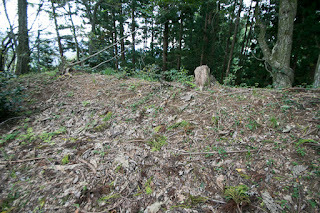 Next year both side fought at the battle of Shinjo, and allied army of Jinbou clan and Shiina clan was totally defeated by Tamekage and leader of both clan died in the battle. 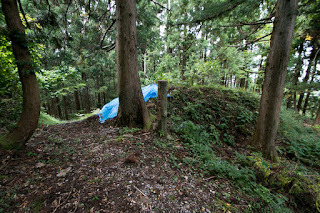 Since then Shiina clan became to obey to Uesugi clan. For a while since then, Ecchu province had been controlled by Nagao clan, and Jinbou clan and Shiina clan barely survived that. 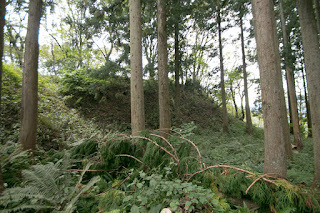 But at the middle of 16th century, because of the death of Tamekage and internal conflict after that, Uesugi clan once retreated from Ecchu province and Nagamoto Jimbou (?-1572), survived Jinbou leader, recovered their territory and fought with other local lords such as Shiina clan. 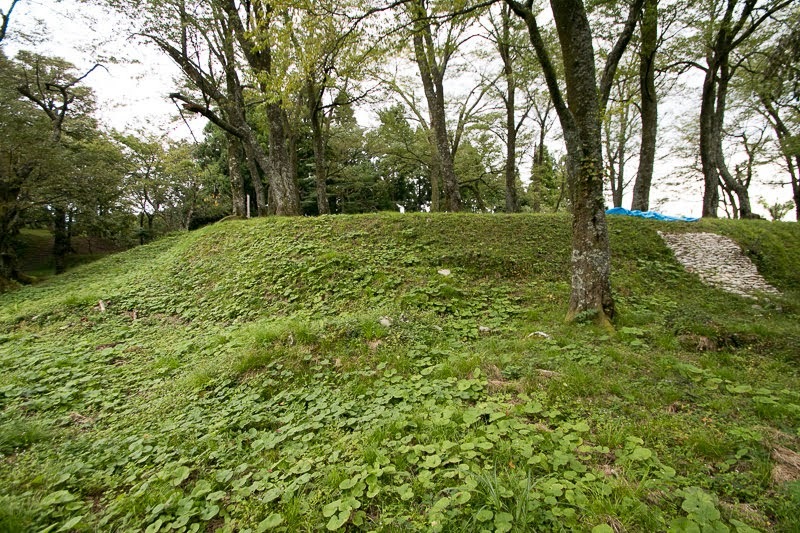 Jinbou clan occupied current Toyama city area and newly built Toyama castle as their base, then intended further expansion. 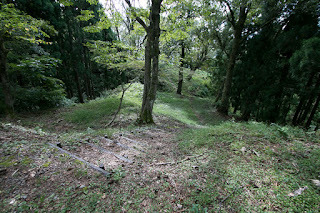 Facing this situation, Yasutane Shiina (?-1576), leader of Shiina clan, asked assistance to Kenshin Uesugi (1530-1578), son of Tamekage and succeeded the surname of Uesugi clan. 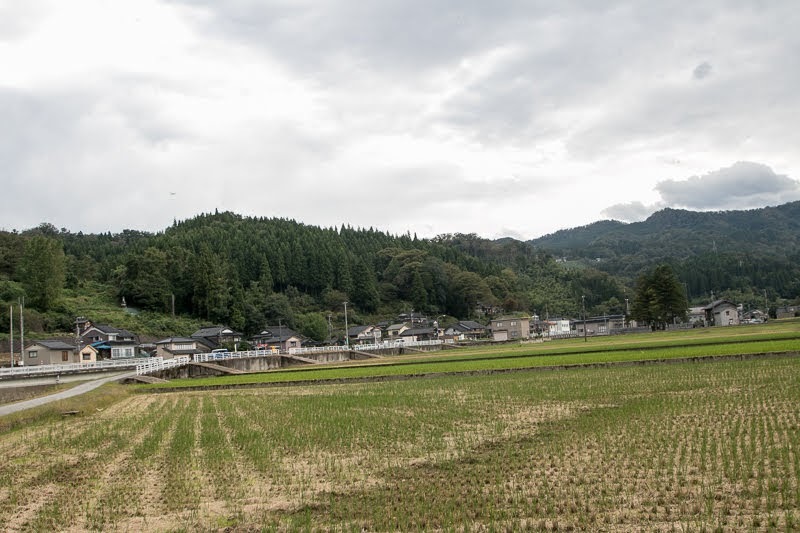 Kenshin had a brilliant talent of tactics and promptly beat Jinbou clan and Nagamoto ran away, but once Kenshin returned to Echigo province Nagamoto came back and restored the situation. 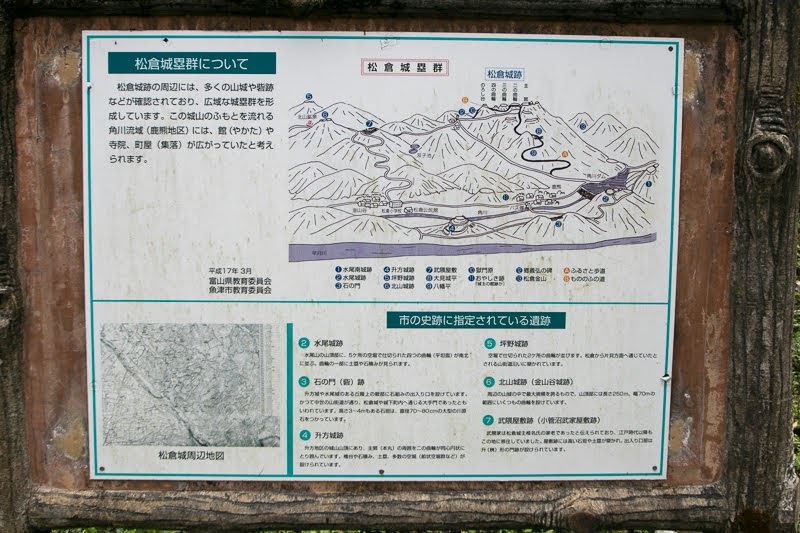 After fierce battle, in 1560, Kenshin admitted Nagamoto to keep Toyama area under Uesugi clan, along with Shiina clan which seized Uozu area. 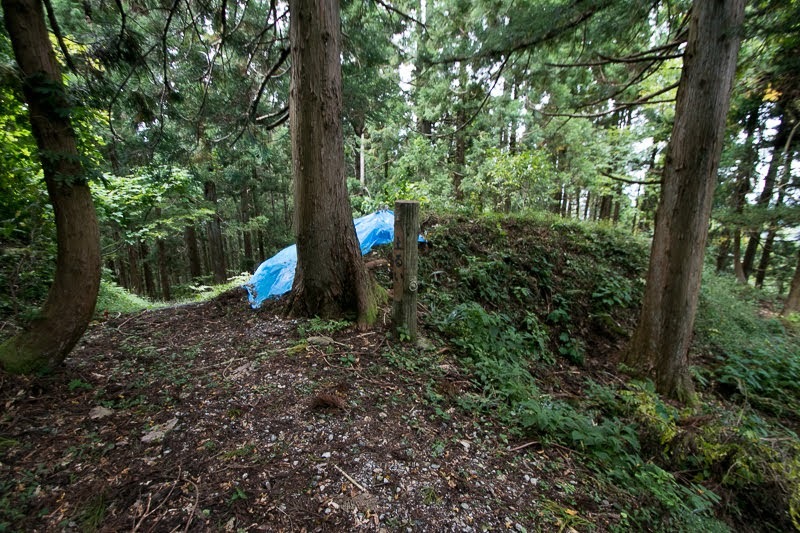 But in 1568, this time Shiina clan resisted against Kenshin under support of Shingen Takeda (1521-1573), the warlord of Kai province (Yamanashi prefecture) and fatal rival of Kenshin. 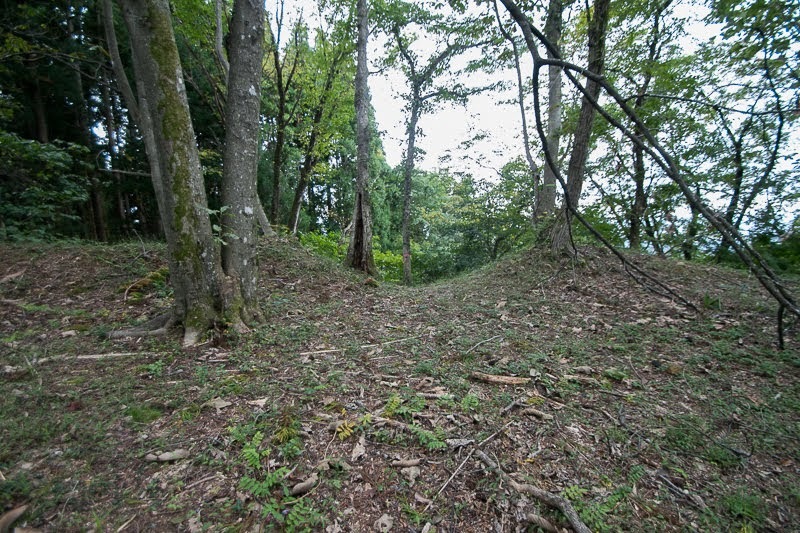 Yasutane dissatisfied with the fact that Jinbou clan kept Toyama area where was formerly kept by Shiina clan, and Shingen intended to weaken the power of Uesugi clan considering future his invasion into Tokai region. 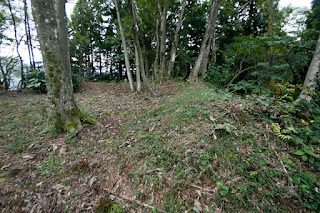 Furious Kenshin siege Matsukura castle with whole army but Matsukura castle stood over two years. 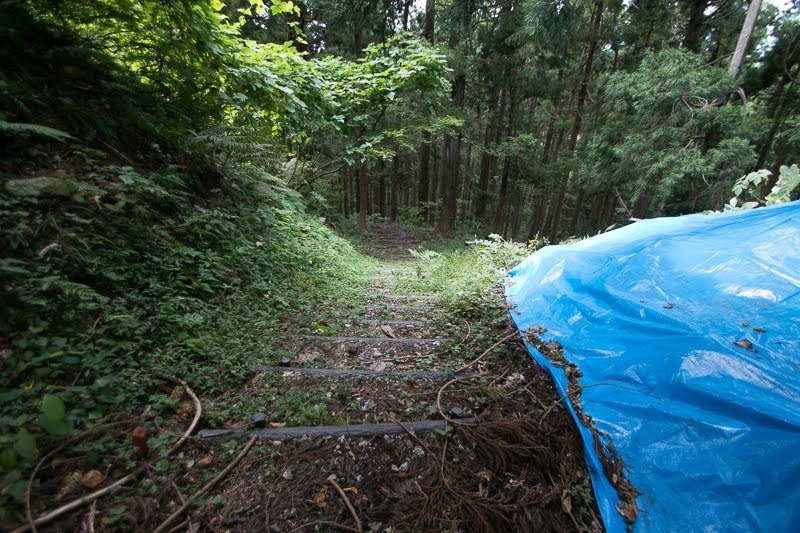 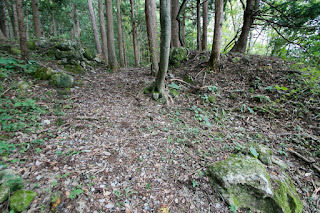 However, finally in 1571 the castle fell, and Yasutane escaped and still fought against Kenshin but died in 1576. 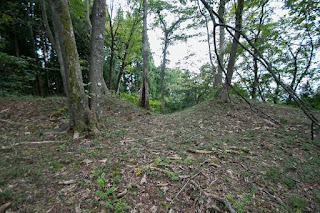 Around this time, although his talent at tactics Kenshin lost his territory at Shinano province (Nagano prefecture) and Kanto region before Takeda clan and Hojyo clan, and changed his policy from indirect control of Ecchu province to direct ruling. 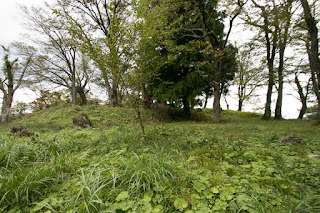 Kenshin reformed Matsukura castle as a main base of Uesugi clan at Ecchu province, and placed his confident general Nagachika Kawada (1545-1581) at Matsukura castle as a commander of Ecchu province. 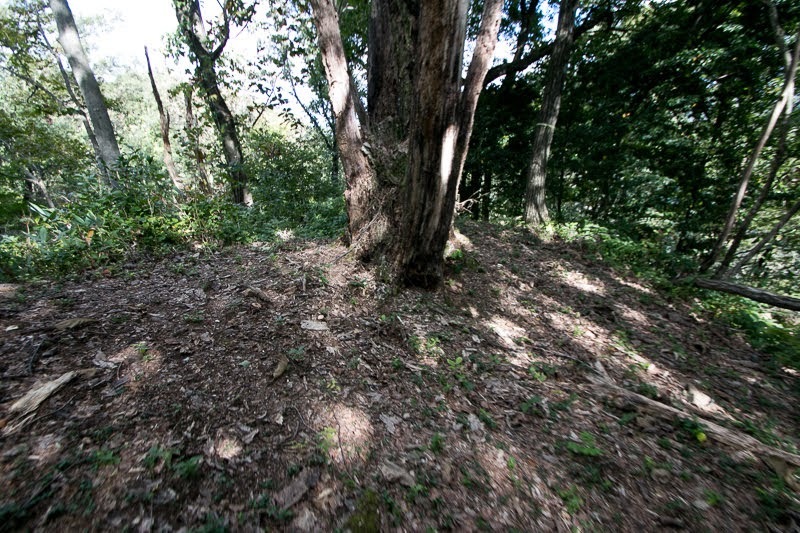 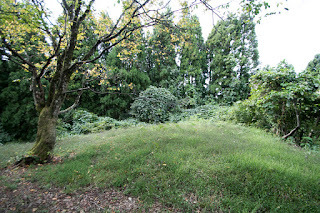 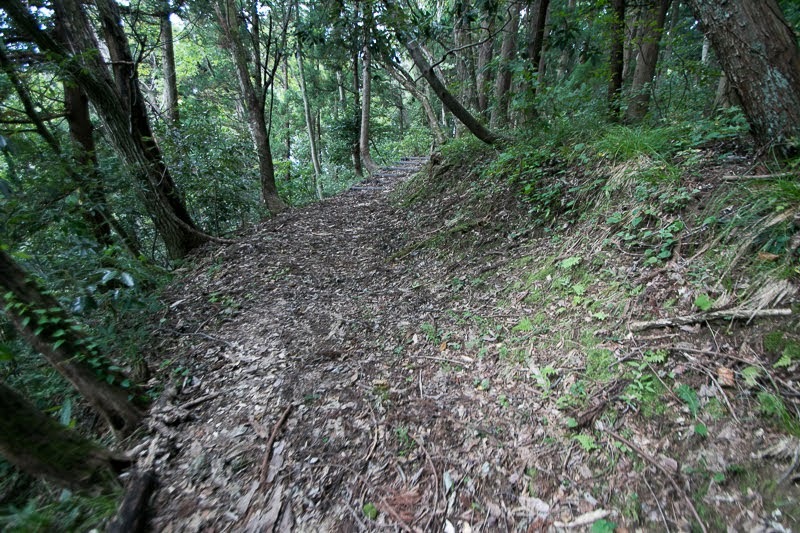 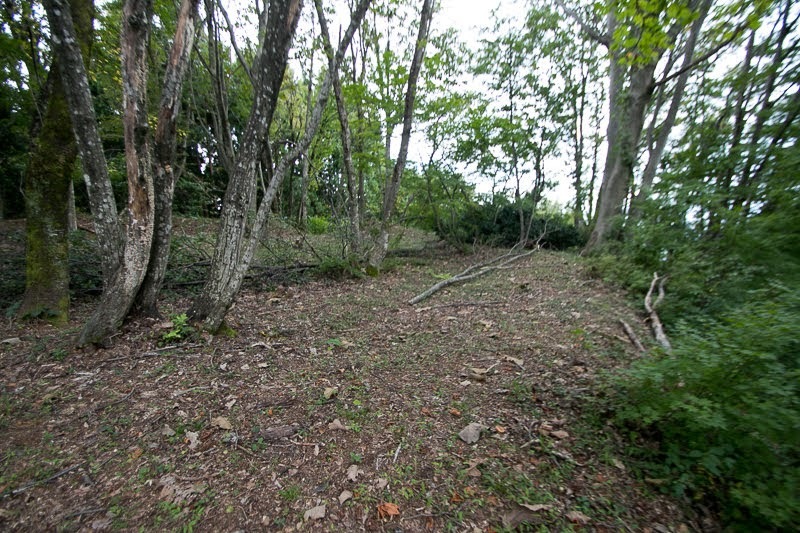 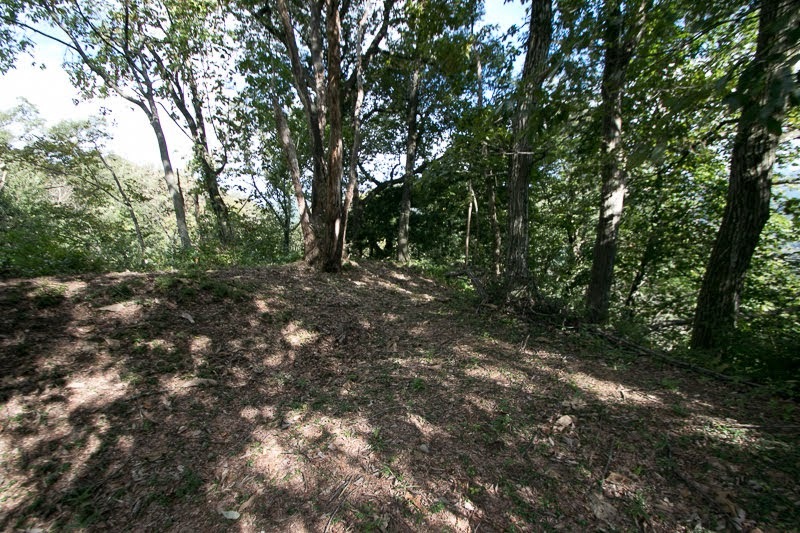 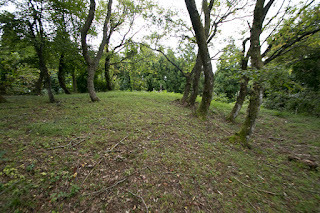 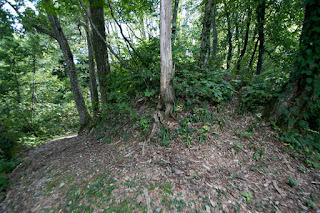 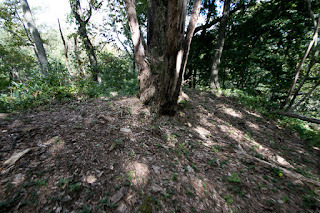 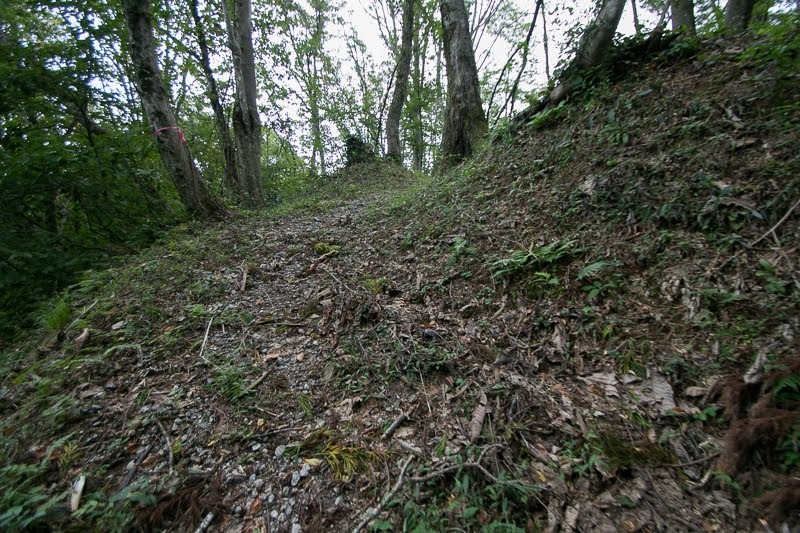 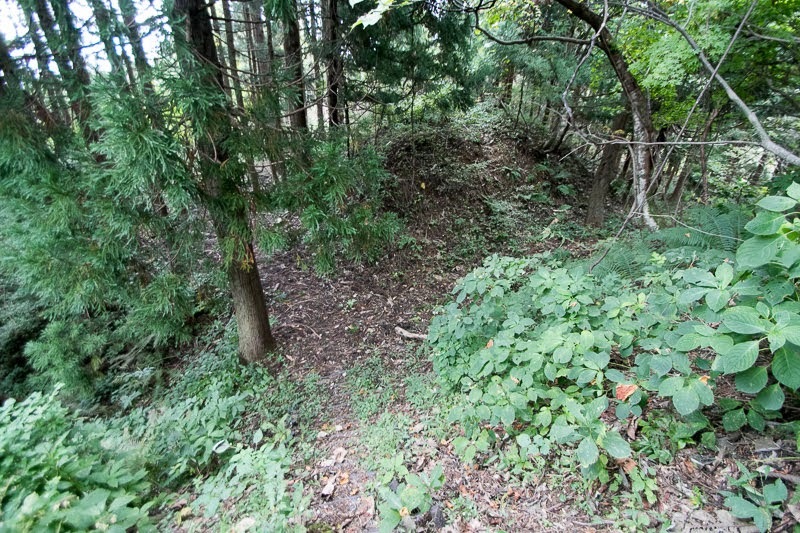 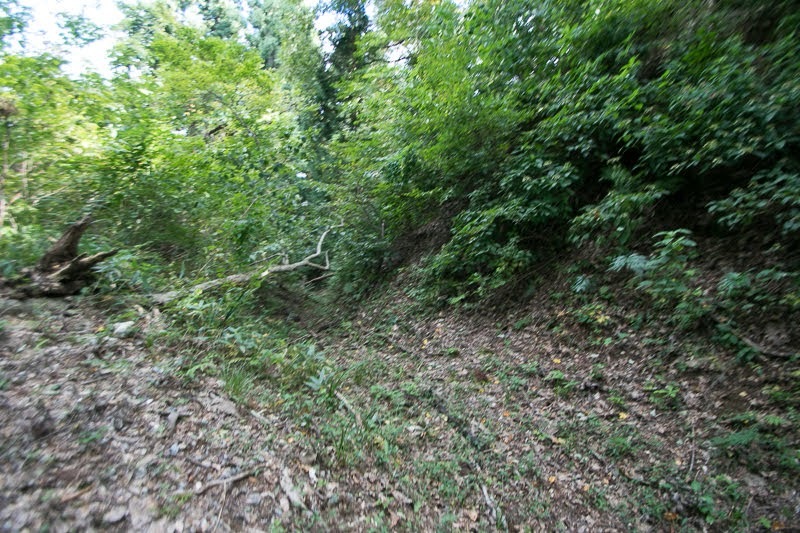 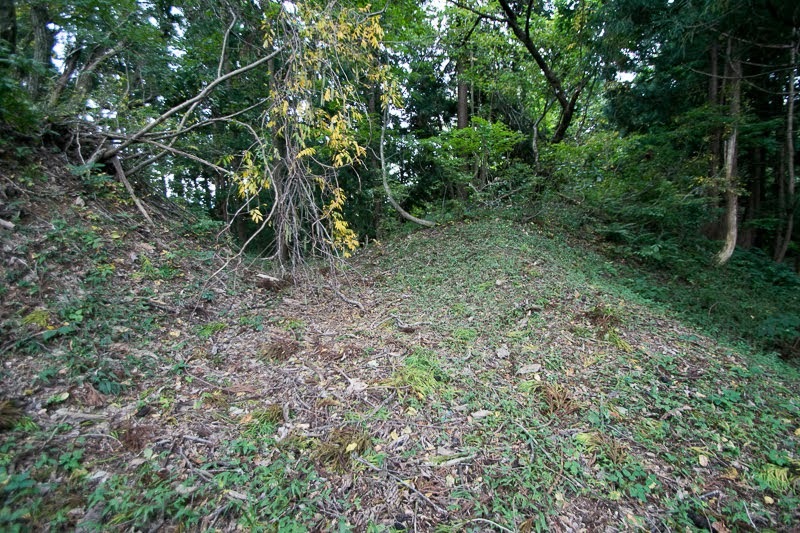 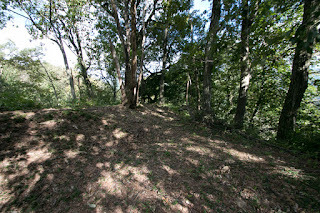 Matsukura castle spreads on reverse L shaped ridge spread from the corner toward northward and eastward. 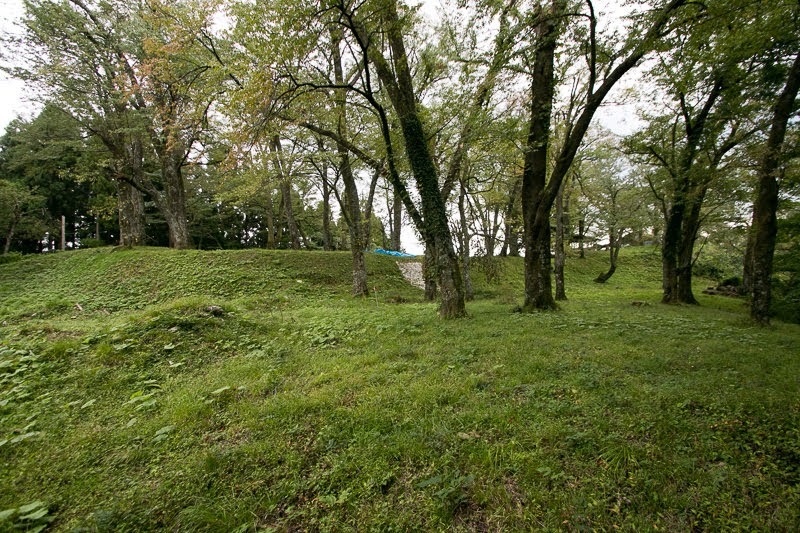 Central area of the castle is a rectangular area of about 100 meter long and 40 meter wide, and basement of main building which is 40 meter square locates inside. 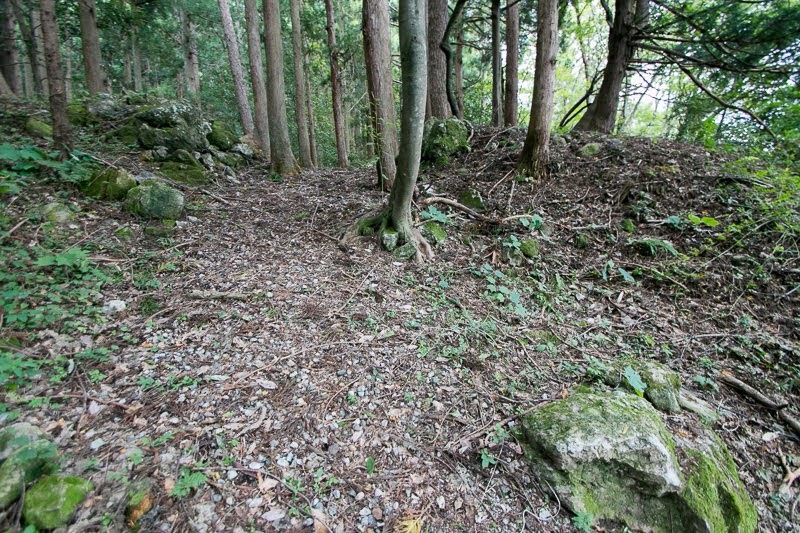 After this basement there is a small peak ahead of dry moat, and this place might be used as a sacred place. 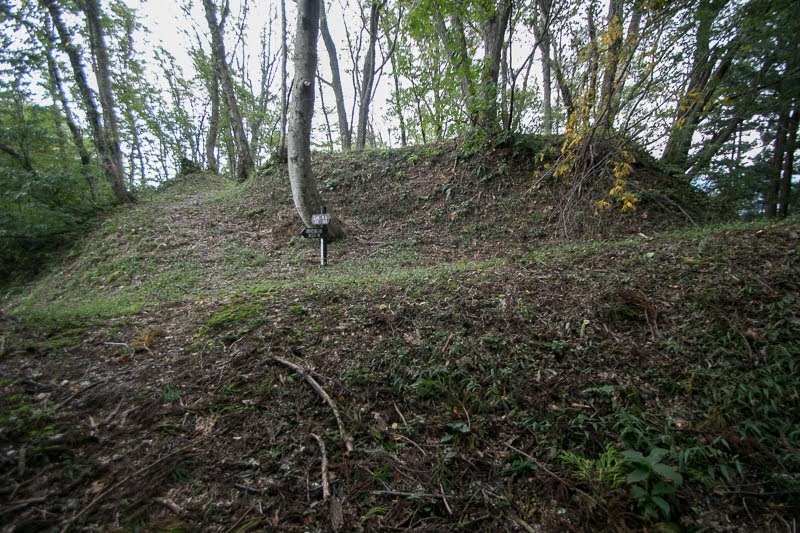 Secondary area, third area and fourth area continues in line with the northward ridge, and each area is separated by deep dry moat. 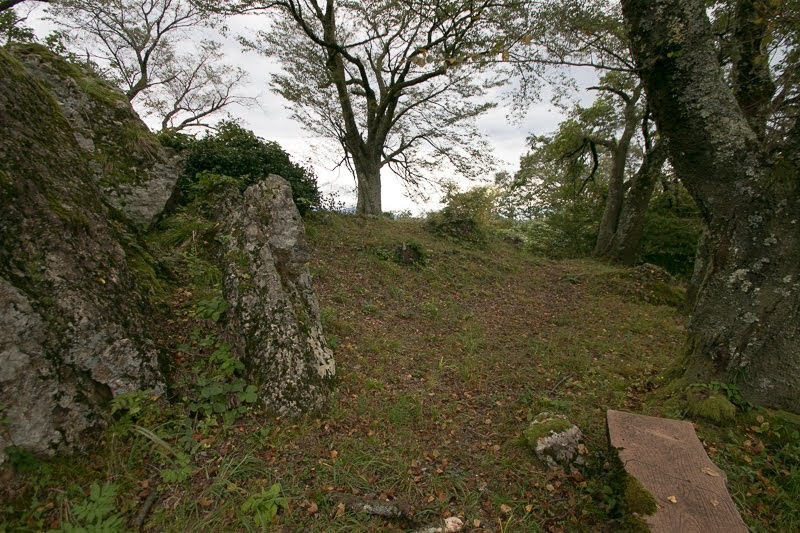 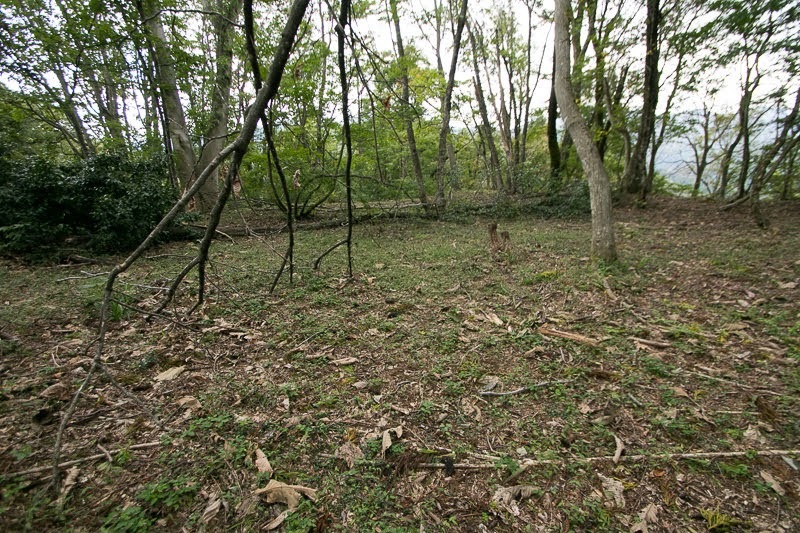 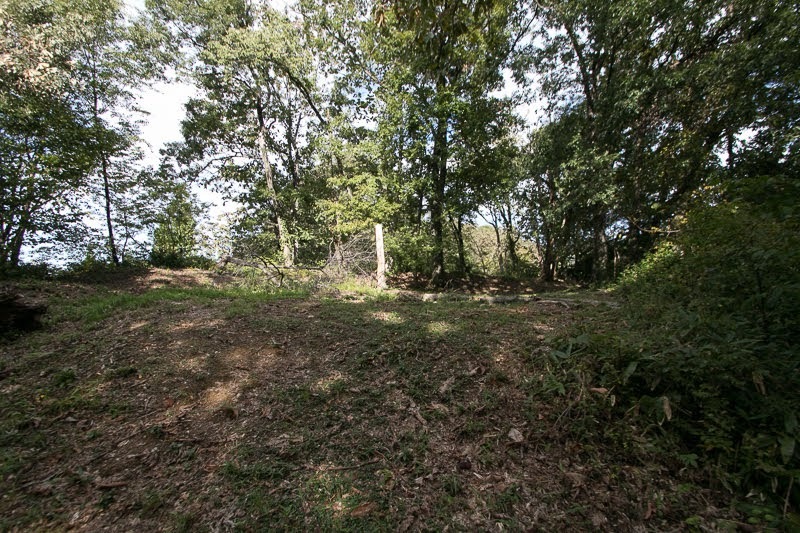 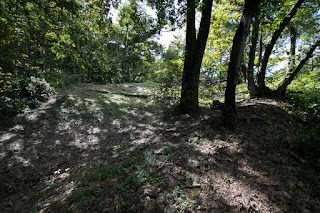 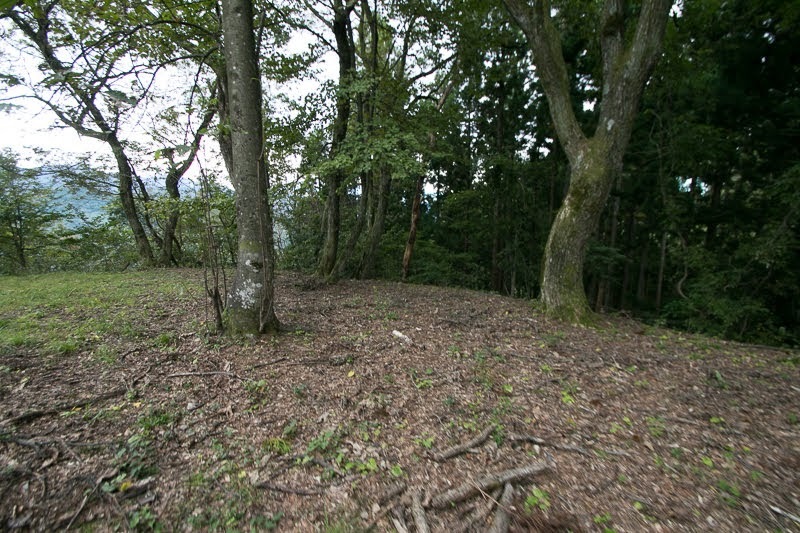 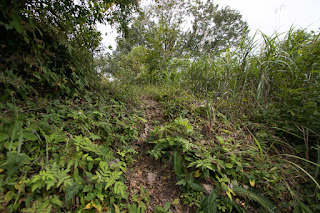 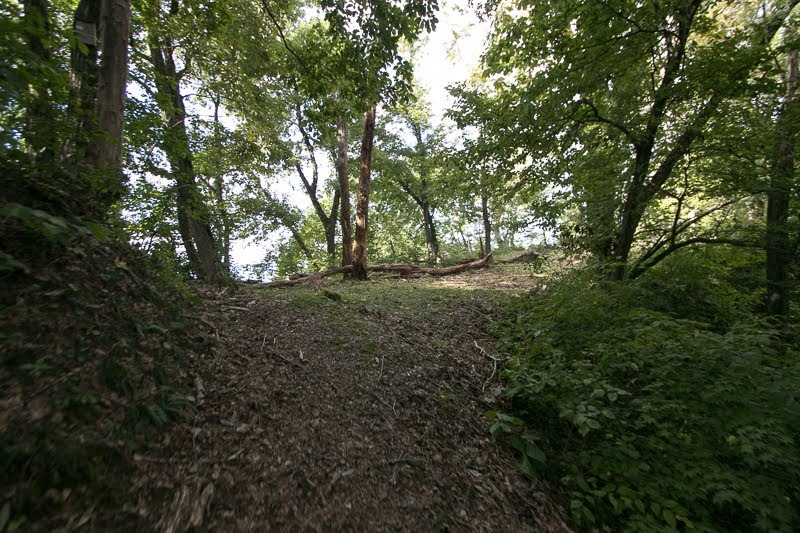 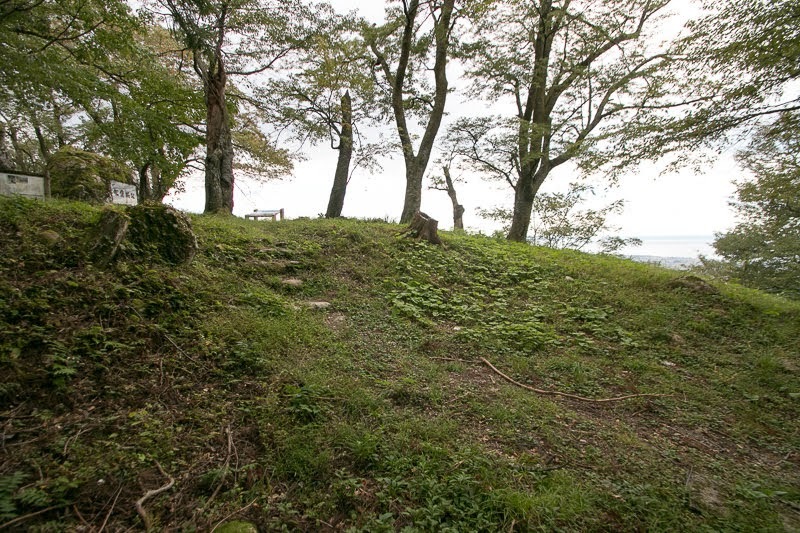 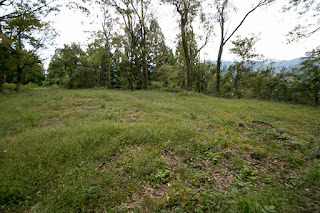 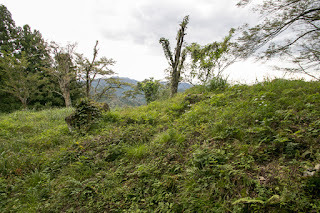 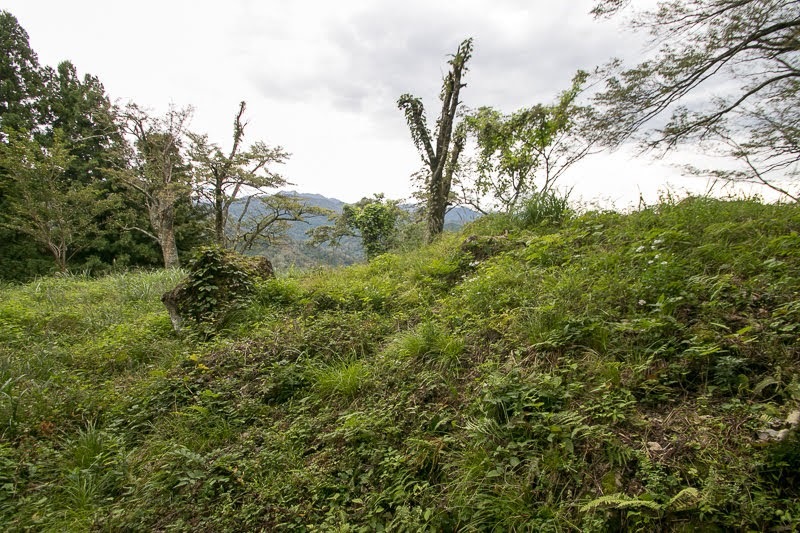 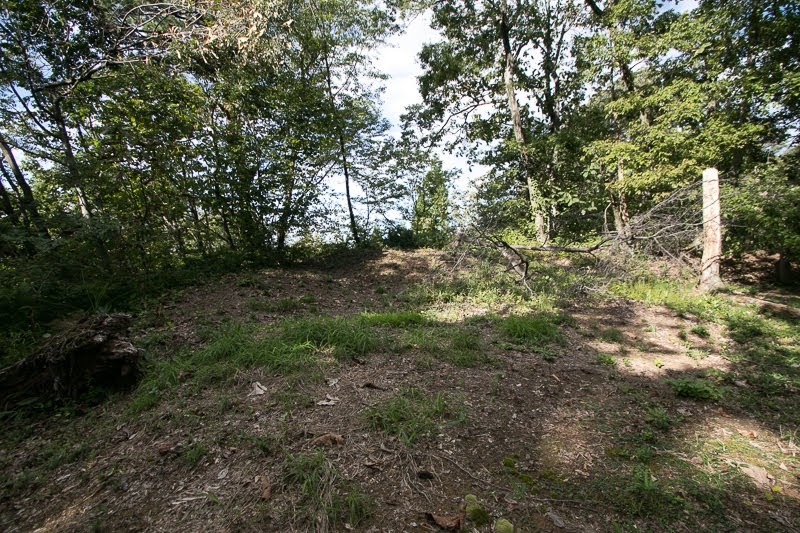 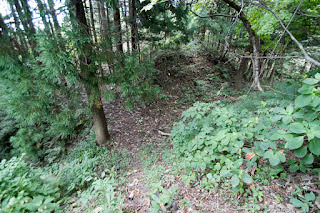 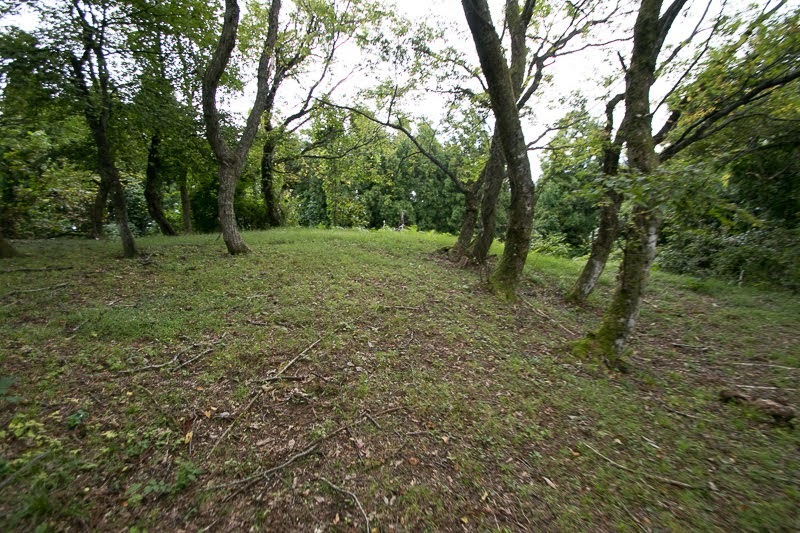 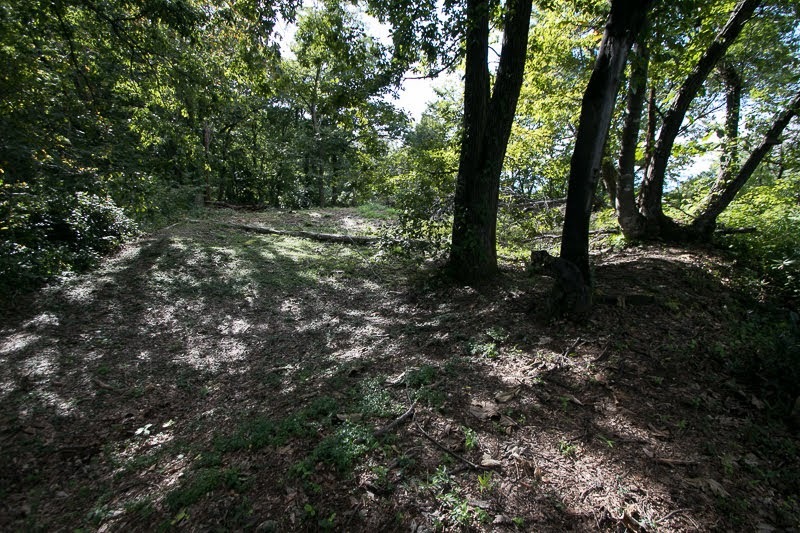 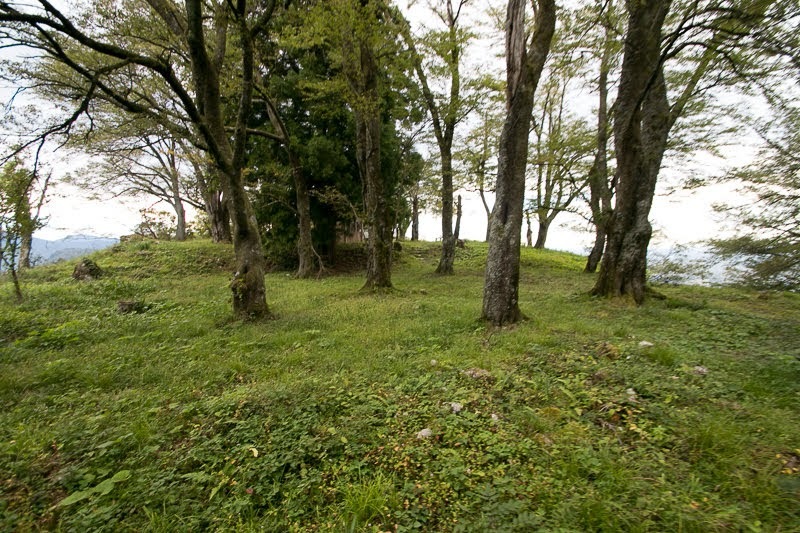 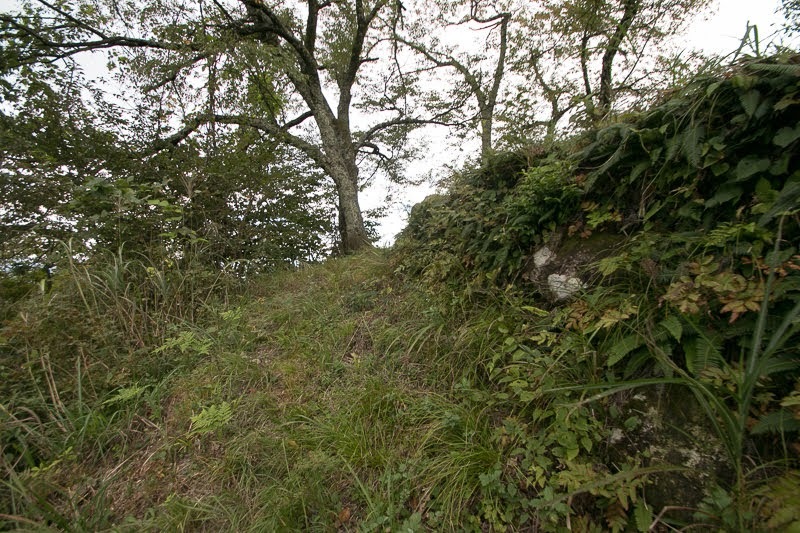 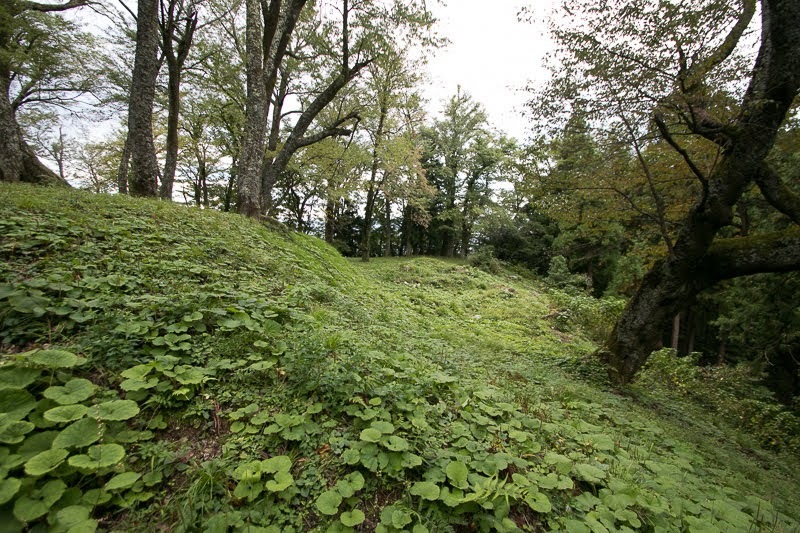 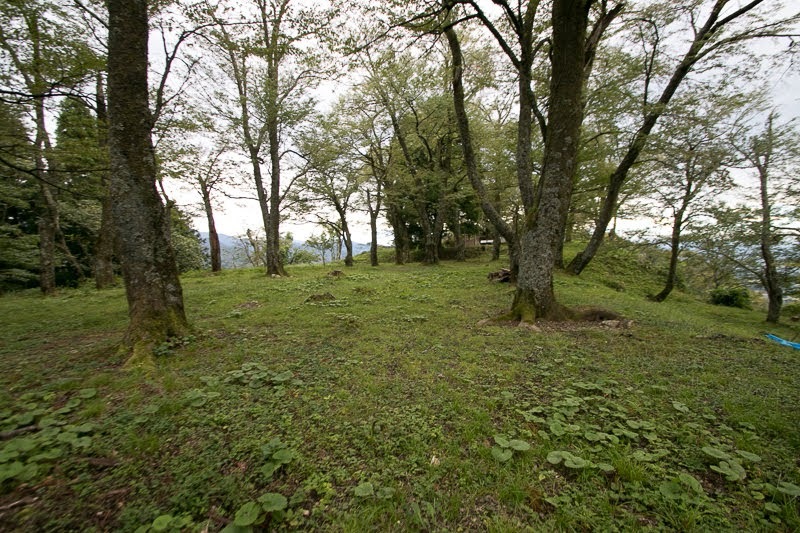 Especially the fourth area at the tip of the hilltop area is a round area guarded by clay walls, and might be built as a front fort to attack the enemy with matchlock guns. 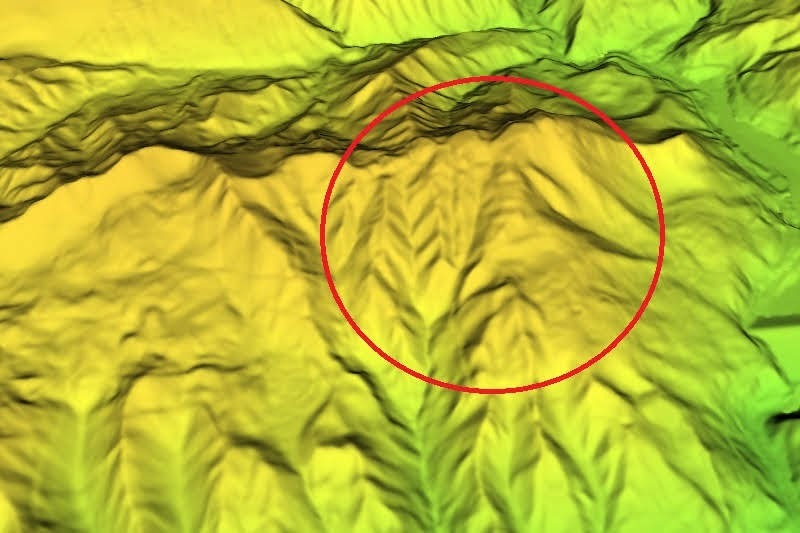 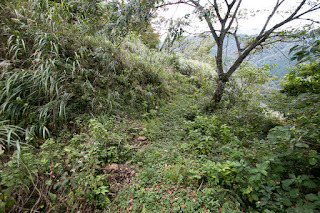 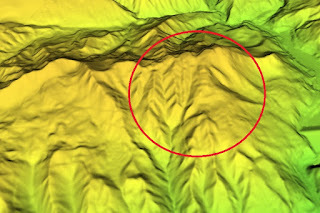 About 400 meter ahead of fourth area, there is a small peak higher than central area, and might be used as a watching point or launching beacon. 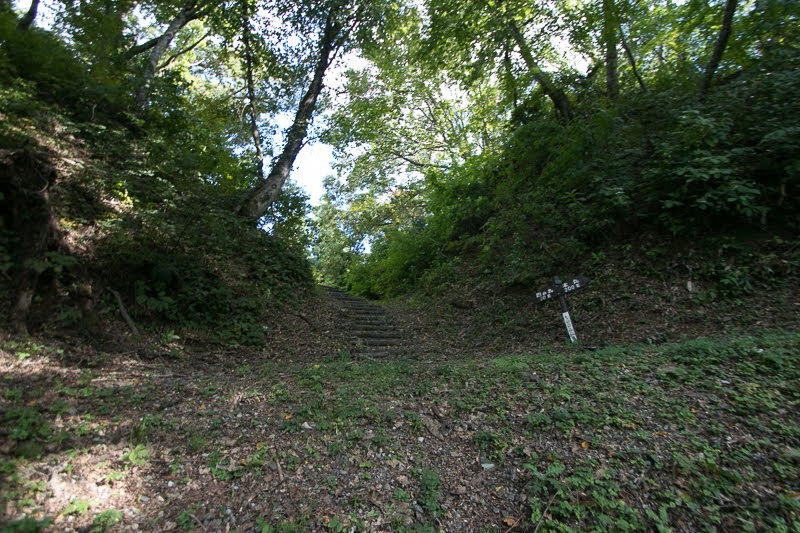 At the halfway of westward ridge there is a large flat space named Omishiro Daira, and might be used for a residence of the lord. 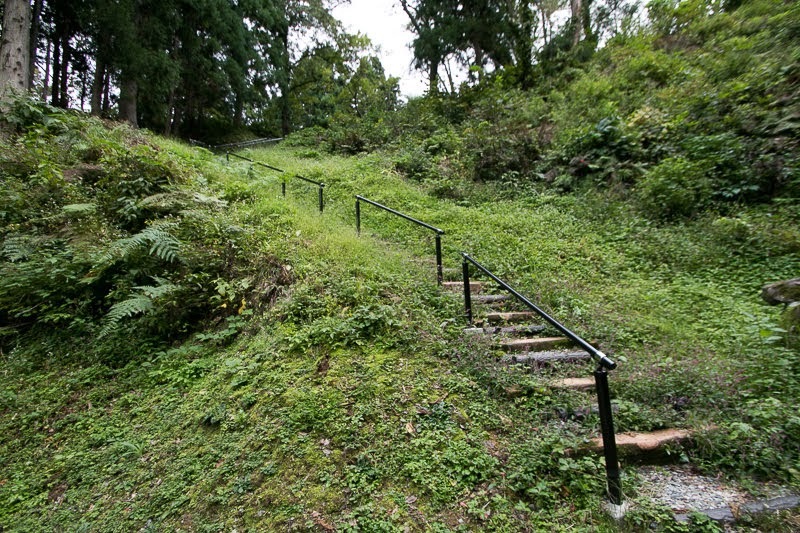 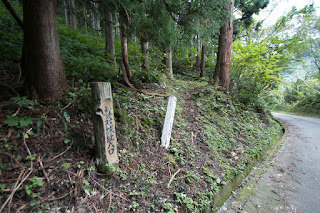 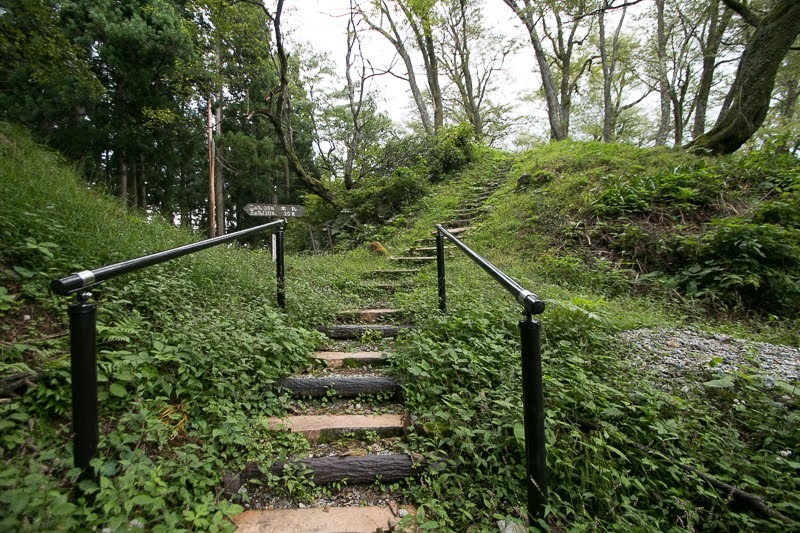 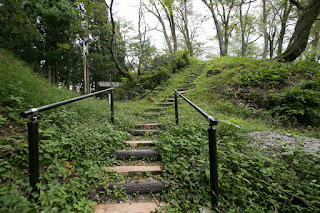 At the entrance of this flat area from hillside there is a main gate decorated with stone wall, which was built to show the authority of the lord. 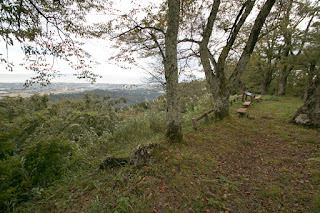 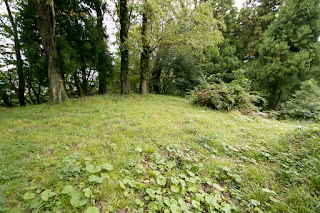 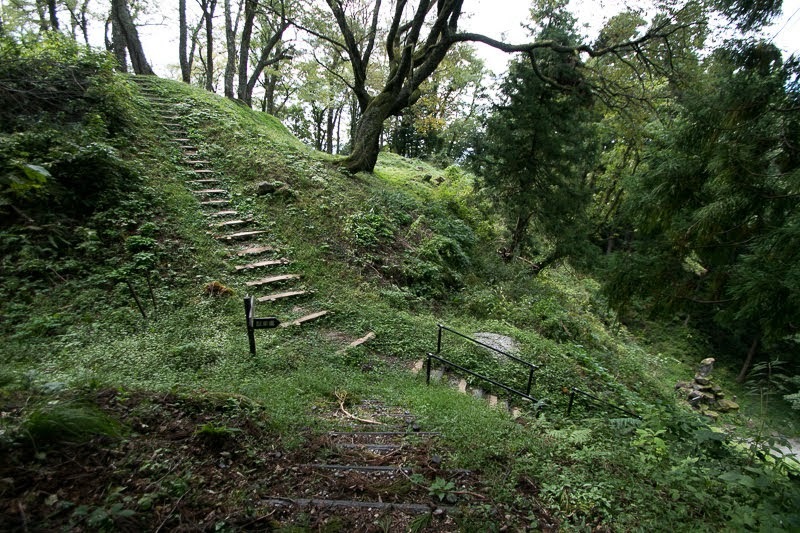 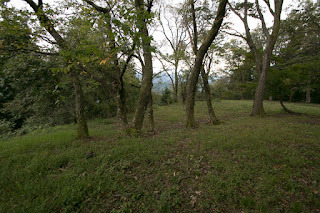 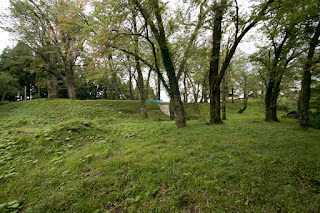 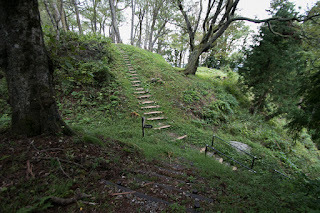 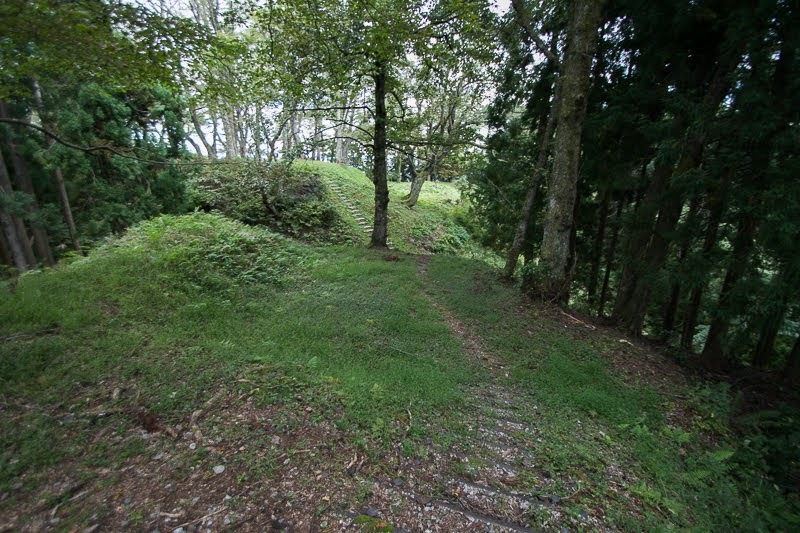 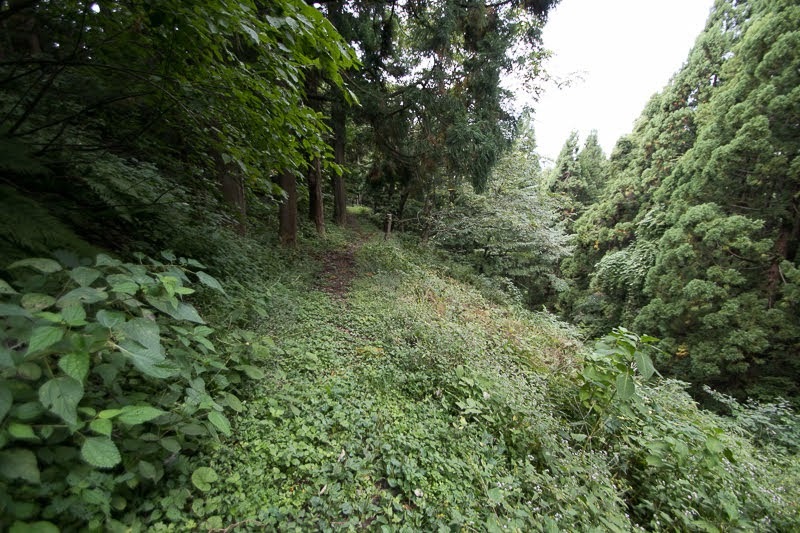 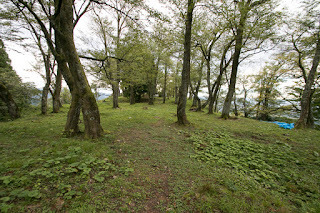 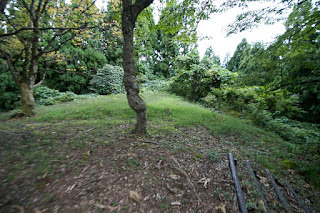 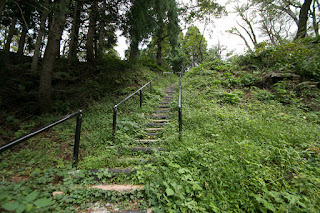 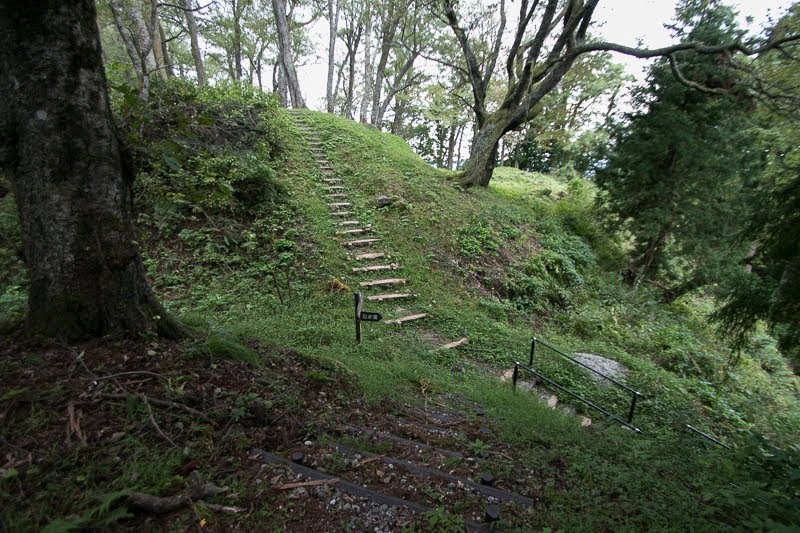 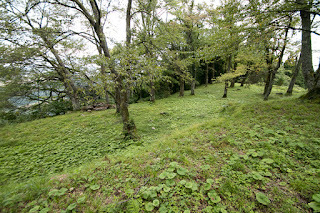 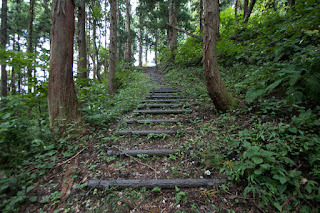 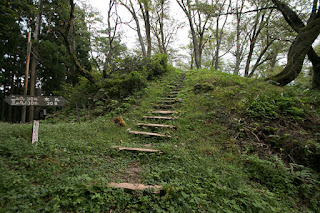 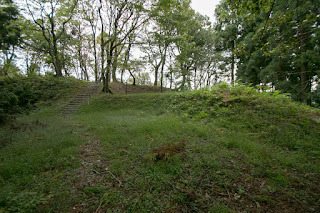 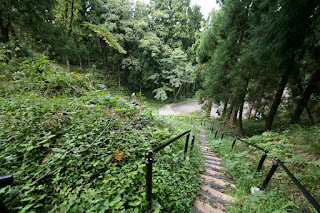 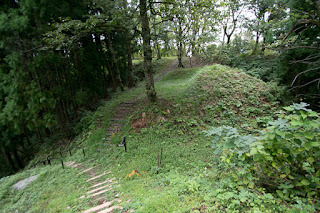 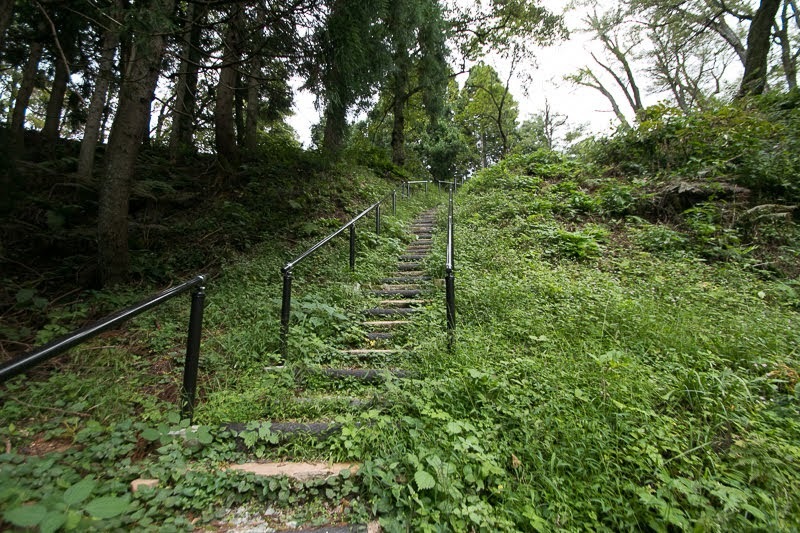 Between the hilltop central area and halfway residence numerous terraces are built like a step, and these areas might be built to store much soldiers and strengthen the defense of the castle, when Uesugi clan faces the crisis 10 years later. 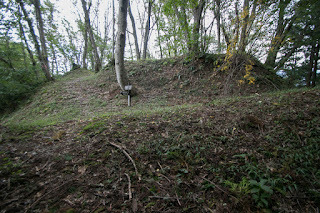 Furthermore, castles and forts were built at neighbor area to guard the main castle. 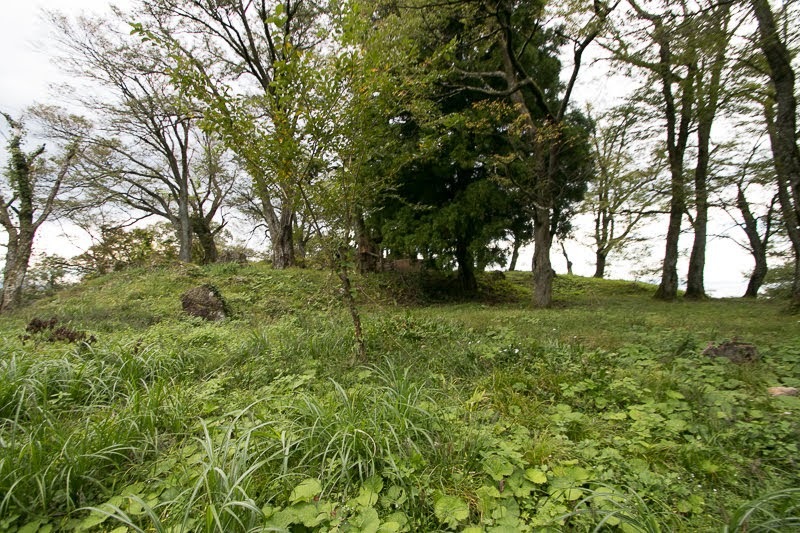 Utilizing Matsukura castle as a main base, Kenshin expanded his territory toward westward. 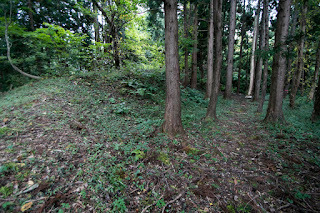 In 1576, Kenshin suddenly broke with central ruler Nobunaga Oda (1530-1578), and agreed with Ikko Ikki group who suffered pressure from Nobunaga. 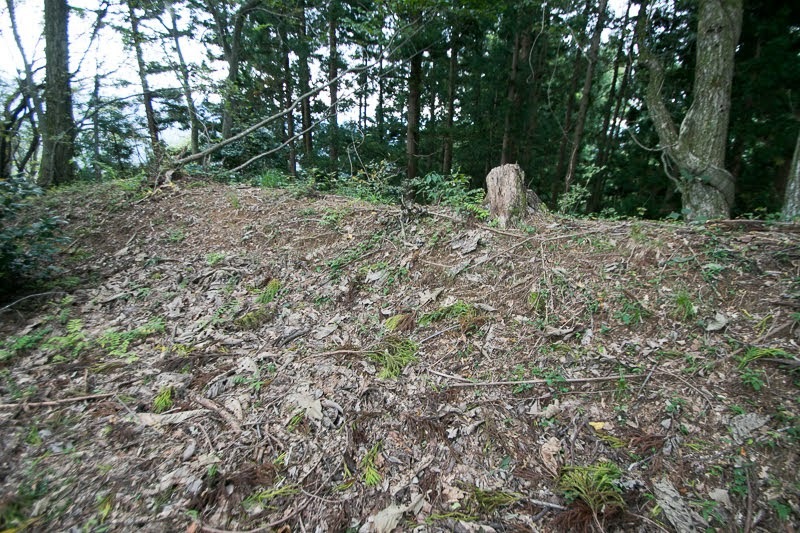 Kenshin moved his army toward west, and captured whole Ecchu province expelling Jinbou clan. 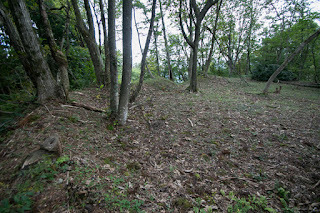 Furthermore Kenshin attacked Noto province (north part of Ishikawa prefecture) and encircled Nanao castle, but this time could not capture it and once returned. 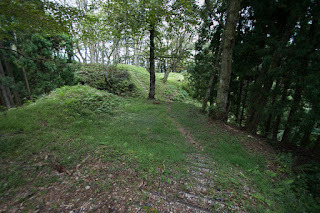 But next year Kenshin siege Nanao castle again and fell it, then broke Oda army lead by Katsuie Shibata (1521-1573) at the battle of Tedorigawa. It seems Kenshin would capture whole Hokuriku region and march toward Kyoto city breaking Oda army. 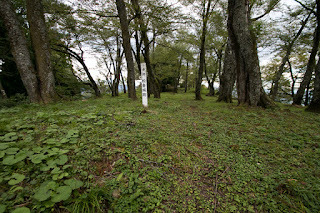 But in 1578, just before his expedition toward Kanto region, Kenshin suddenly died in ill. As Kenshin made two adopted children, it mean Kagetora Uesugi (1552-1579) and Kagekatsu Uesugi (1556-1623) without clarifying his successor, an internal conflict for successor named “Otate no Ran” occurred and this significantly weakened the power of Uesugi clan. 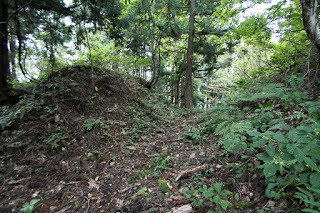 Utilizing this situation Katsuie accelerated invasion toward Hokuriku region, and captured Kaga province and Noto province by the end of 1580. 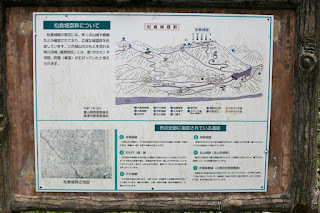 Next target of Oda army was Ecchu province. 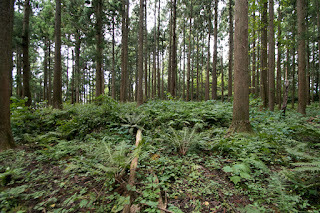 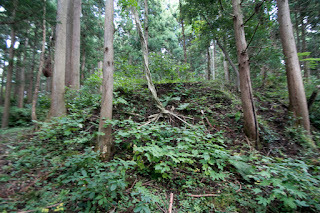 Once Oda army attacked Ecchu province from Hida province (Gifu prefecture) and beat Uesugi army in 1578, but this time coordination was not well and Oda army once retreated. 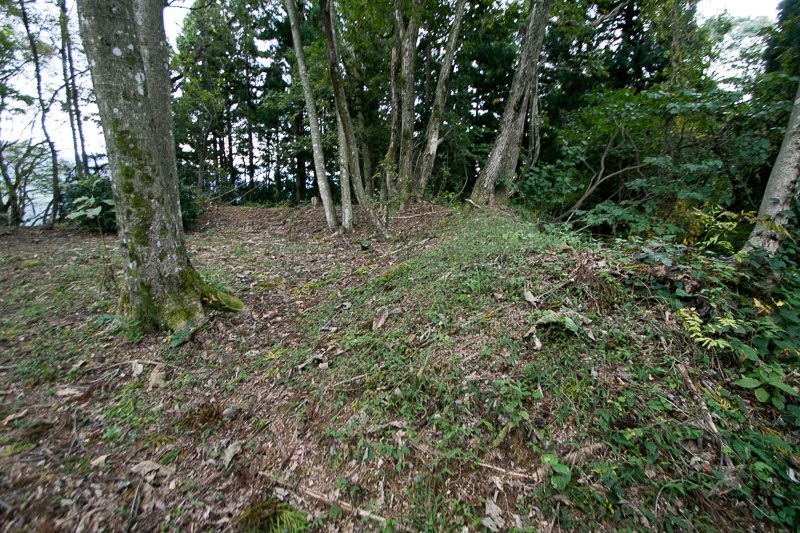 But this time Katsuie could use his whole army, and used Nagasumi Jinbou (?-? 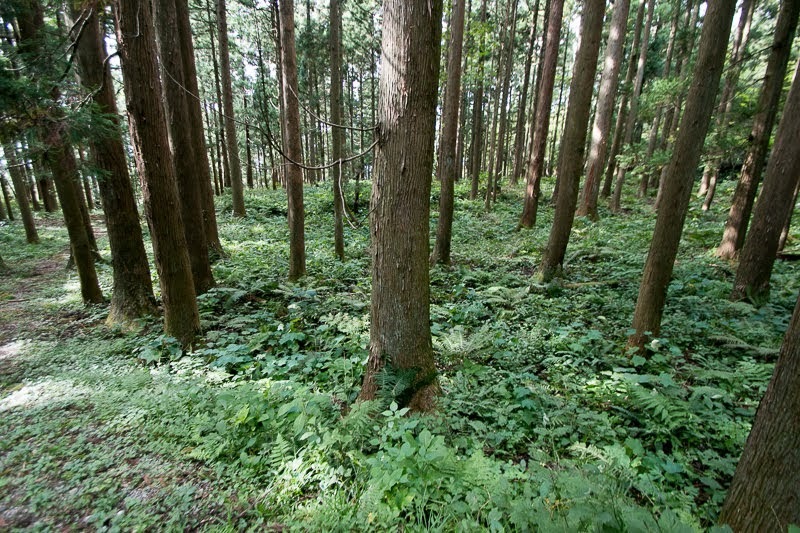 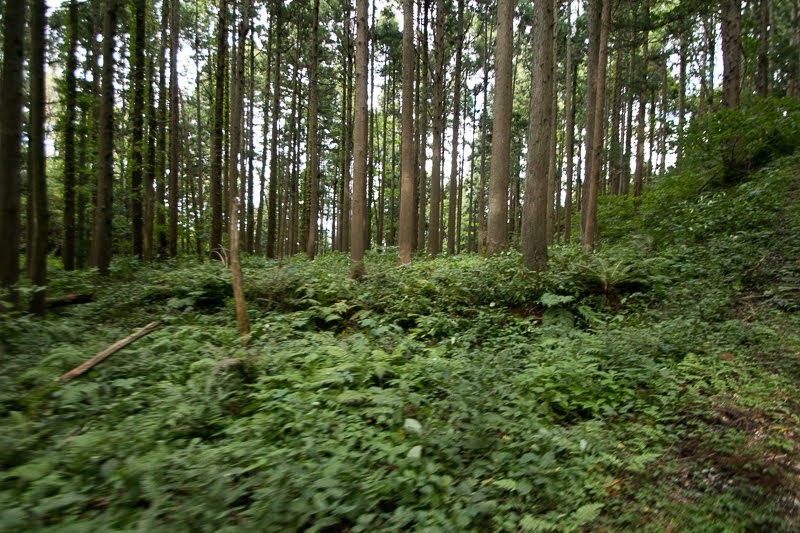 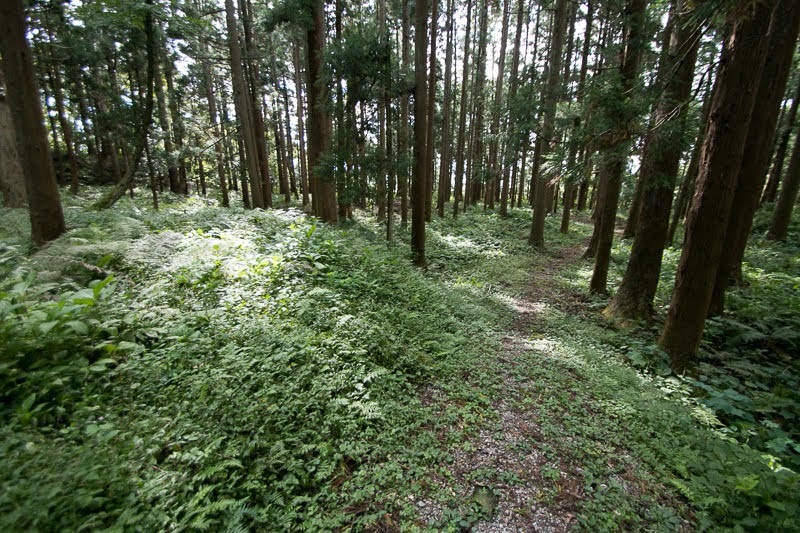 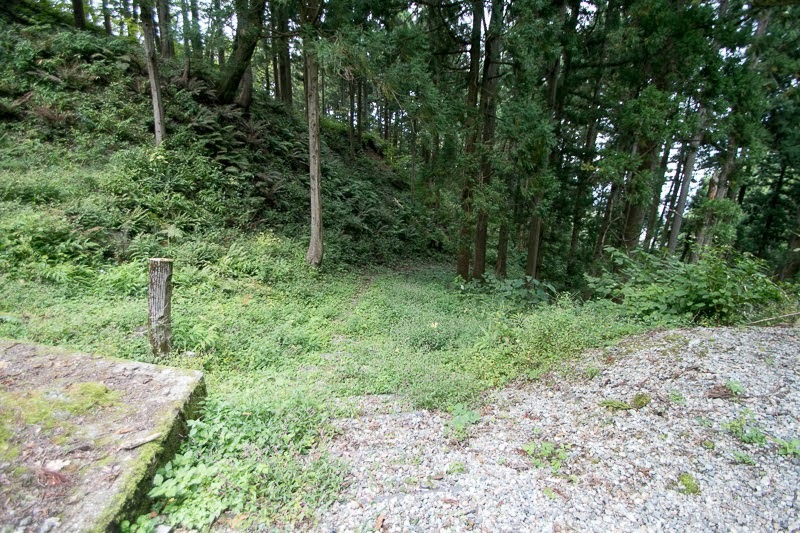 ), son of Nagamoto, to gather local lords. 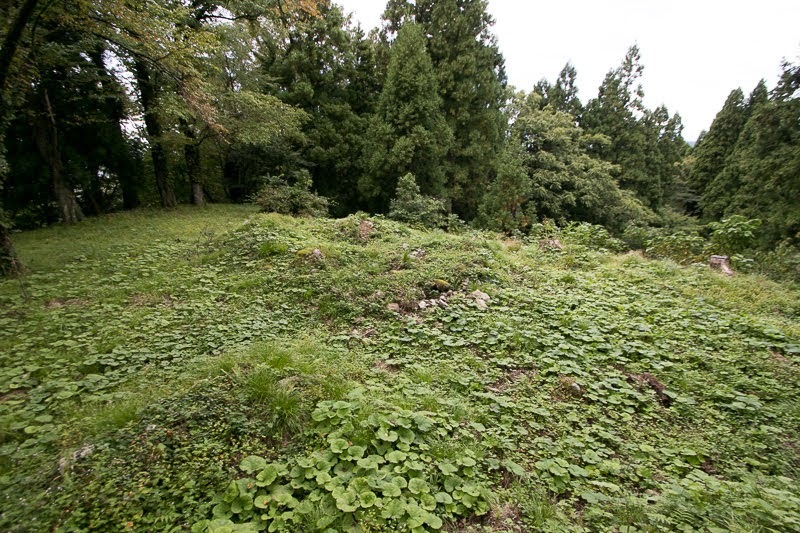 Unfortunately Nagachika Kawata who desperately supported Uesugi army in Ecchu province died in ill, then many local lords left Uesugi clan and Uesugi army became inferior to Katsuie. 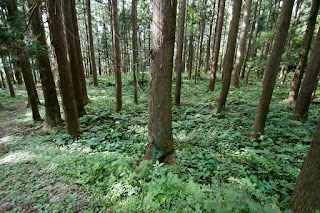 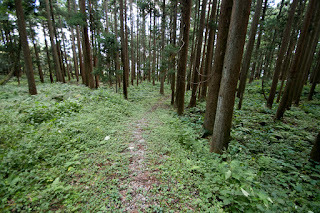 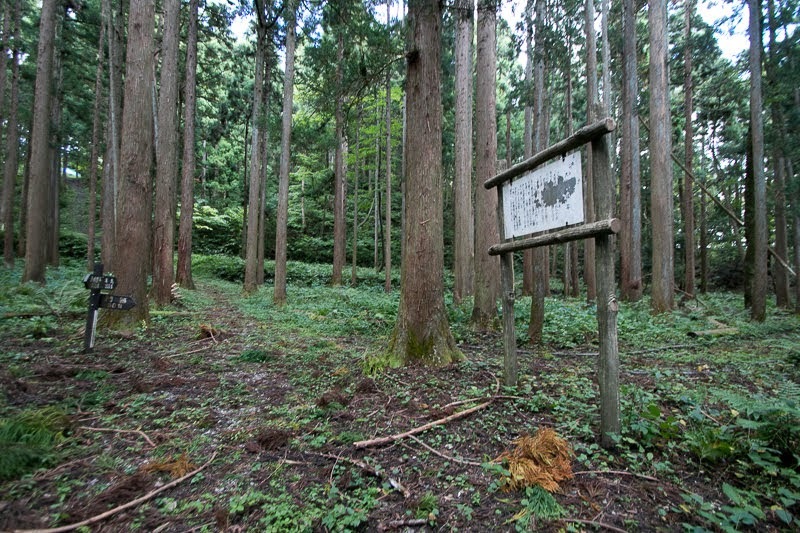 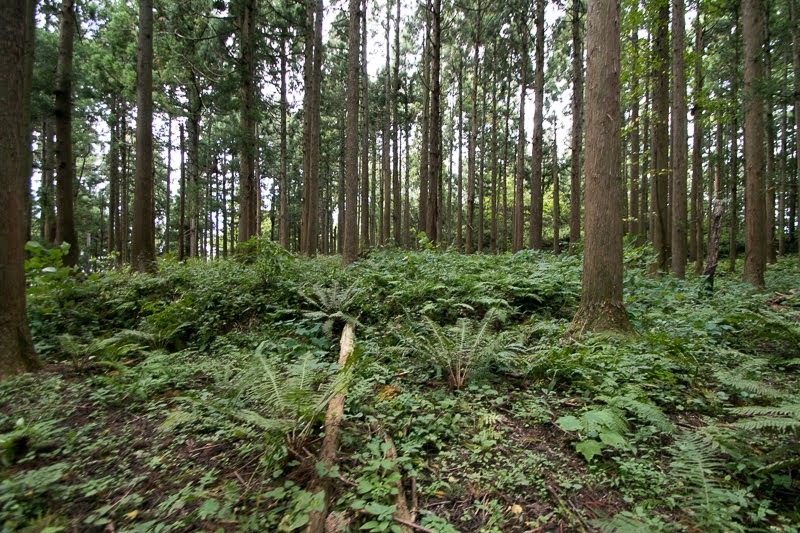 In 1581, Uesugi army lost Toyama area and only kept Uozu area. 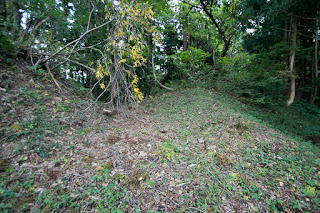 To obstruct intrusion of Oda army into Echigo province through Ecchu province at any risk, Uesugi clan strengthened Uozu castle at flat area and this Matsukura castle as an absolute defense line. As expected, in March 1582, Katsuie siege Uozu castle with 40,000 soldiers, and after three month battle Uozu castle fell and 13 commanders of Uesugi army shared their fate with the castle. 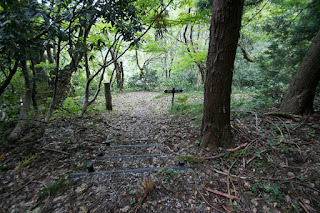 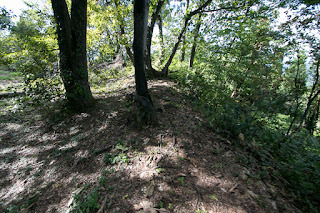 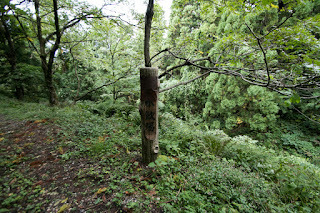 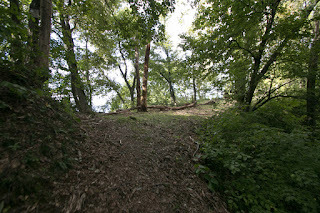 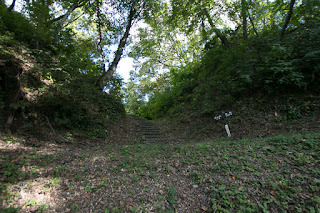 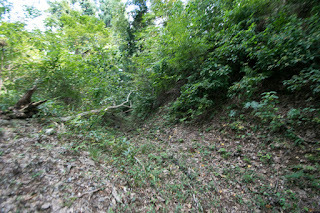 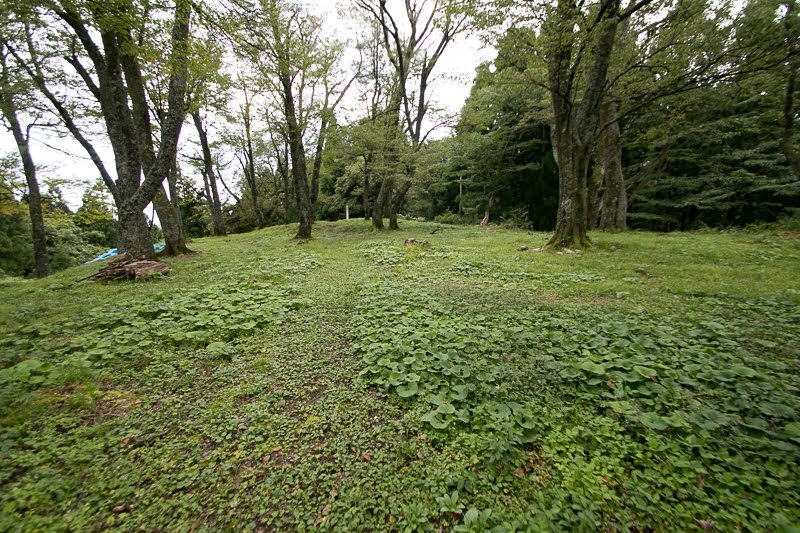 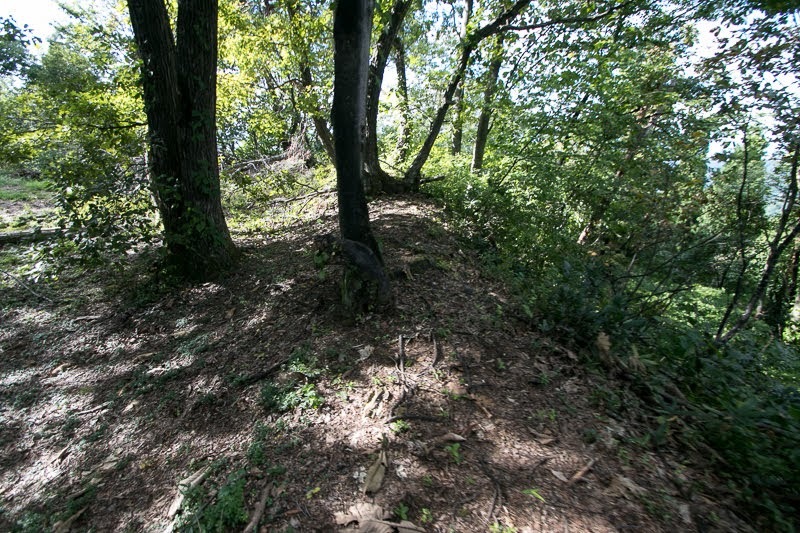 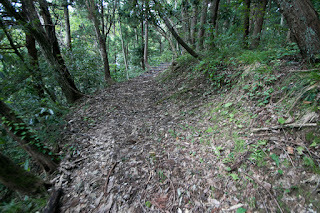 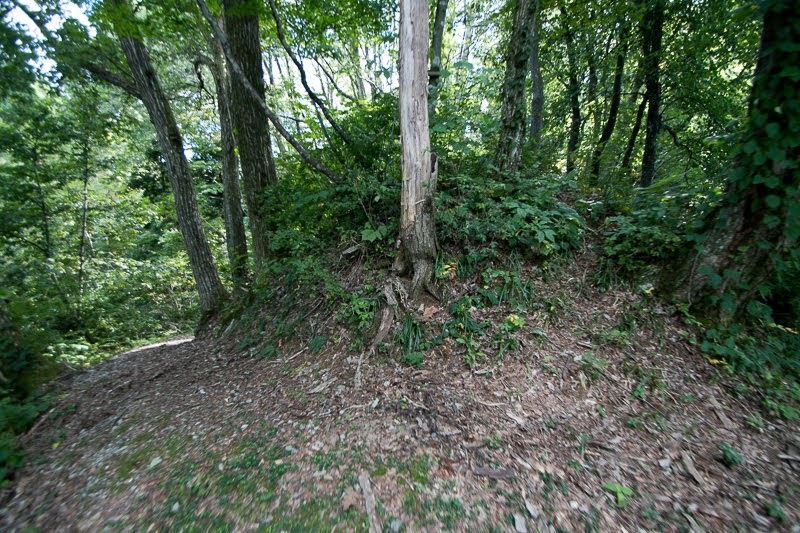 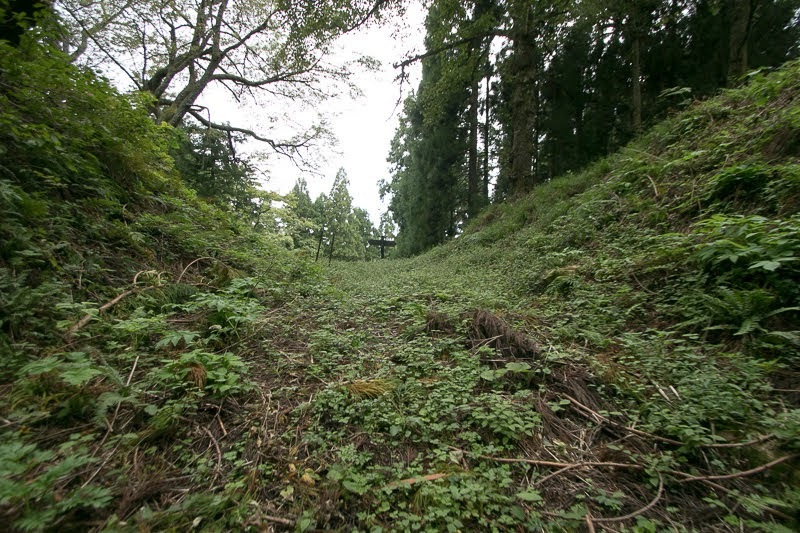 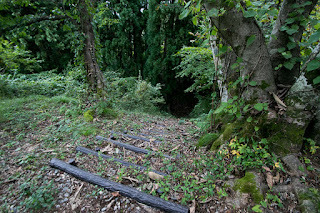 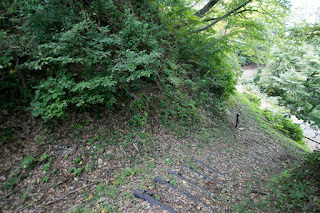 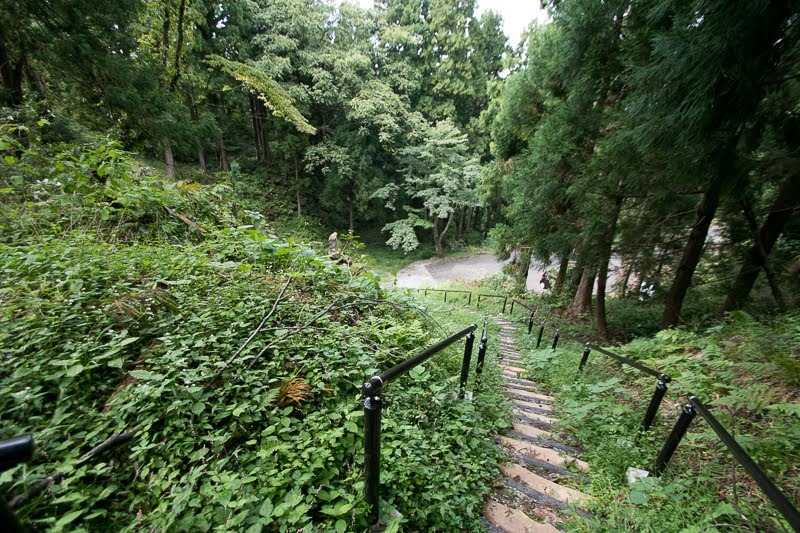 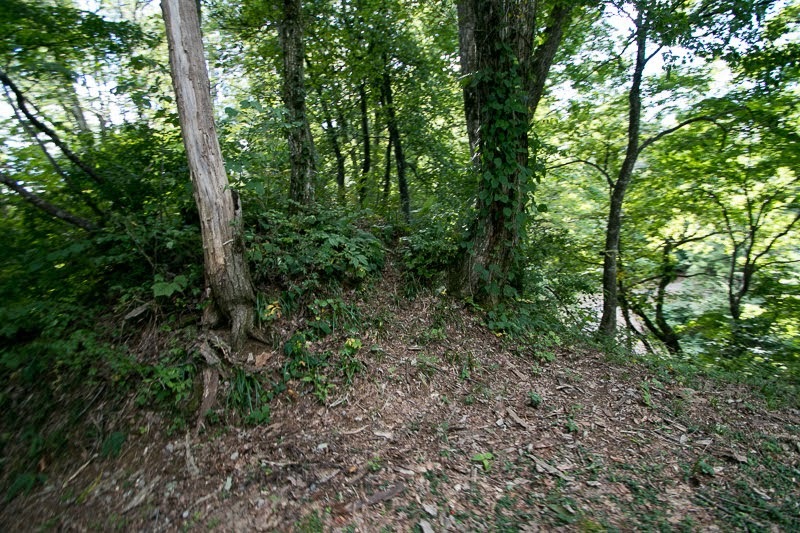 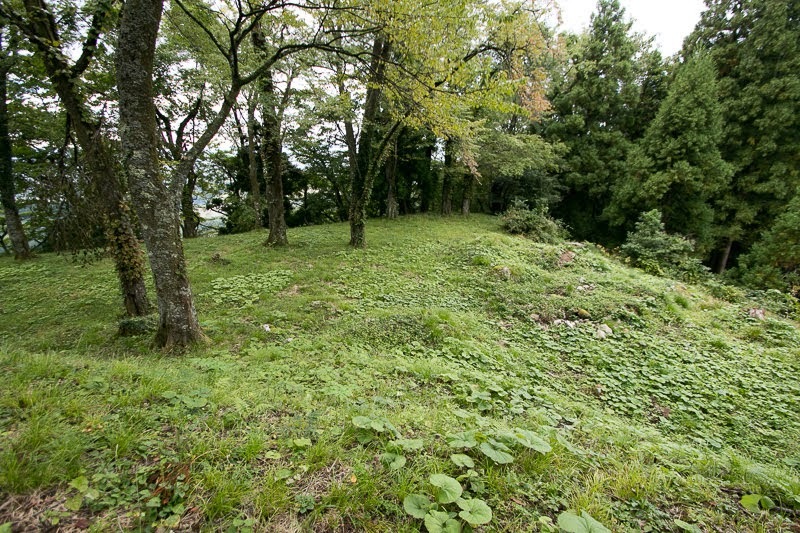 Matsukura castle was also close to the fall, and Uesugi clan was forced to the corner. 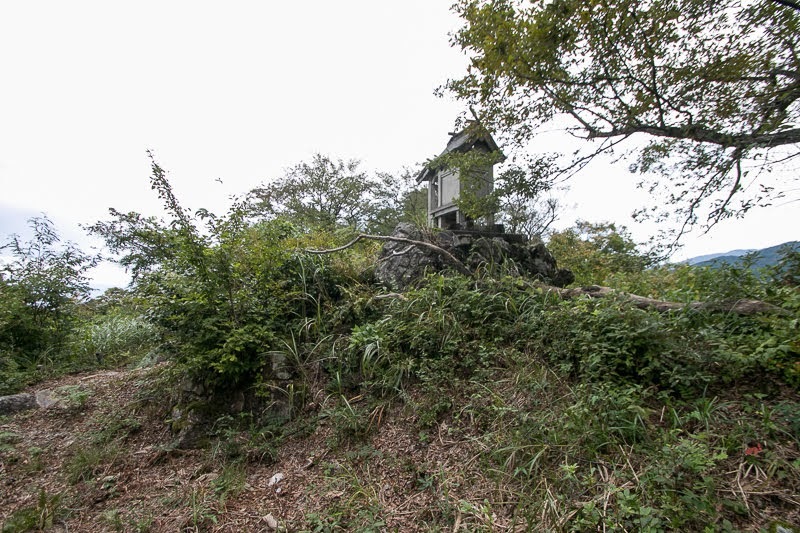 However, just at the same day Uozu castle fell, Nobunaga himself died in the incident of Honnoji, a coup d'?tat by his general Mitsuhide Akechi (1528-1582). 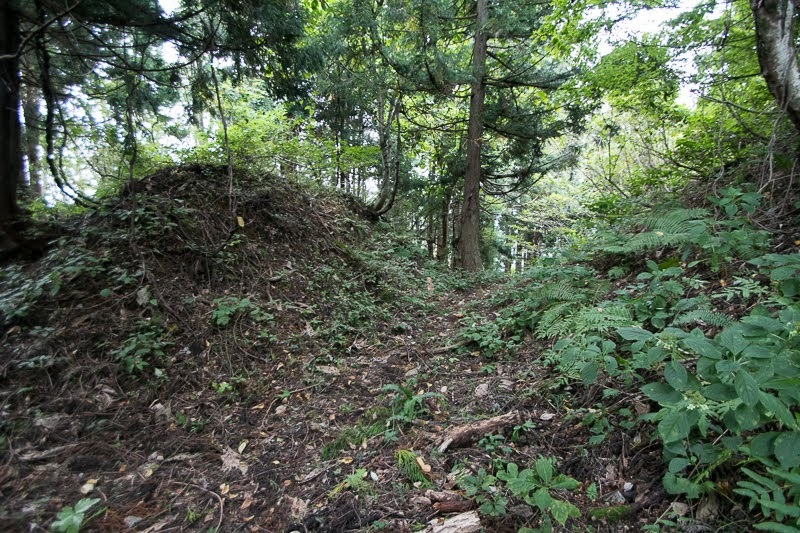 Hearing that news Katsuie retreated from Uozu area to secure his territory and suppress the rebellion, then Uesugi clan could barely survive. 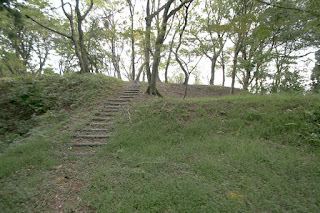 But next year Narimasa Sasa (1536-1588), a commander under Katsuie and lord of Toyama castle, attacked Uozu area again, and Uesugi army lost both of Uozu castle and Matsukura castle. 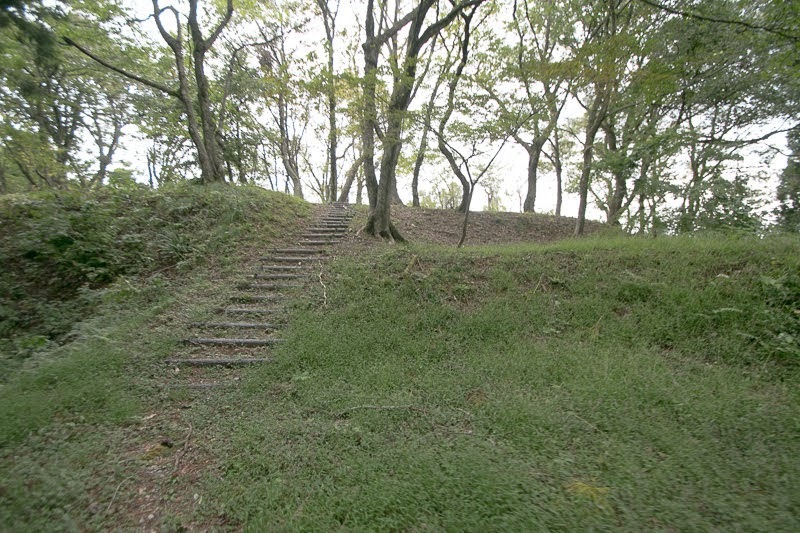 Matsukura castle was abolished at this time. 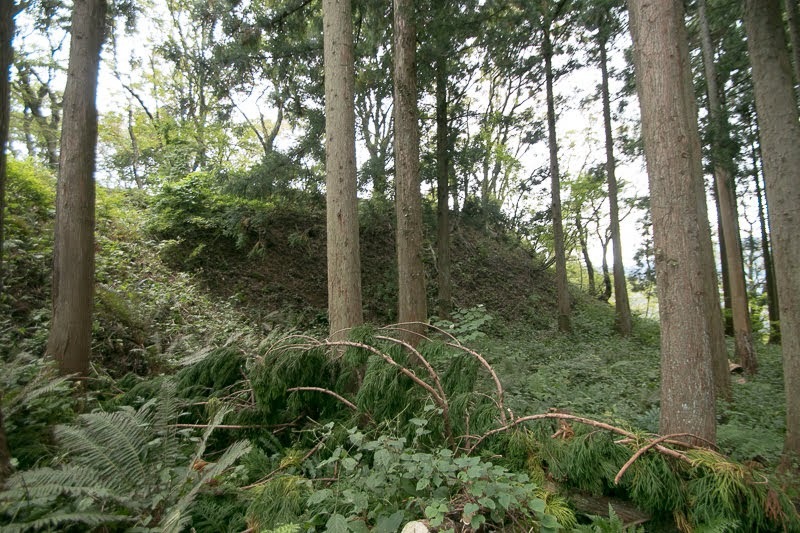 Currently all buildings were lost but terraces and moats well remain on the mountain. 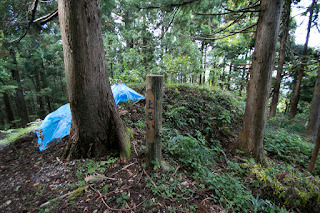 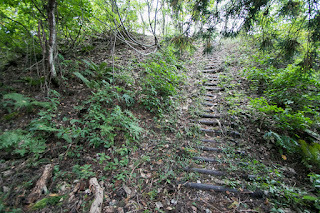 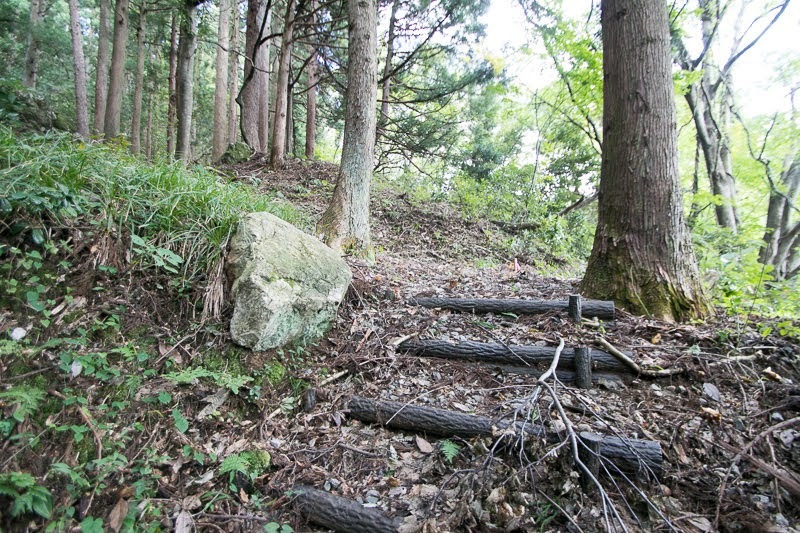 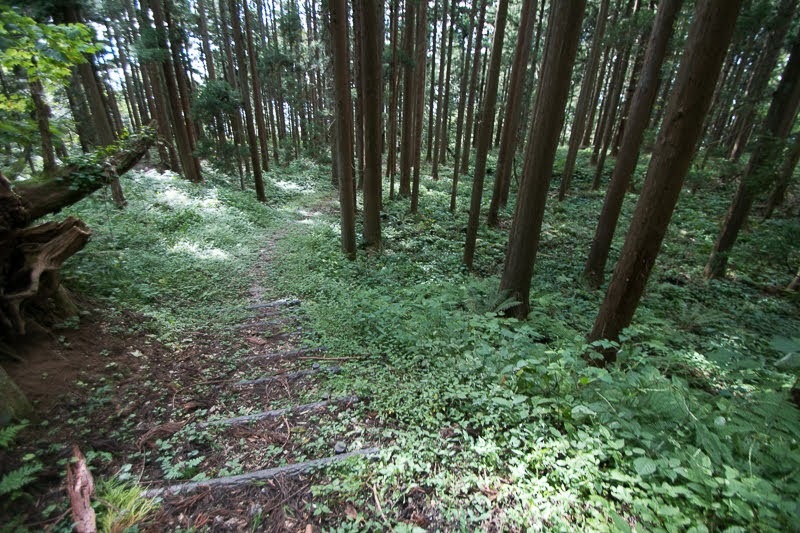 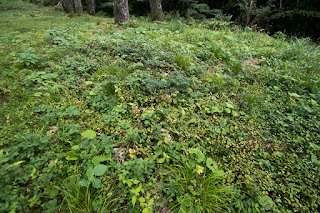 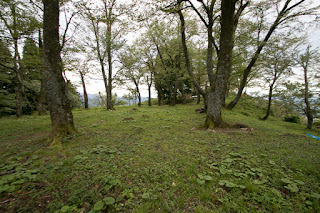 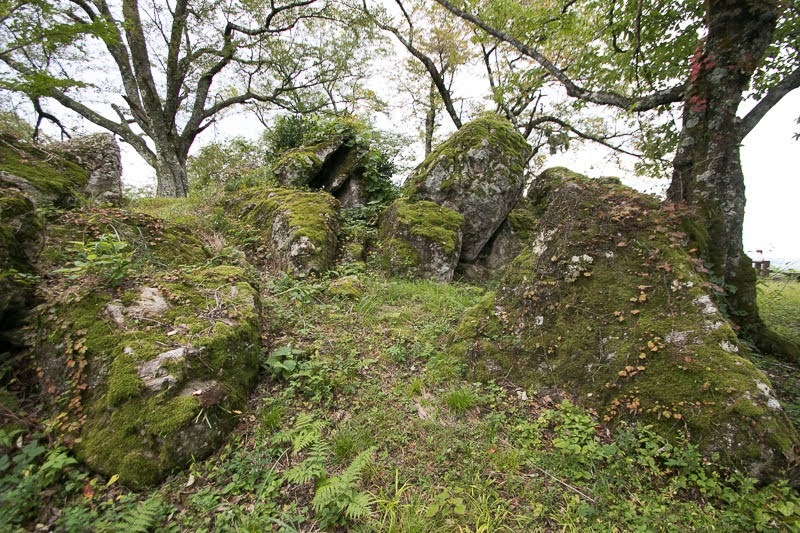 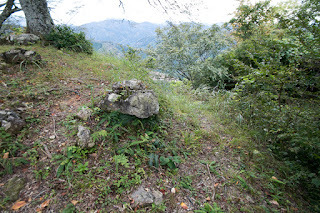 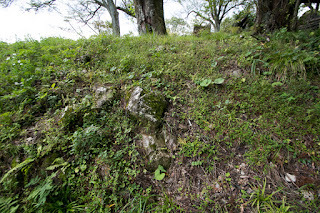 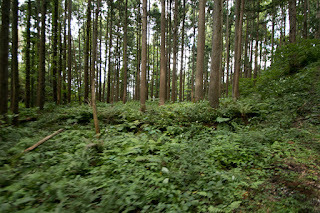 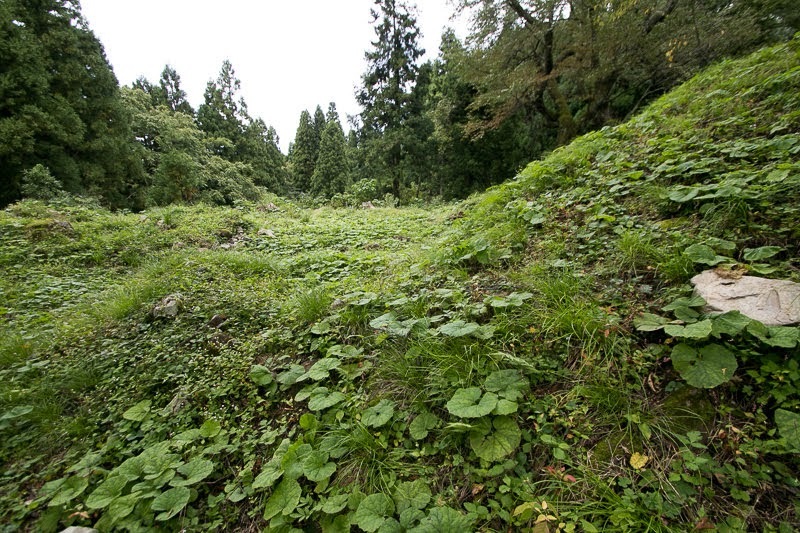 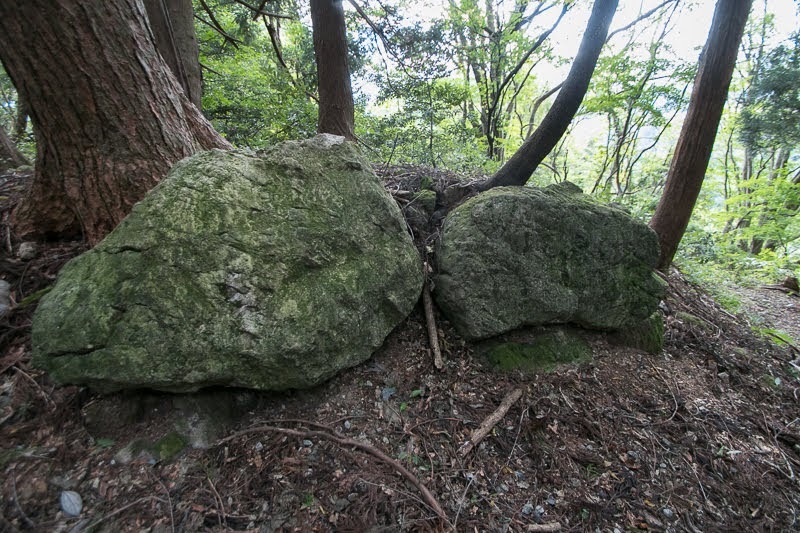 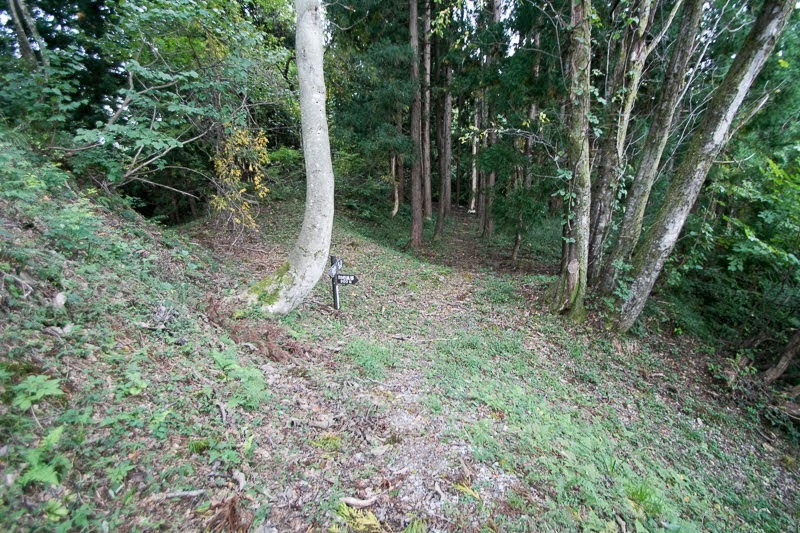 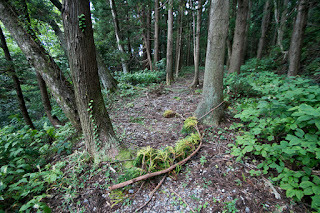 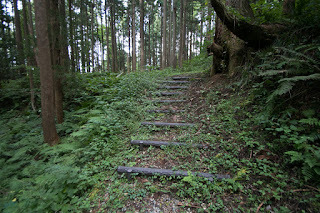 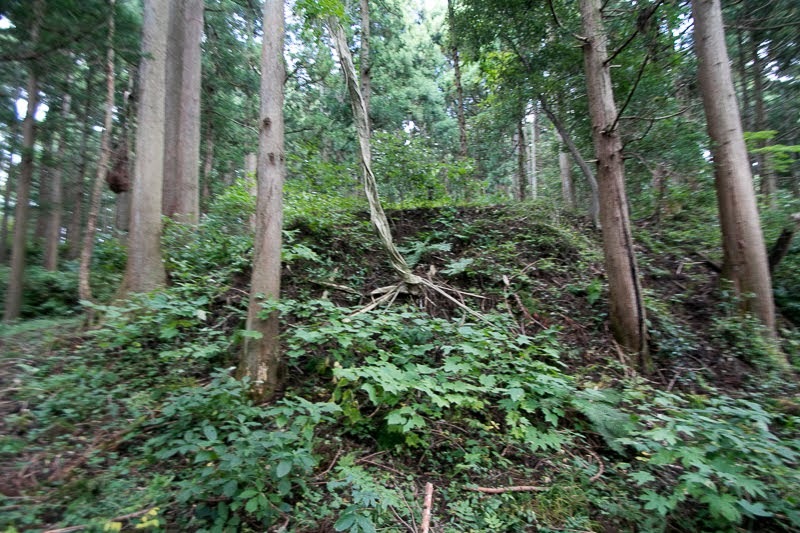 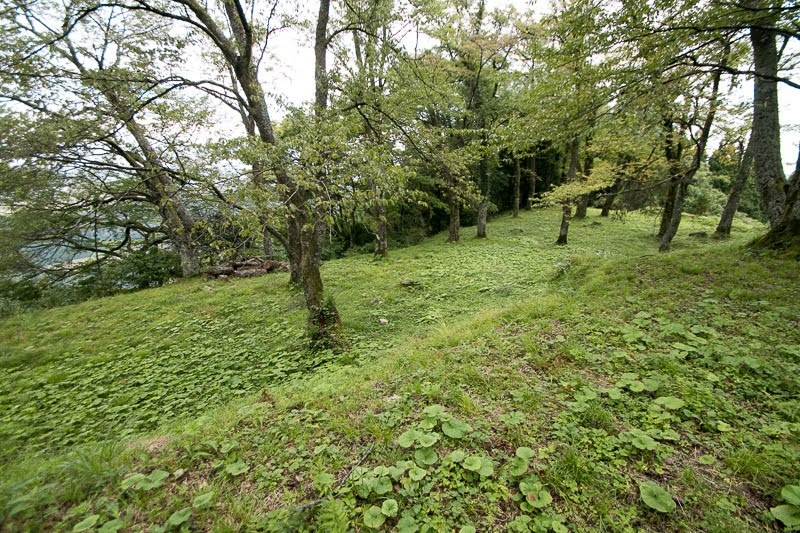 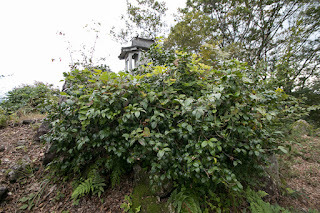 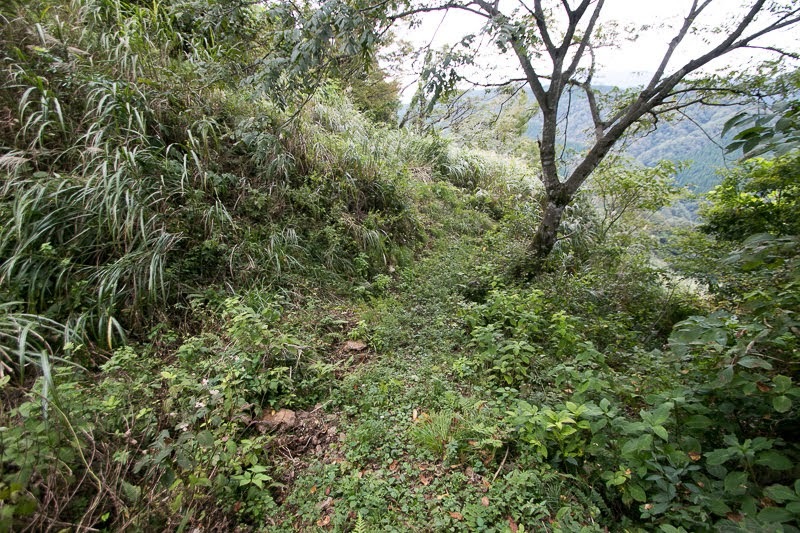 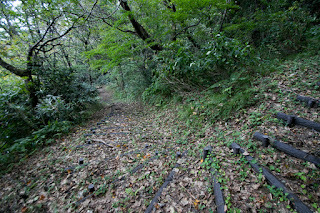 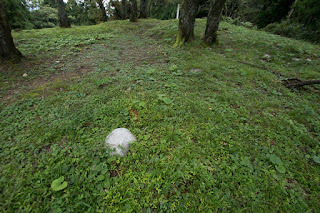 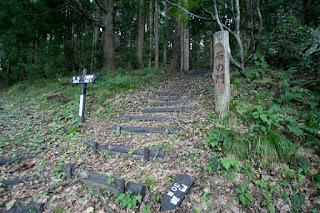 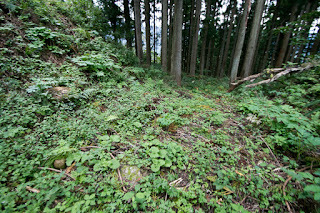 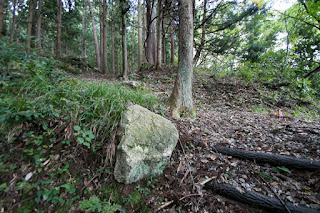 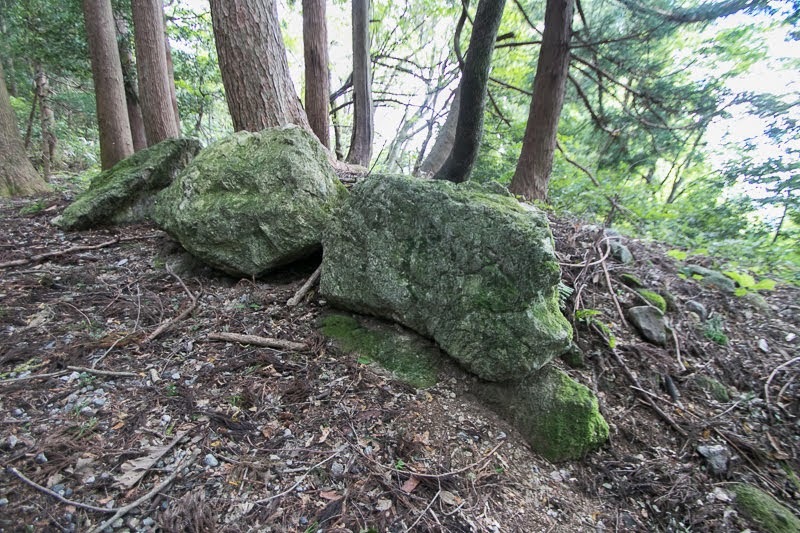 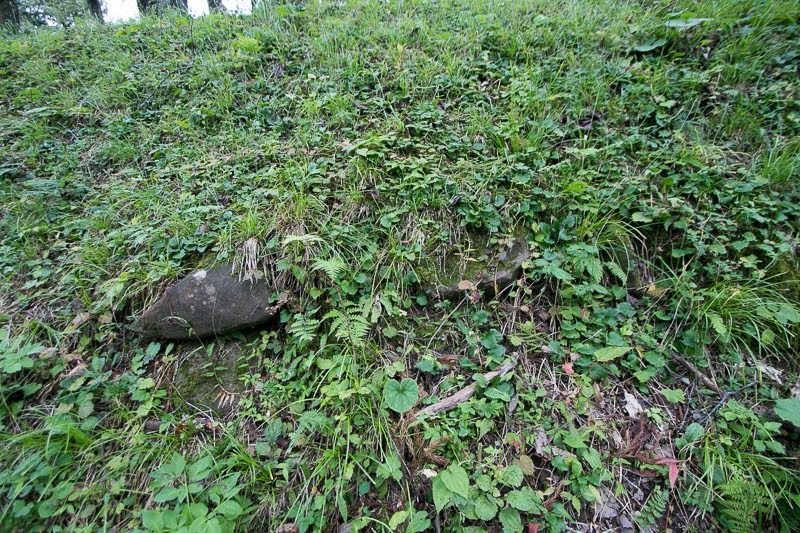 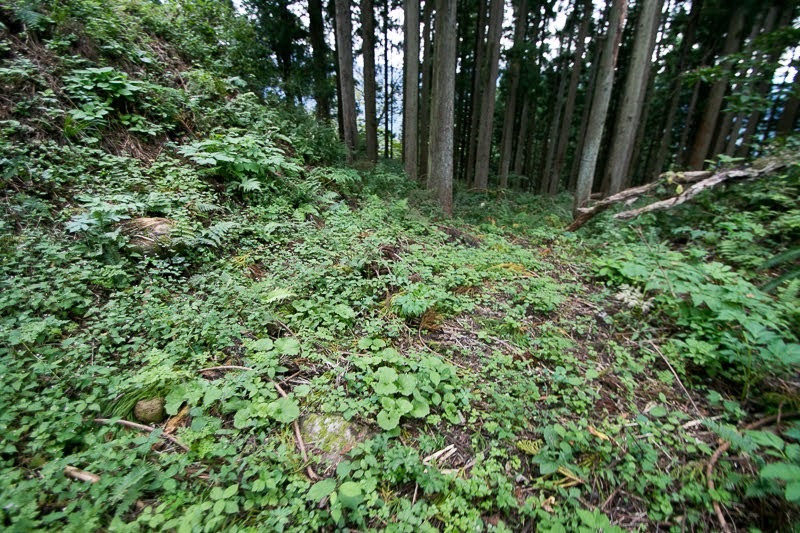 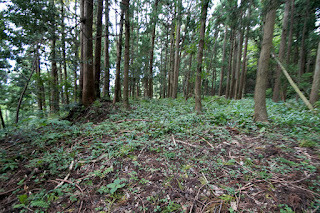 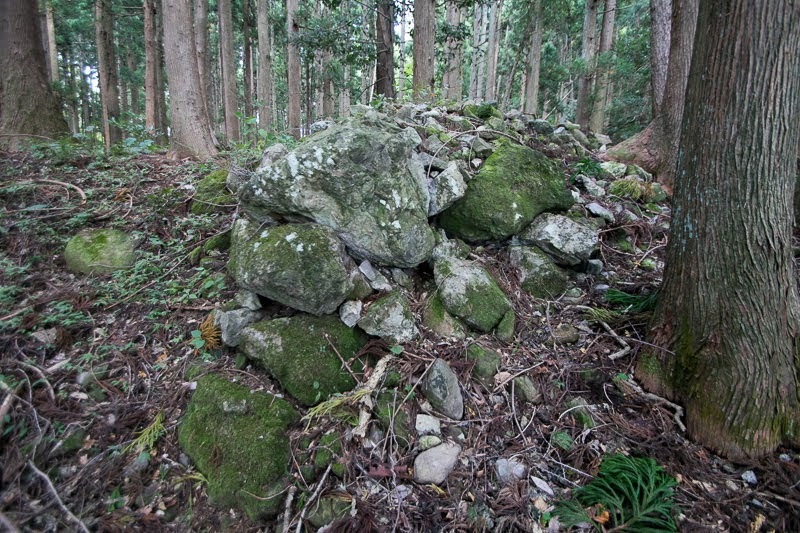 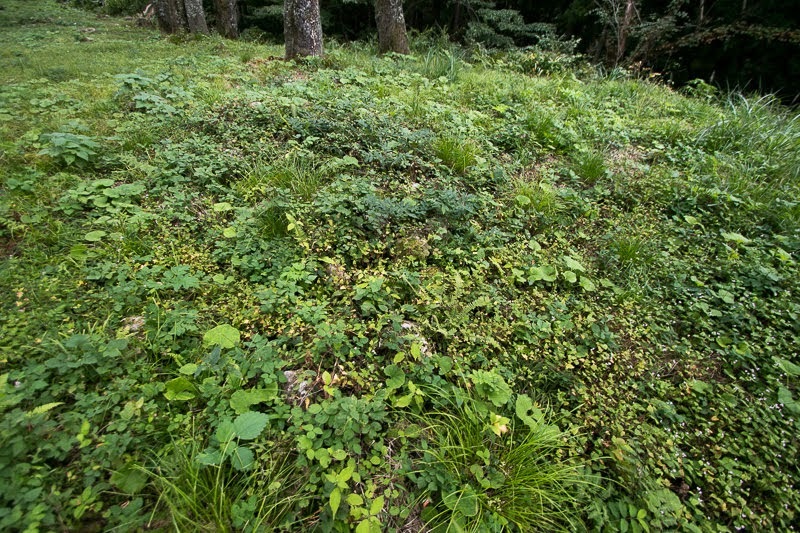 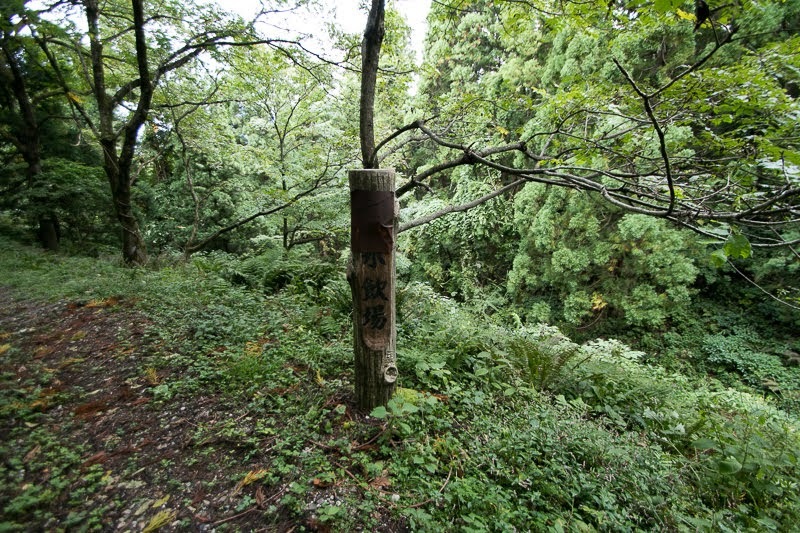 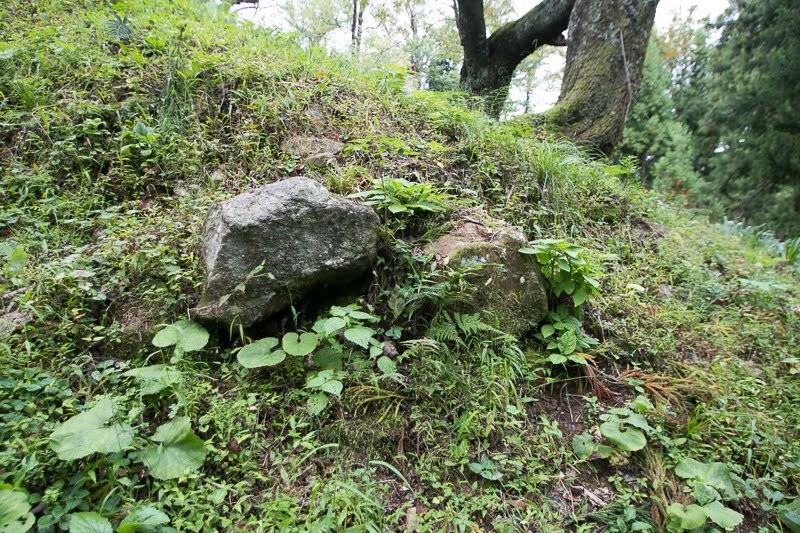 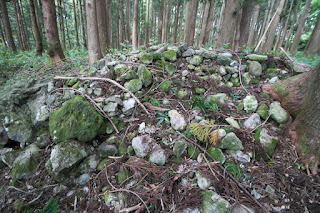 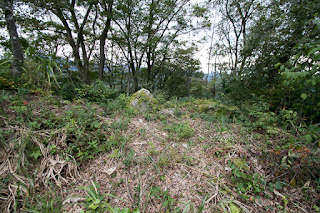 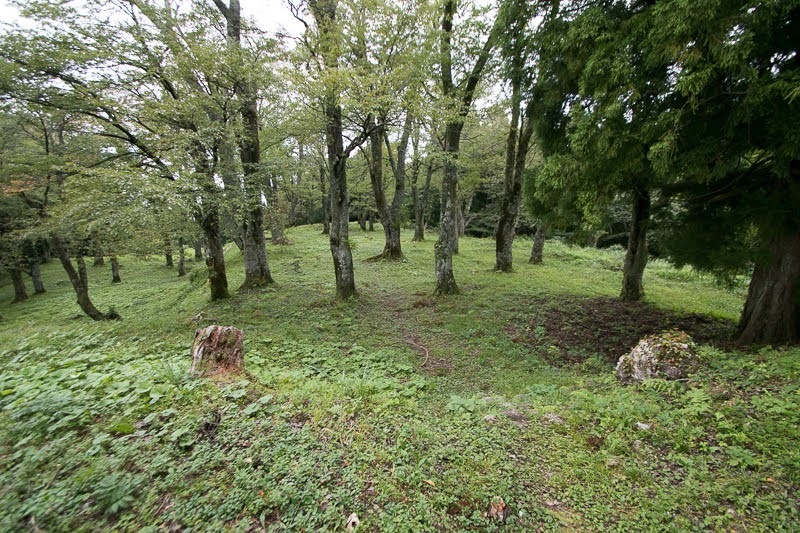 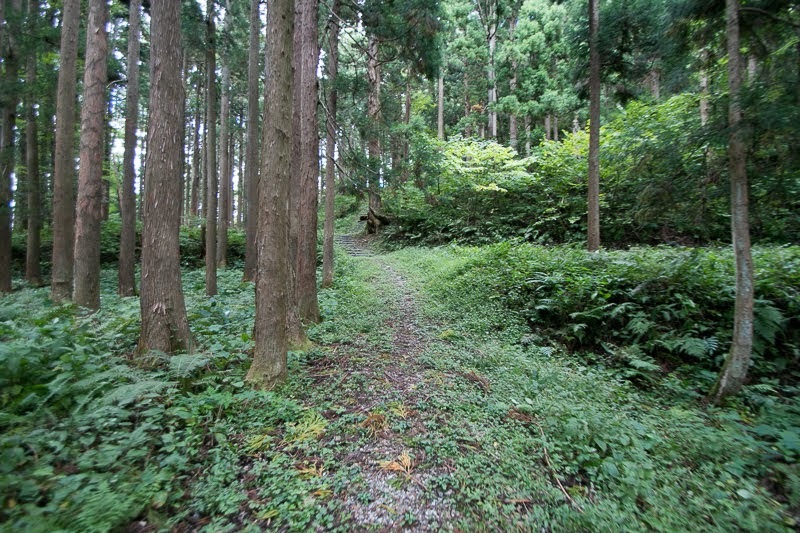 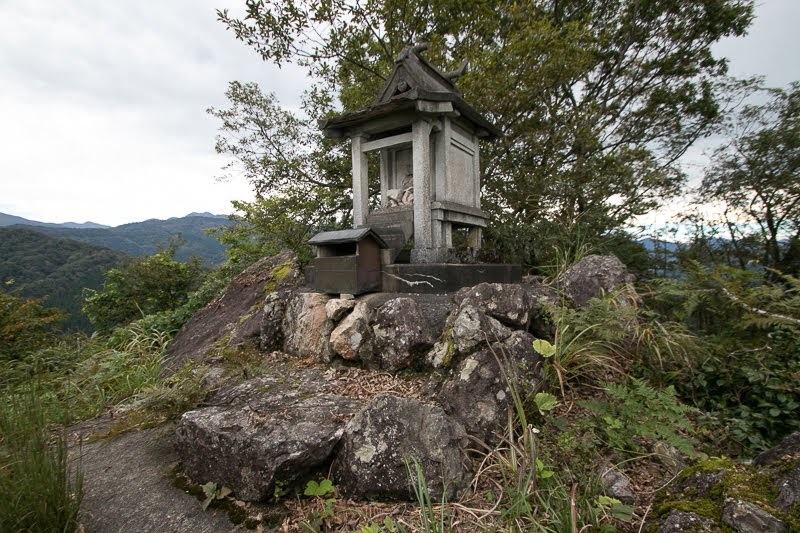 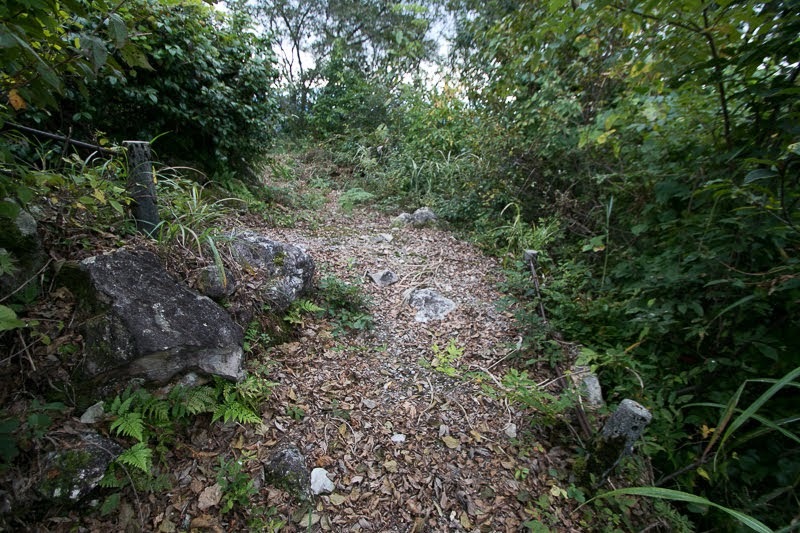 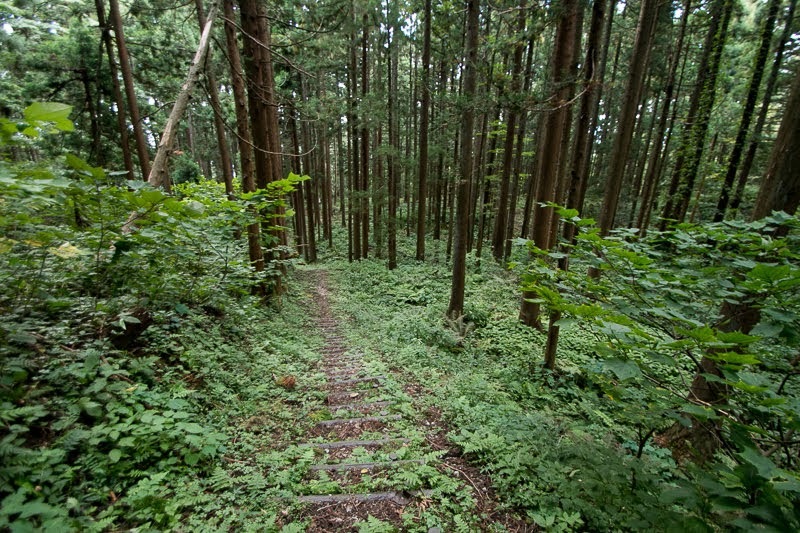 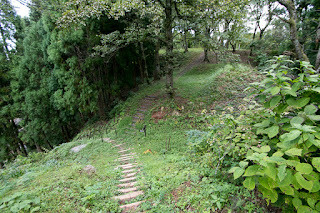 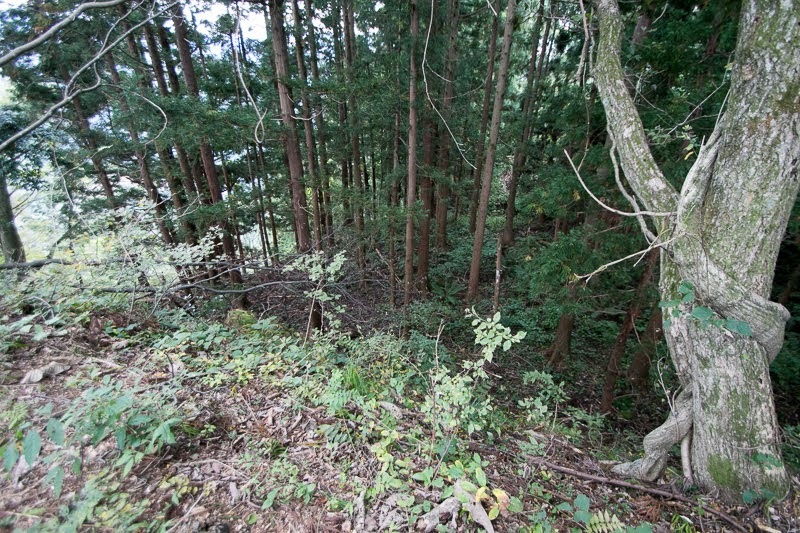 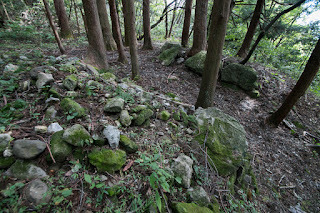 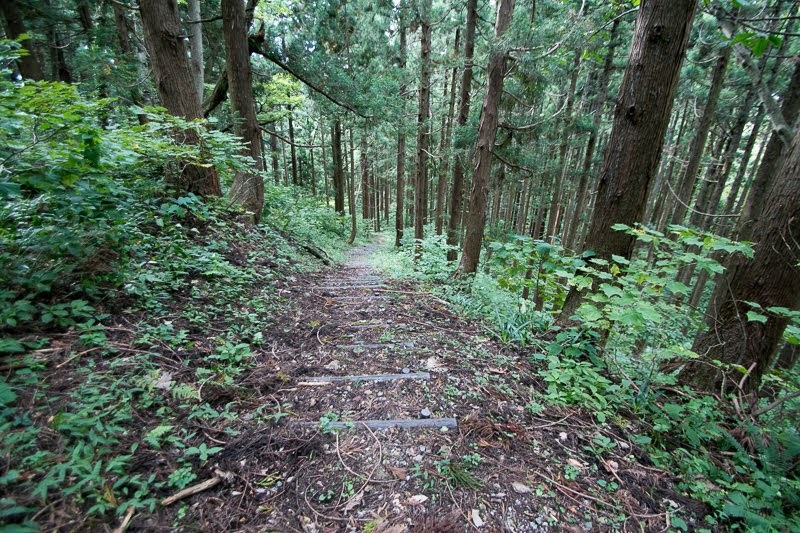 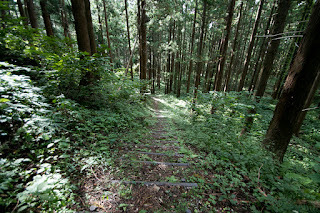 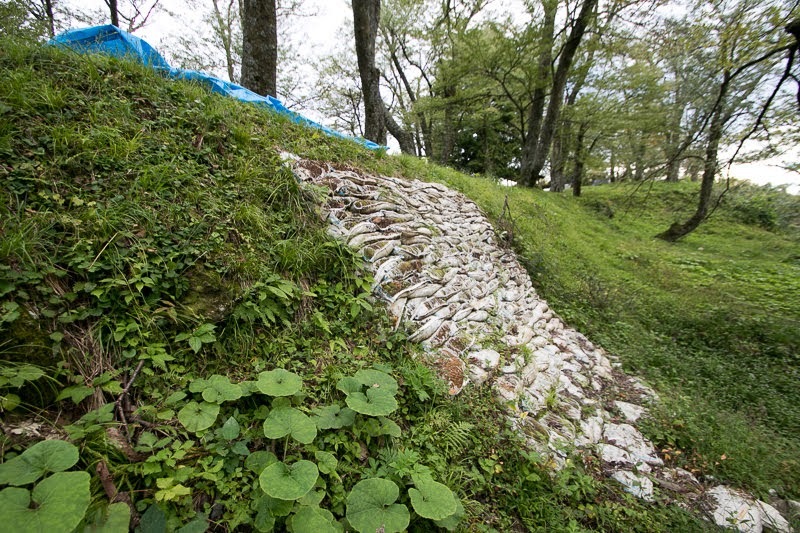 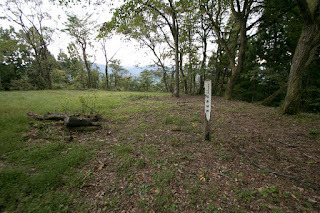 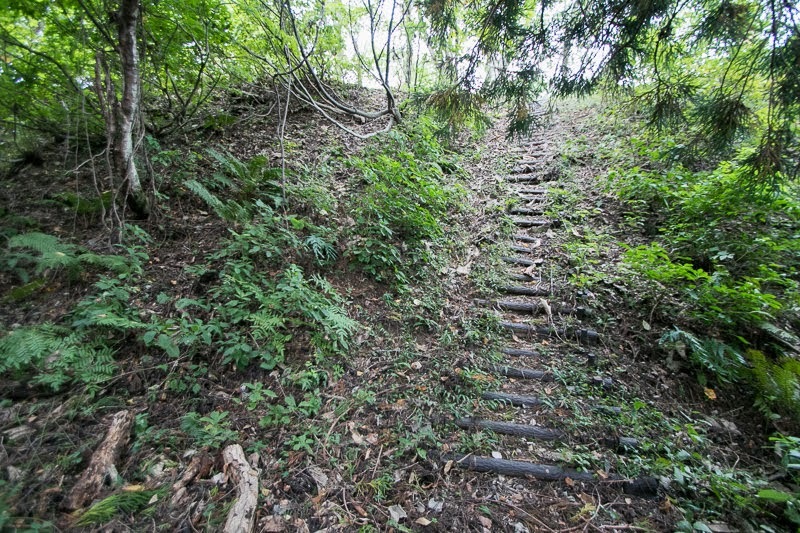 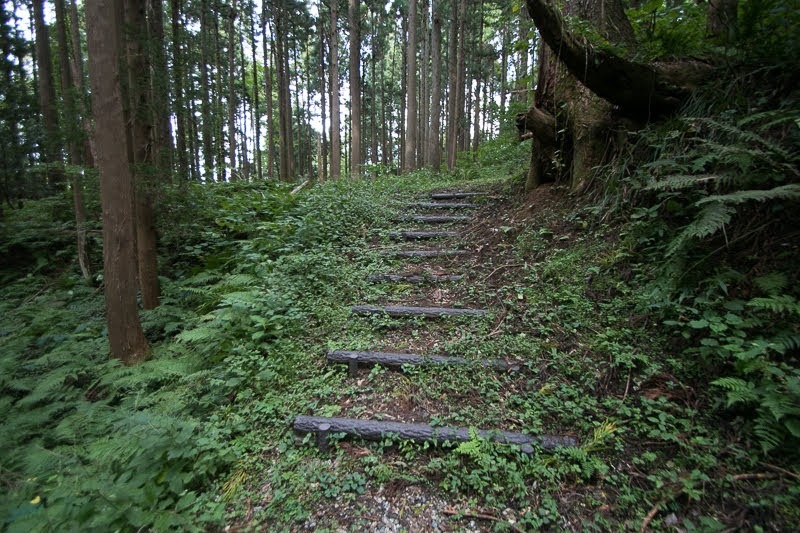 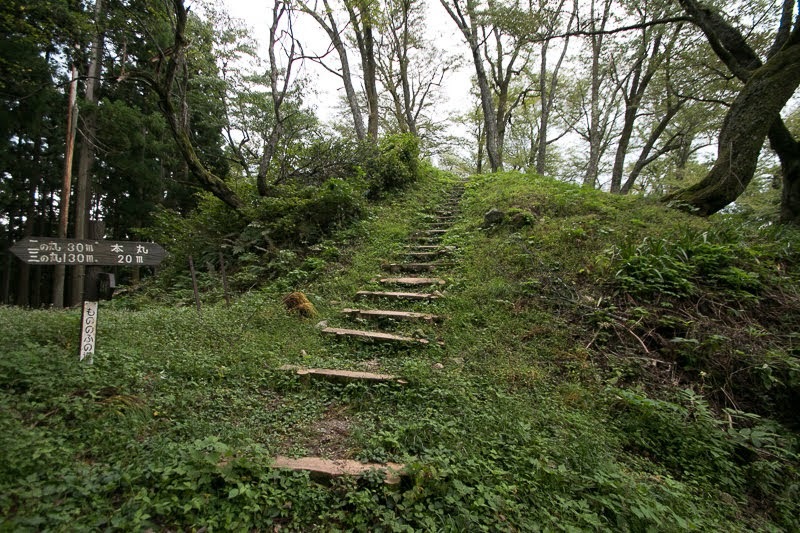 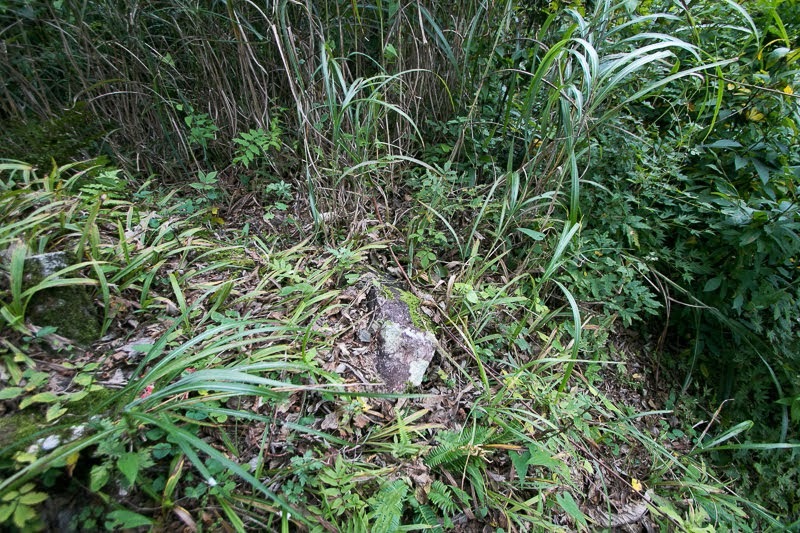 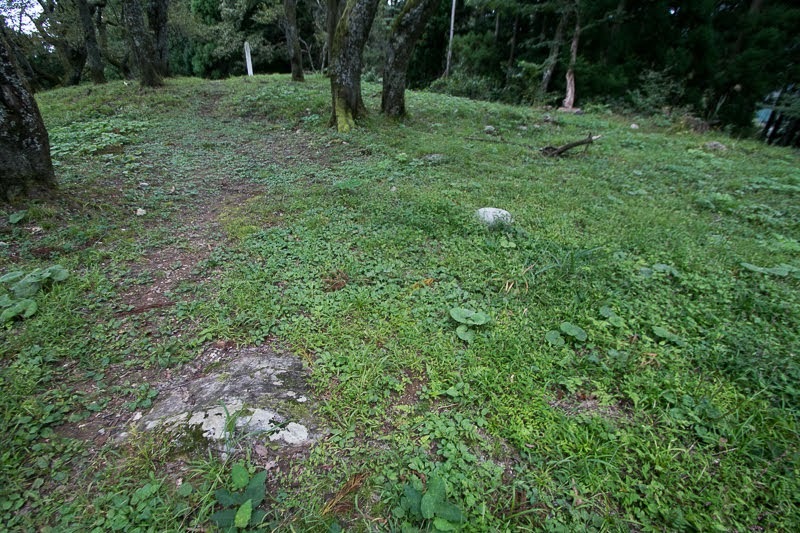 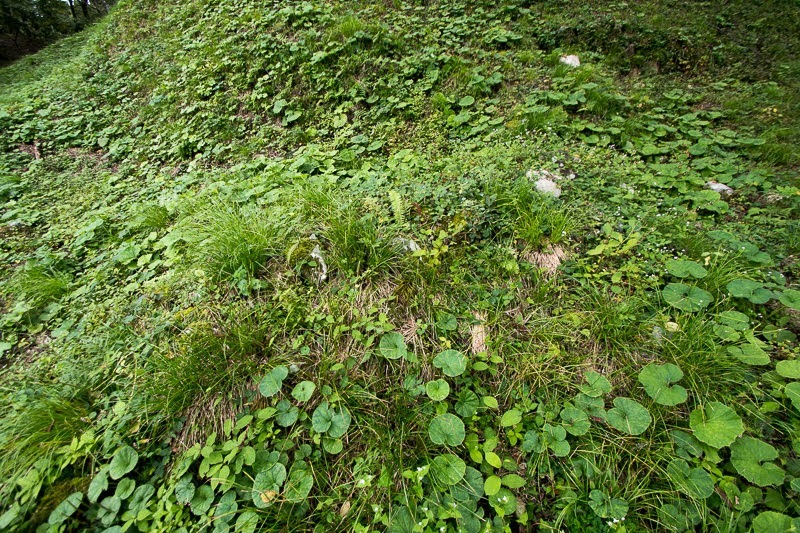 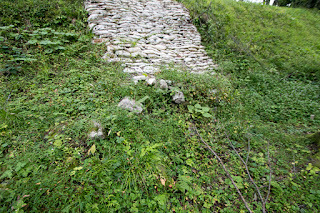 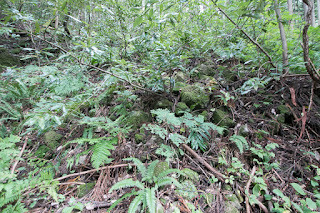 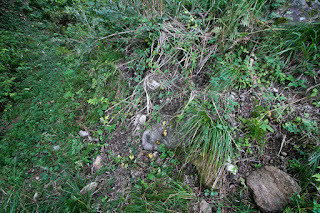 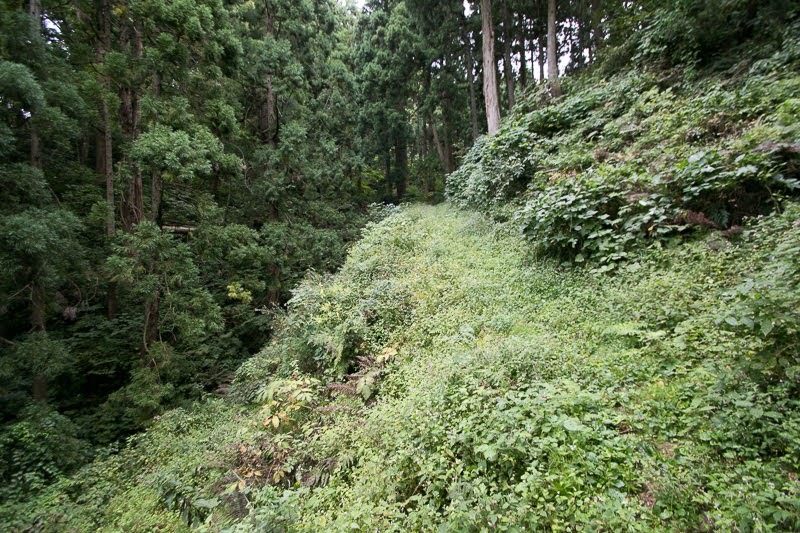 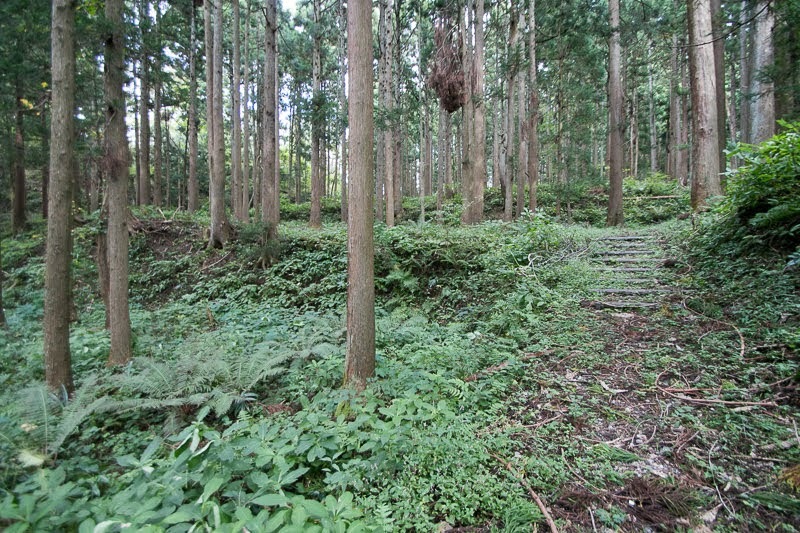 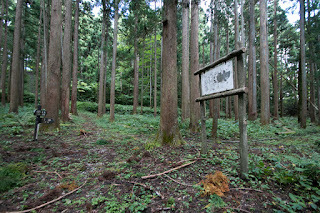 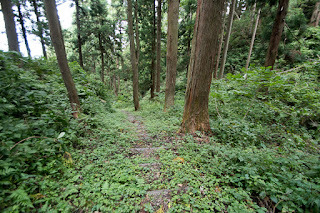 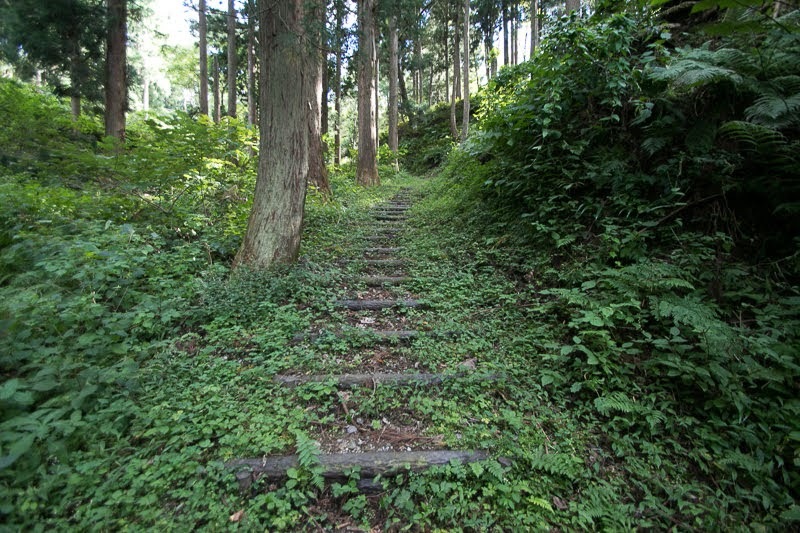 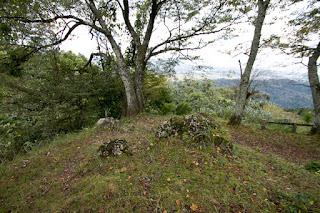 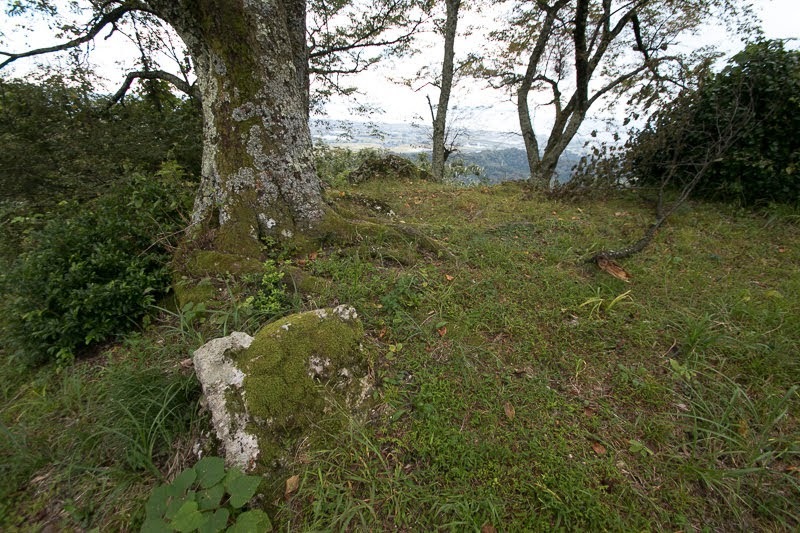 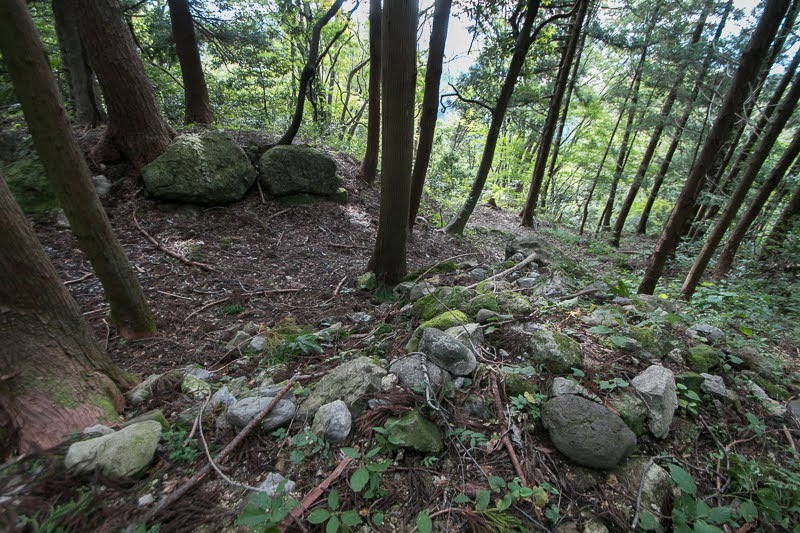 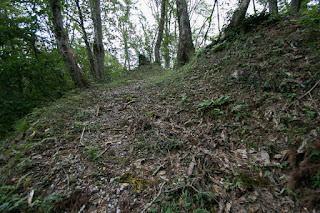 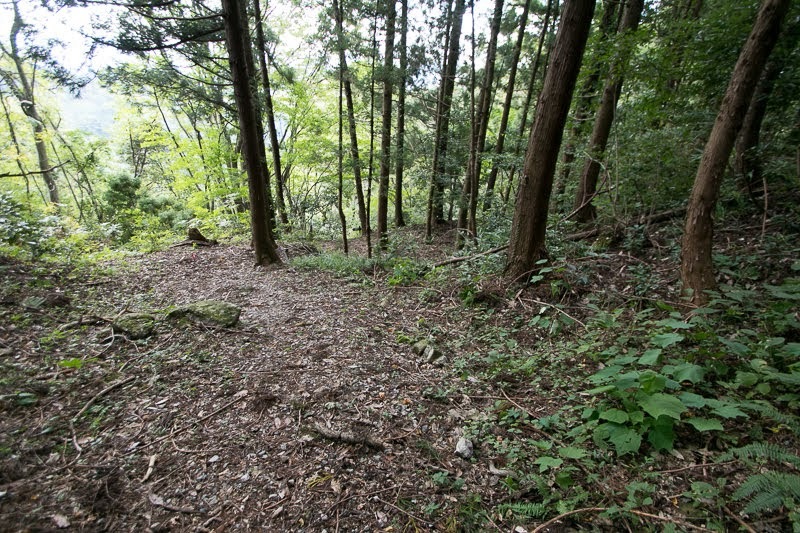 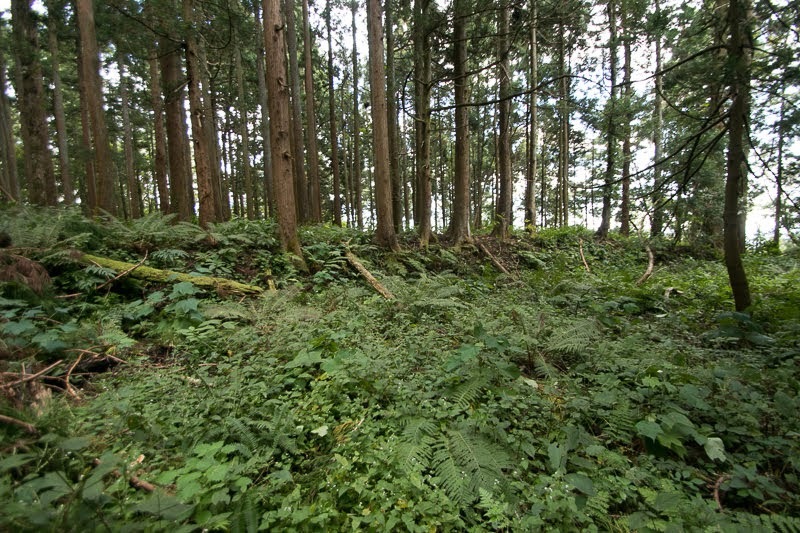 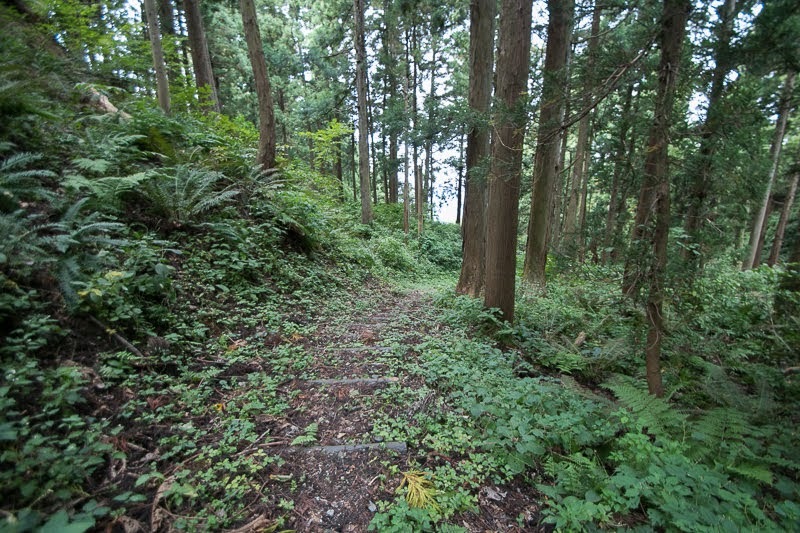 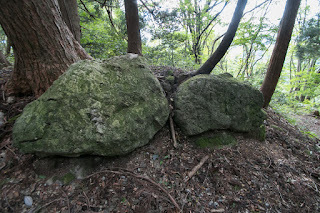 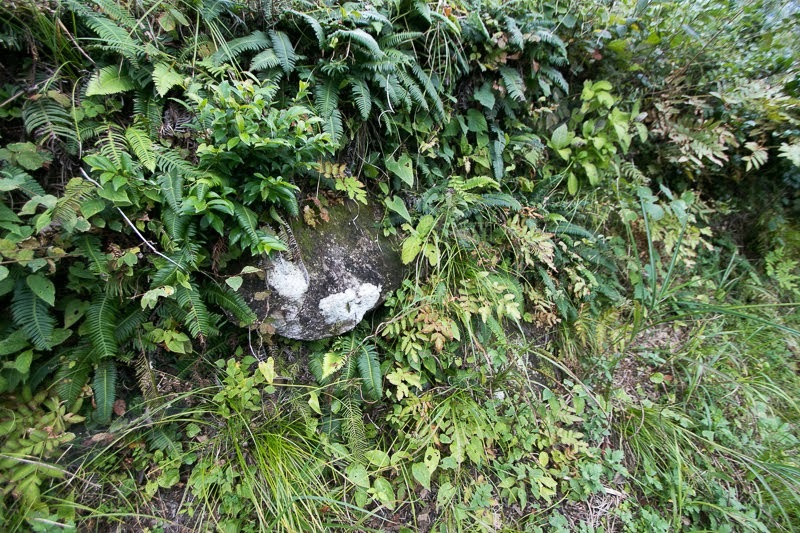 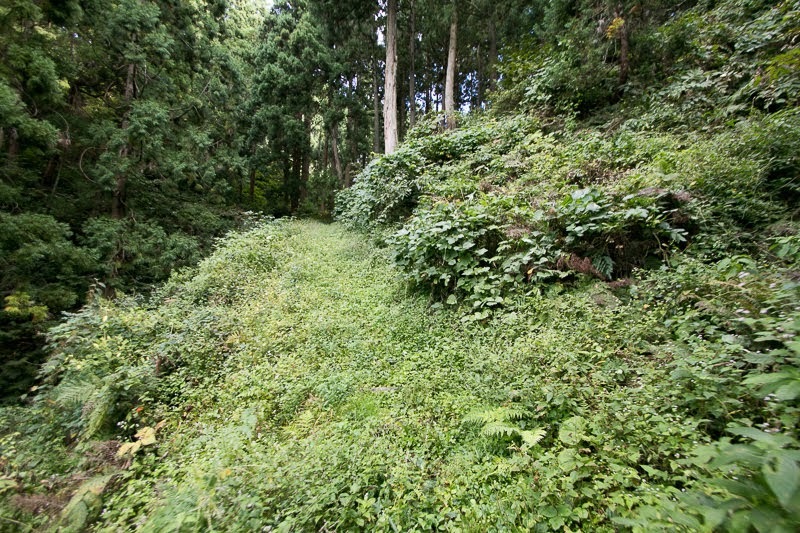 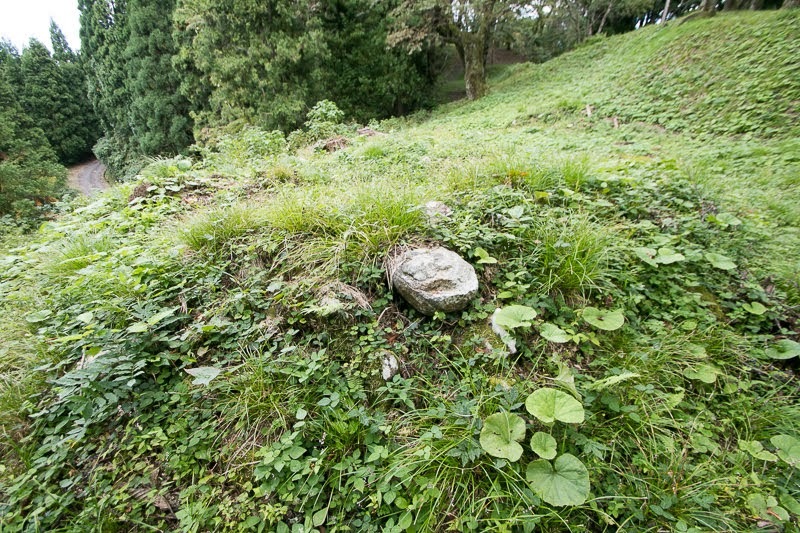 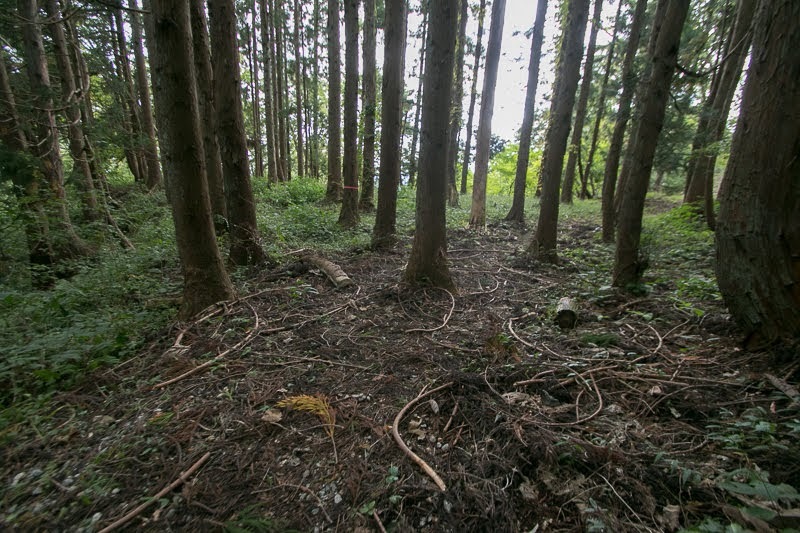 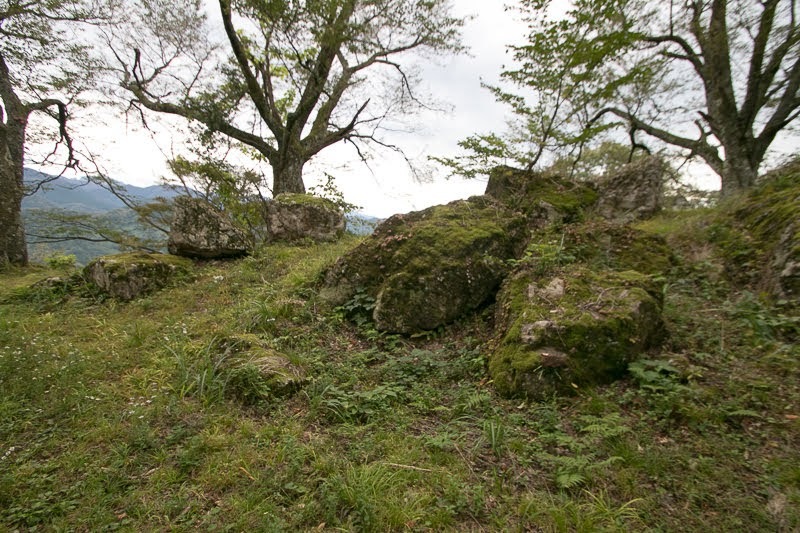 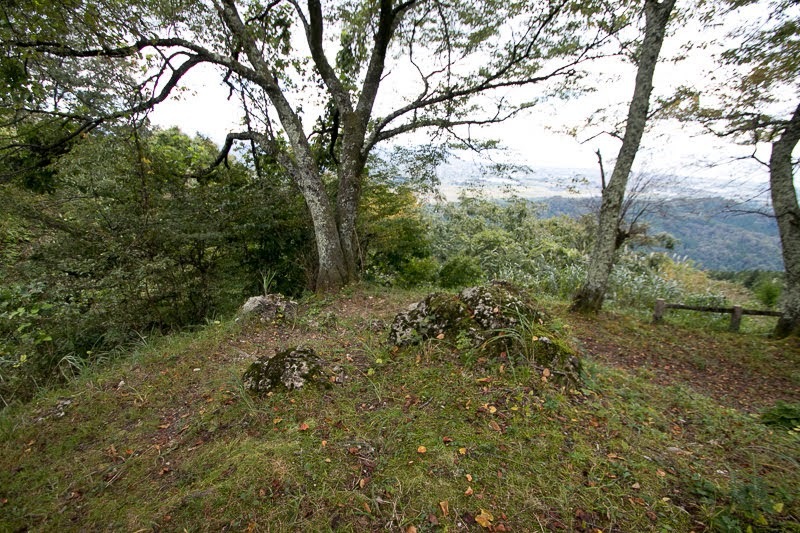 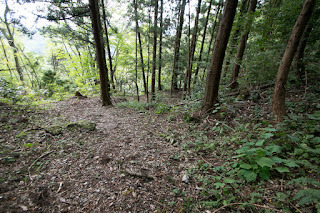 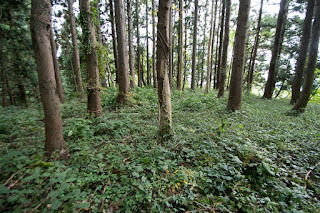 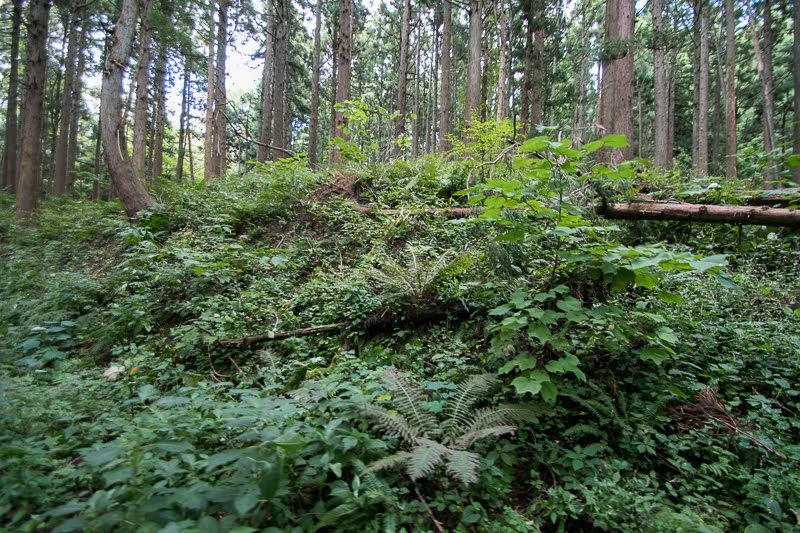 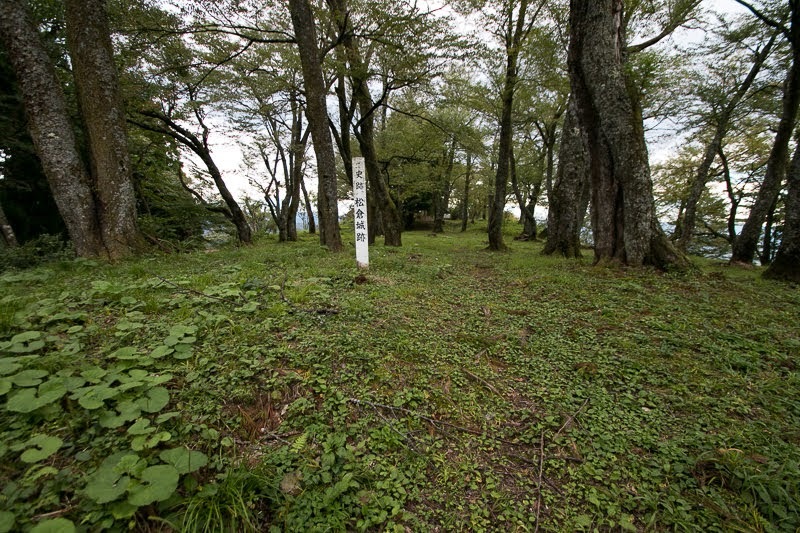 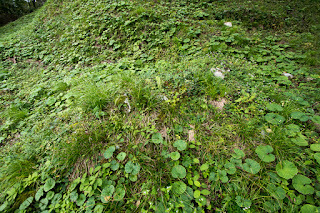 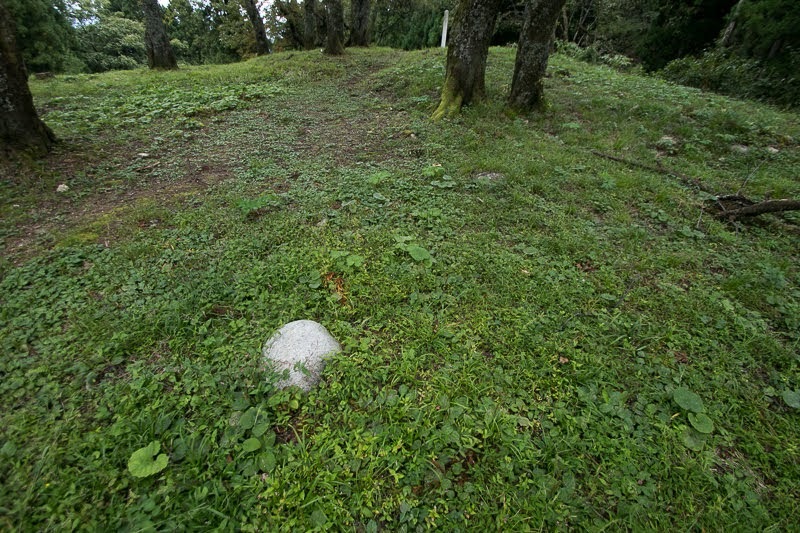 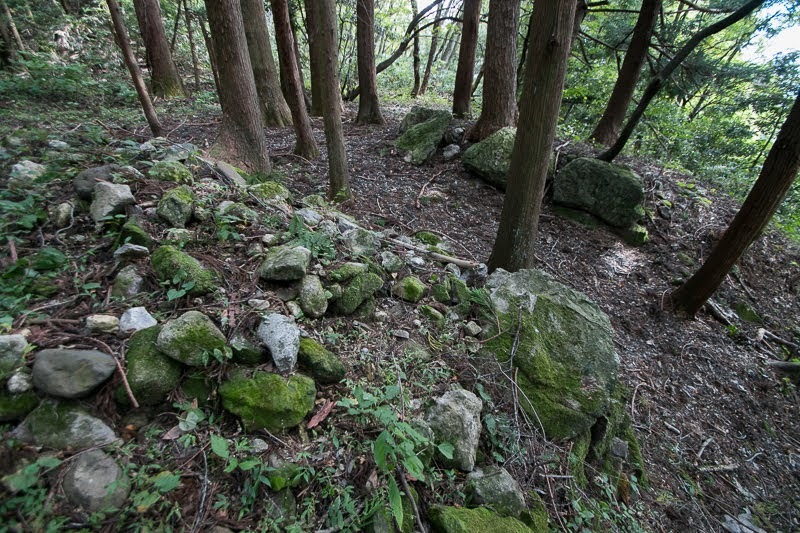 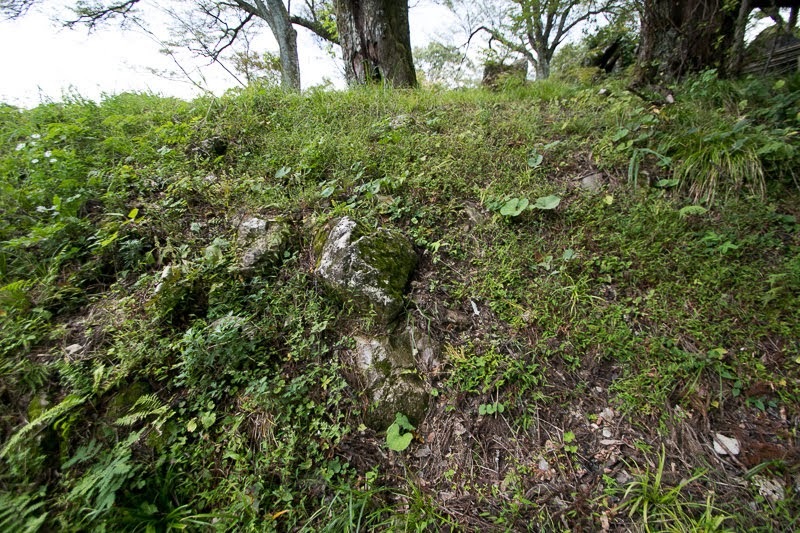 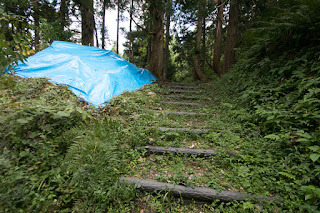 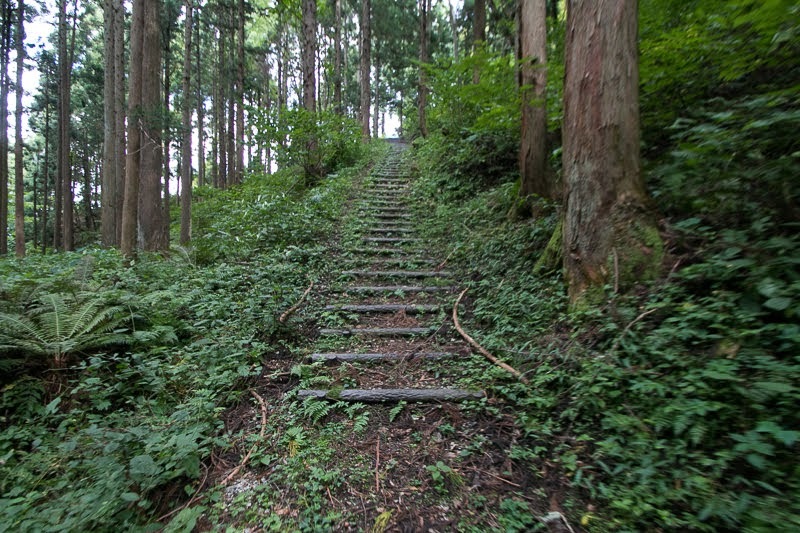 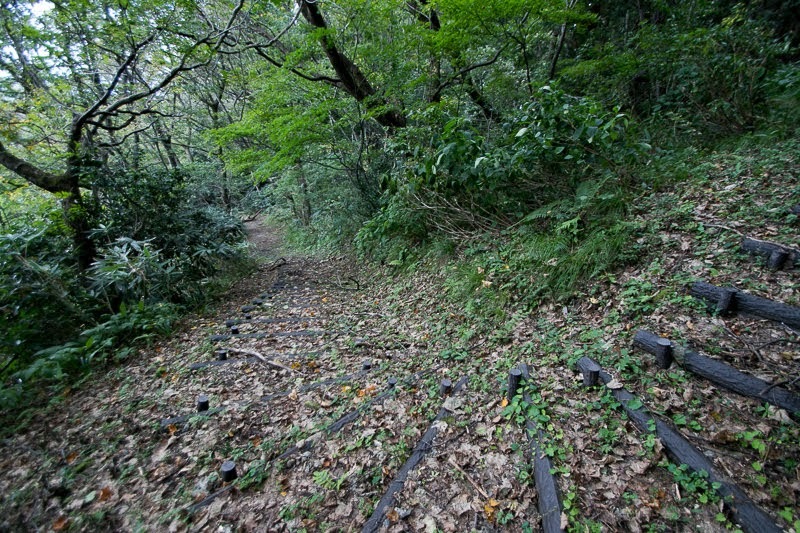 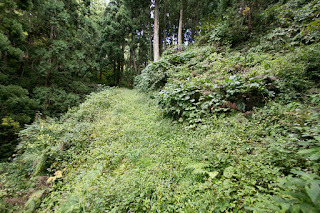 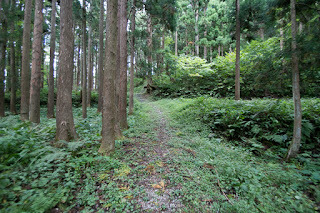 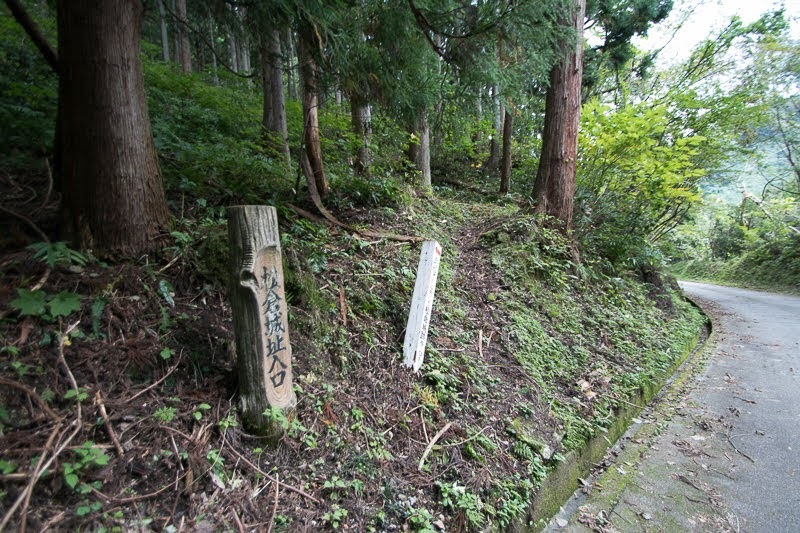 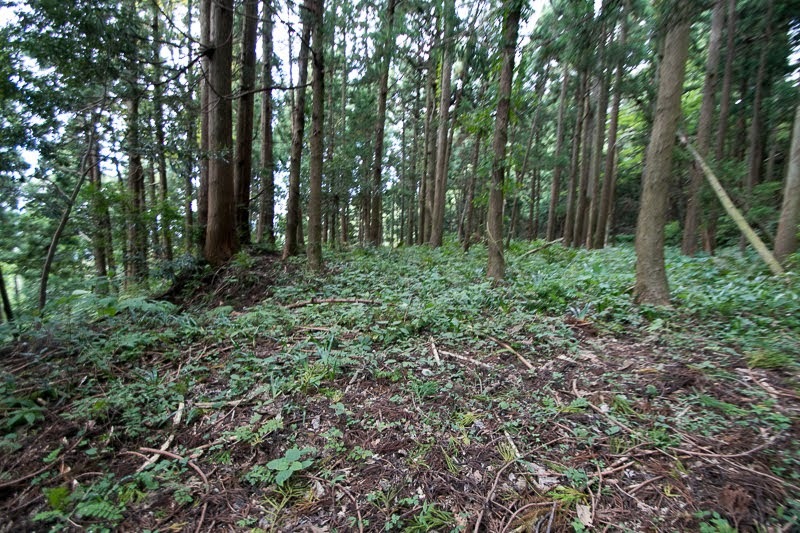 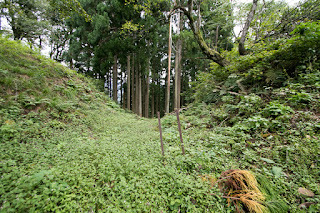 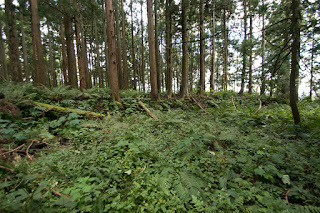 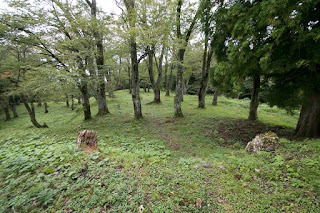 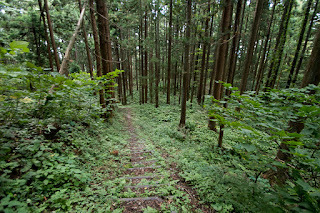 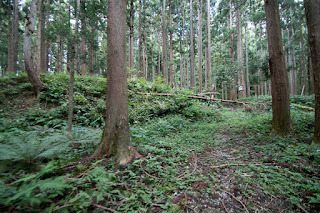 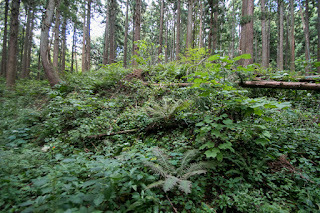 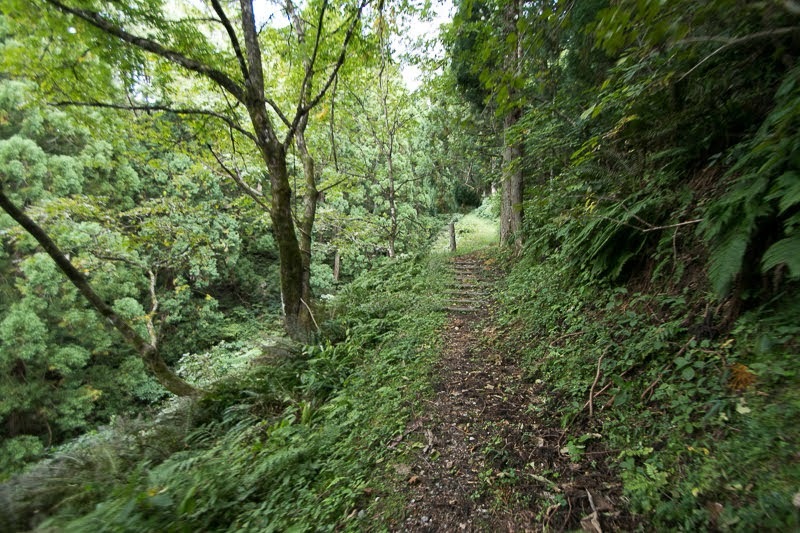 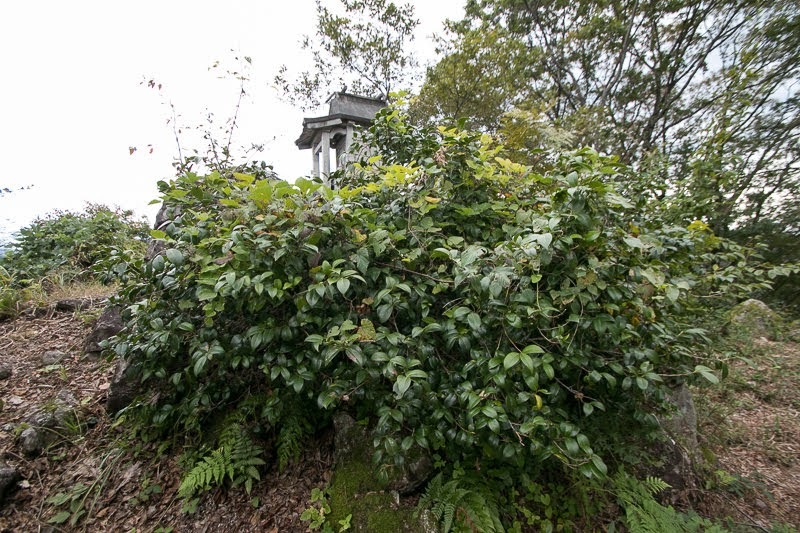 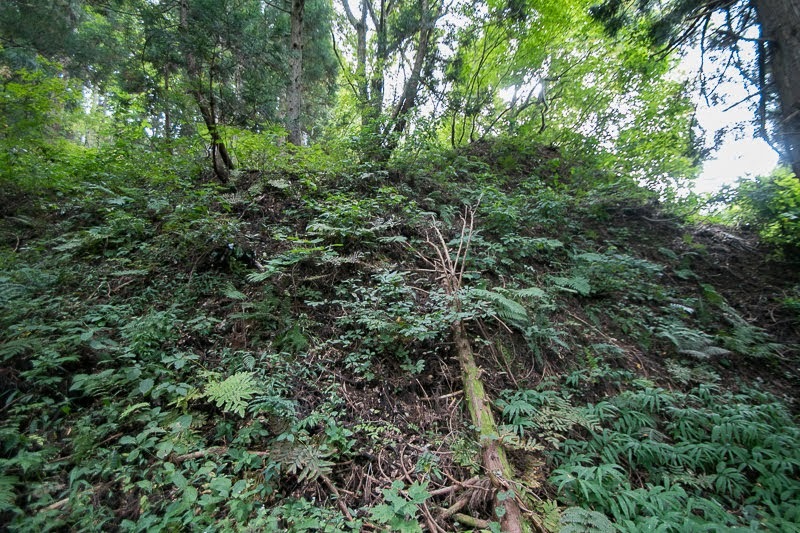 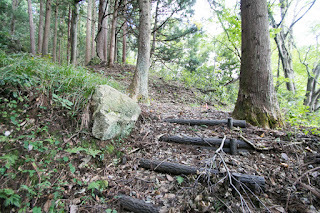 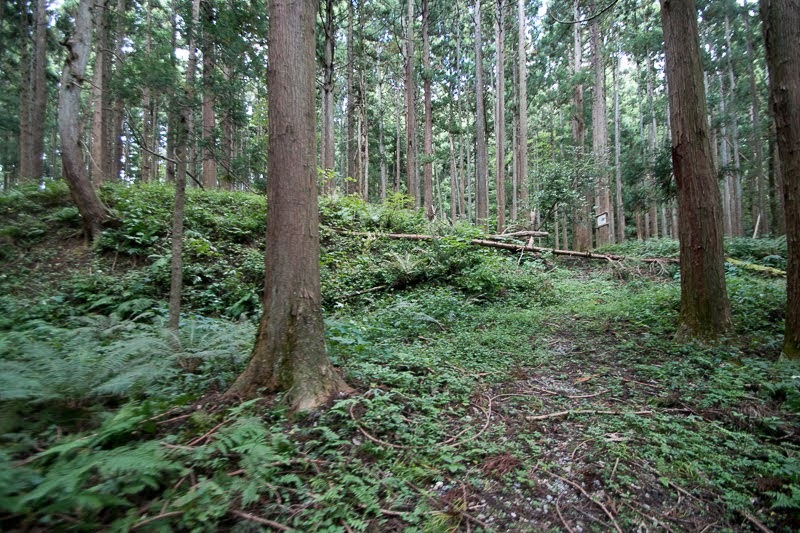 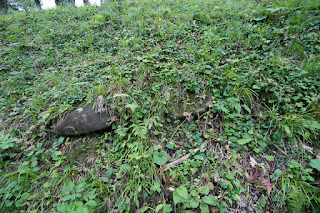 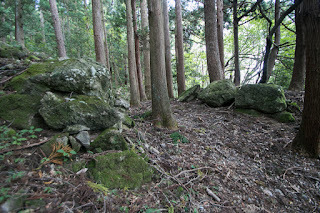 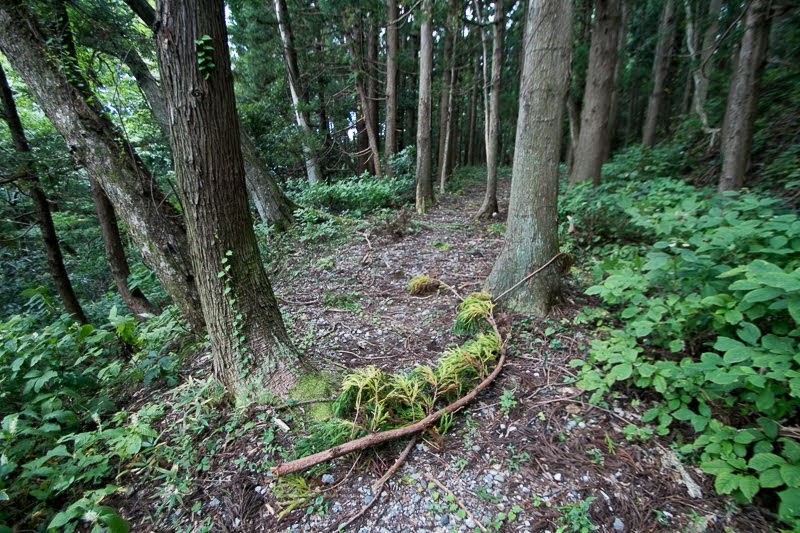 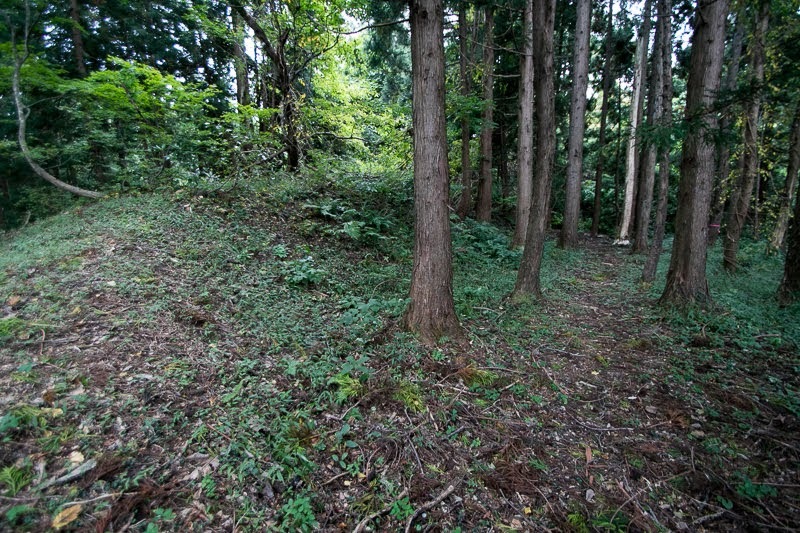 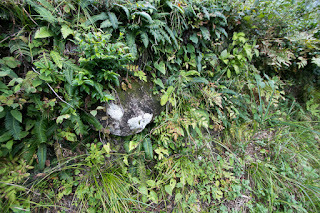 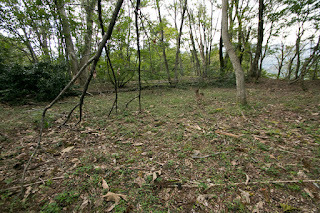 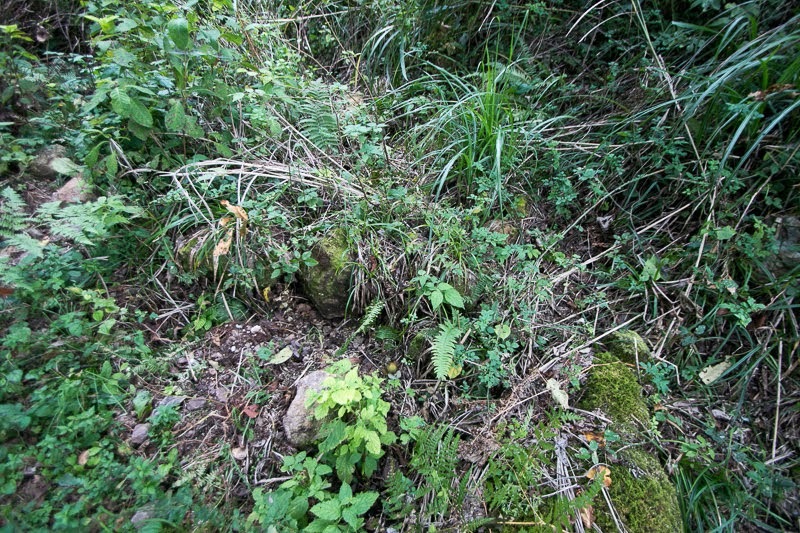 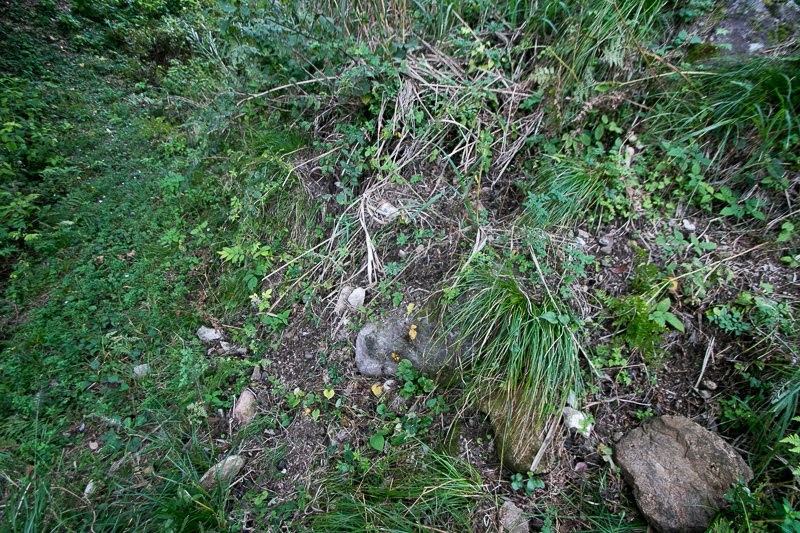 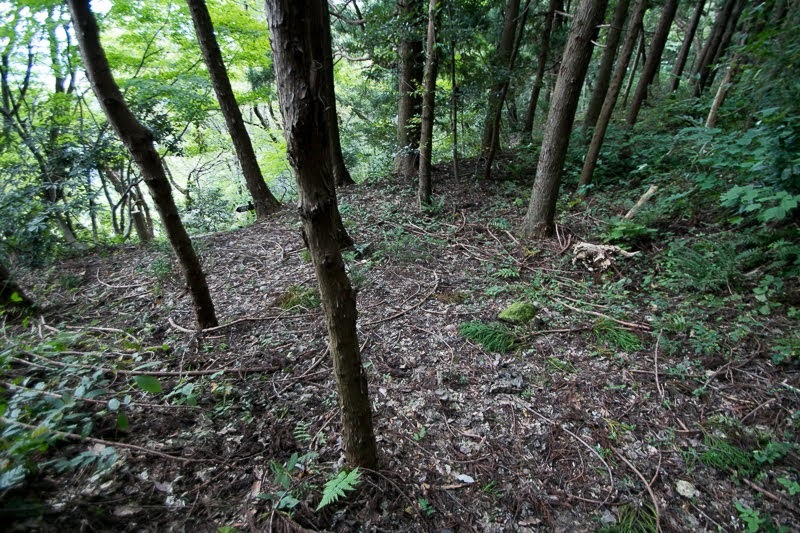 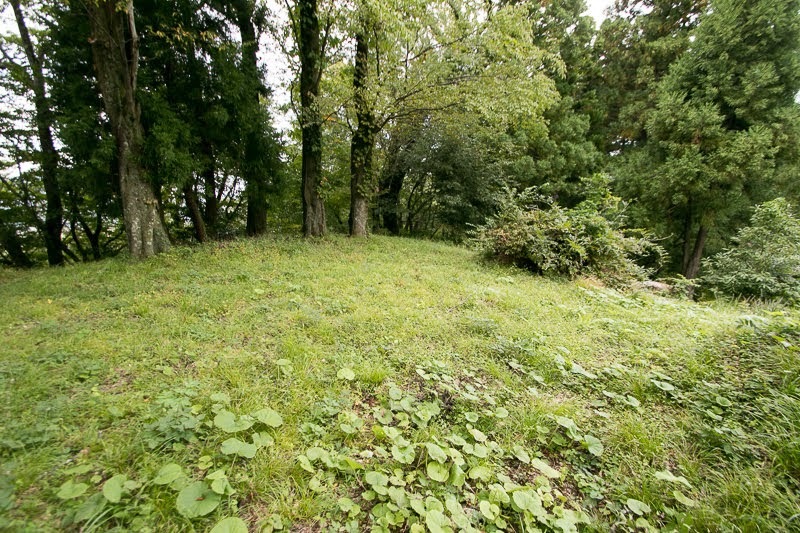 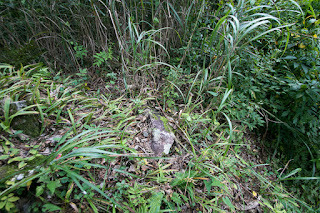 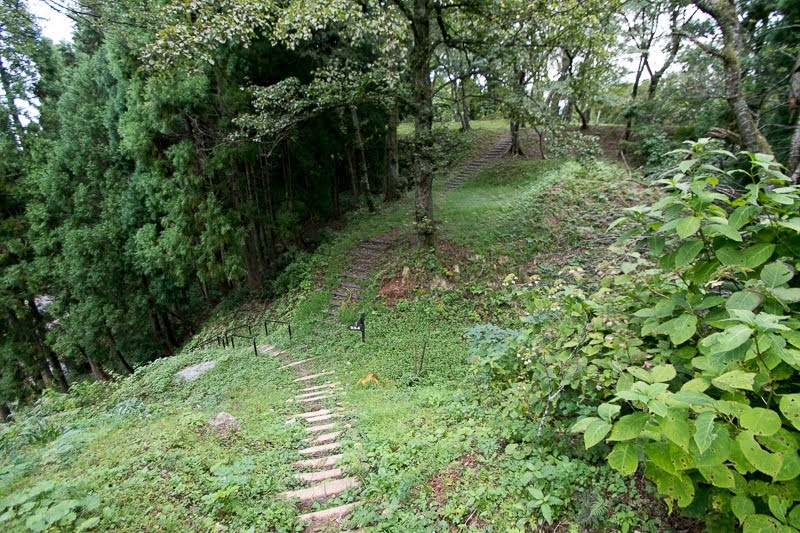 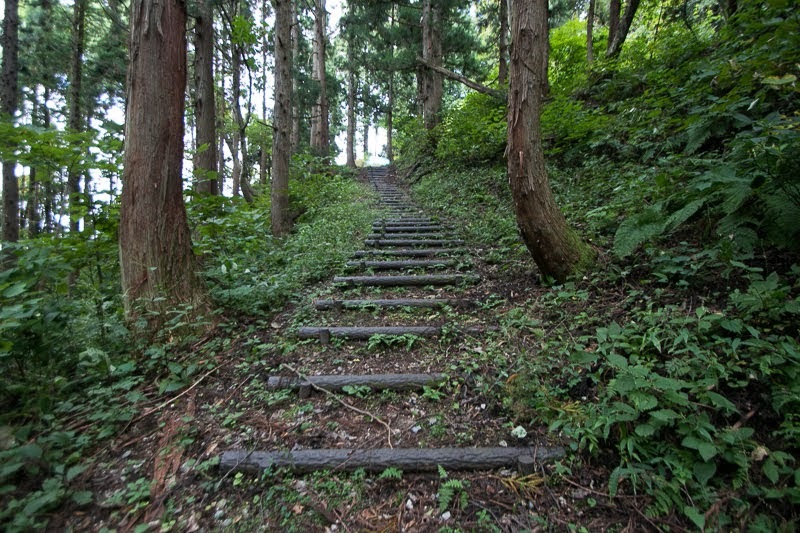 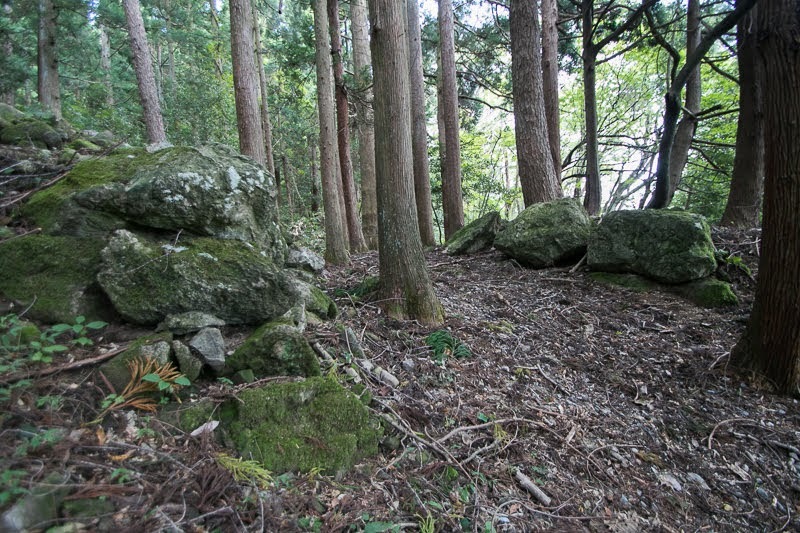 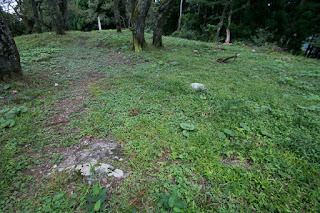 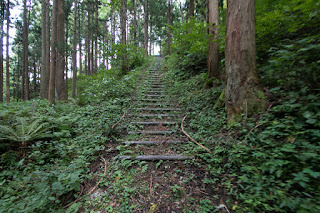 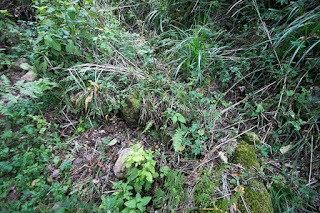 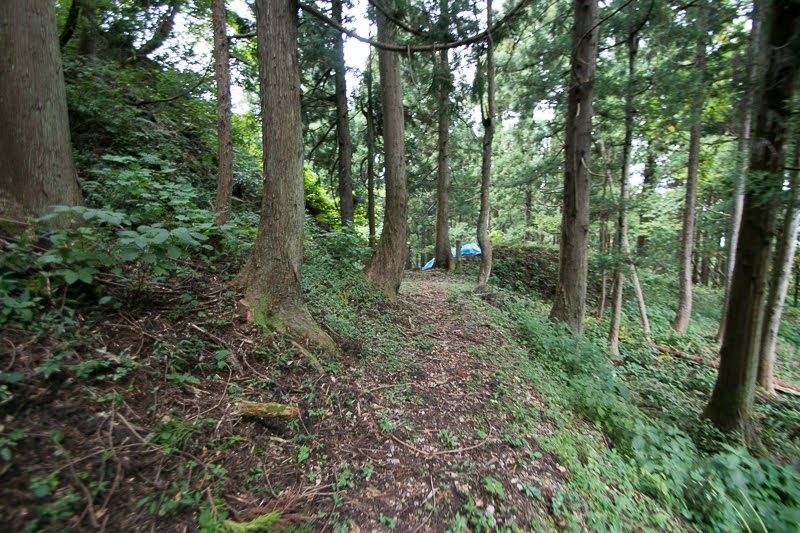 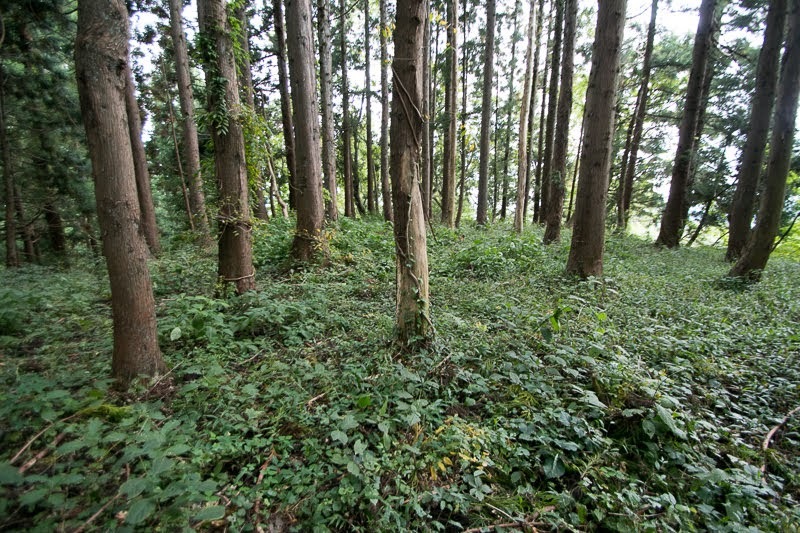 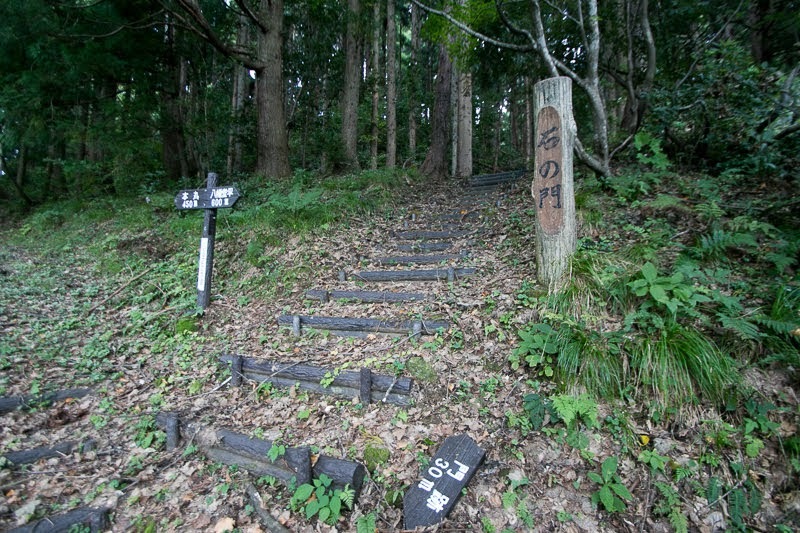 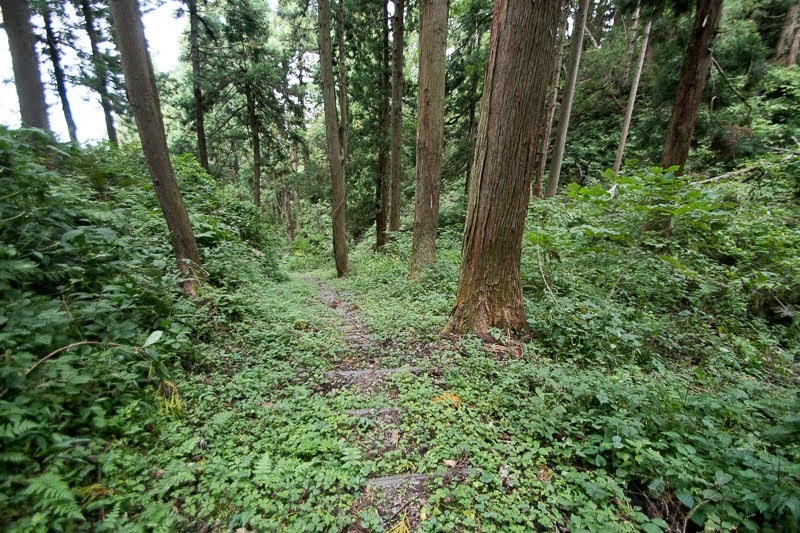 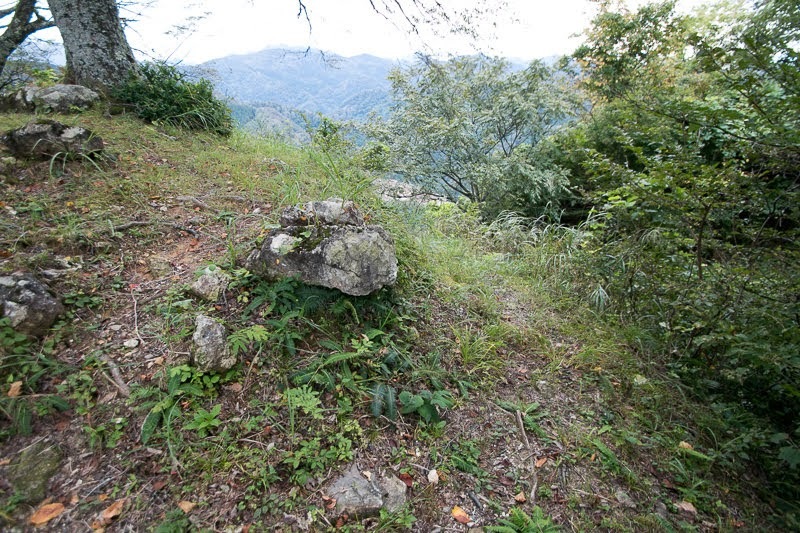 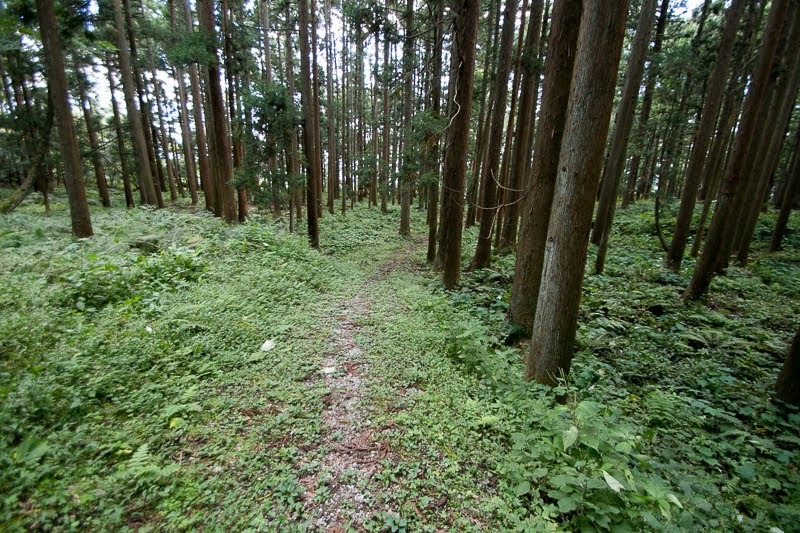 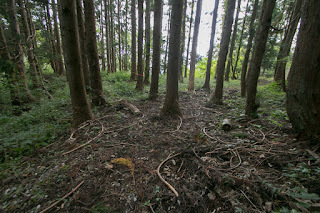 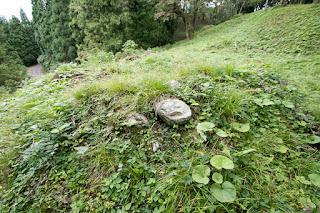 Stone walls of central area or hillside residence shows the authority of Shiina clan even though finally disappeared into the history. 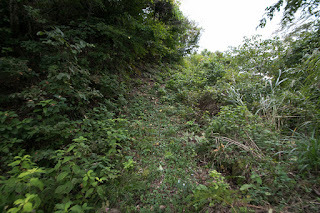 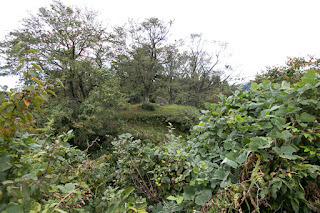 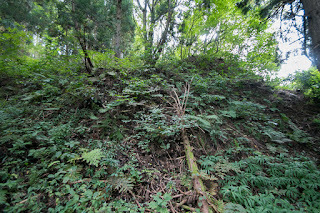 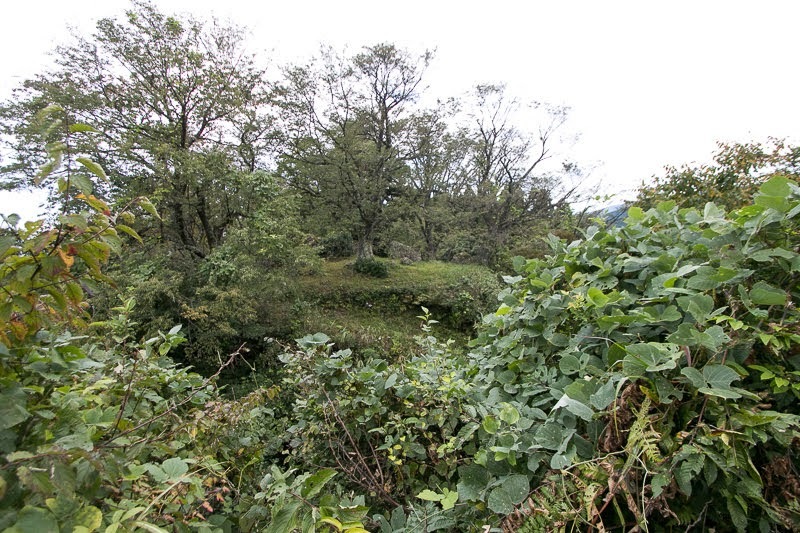 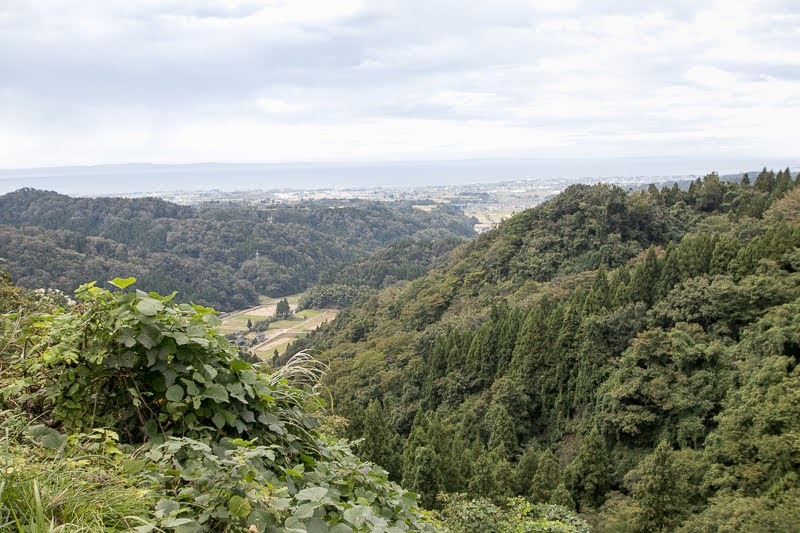 Beside this, deep dry moats and numerous terraces indicates a desperate preparation of Uesugi clan to build definite defense line to stop the intrusion of overwhelming Oda army into Echigo province. 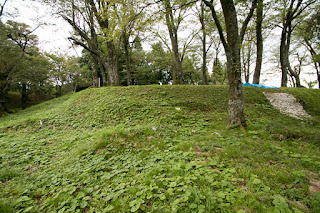 Now road is connected just before the central area, and visitors can visit this secure castle far easier than old time.